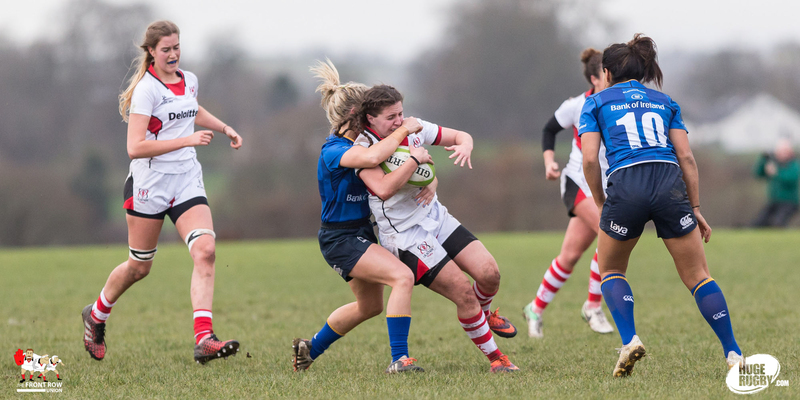 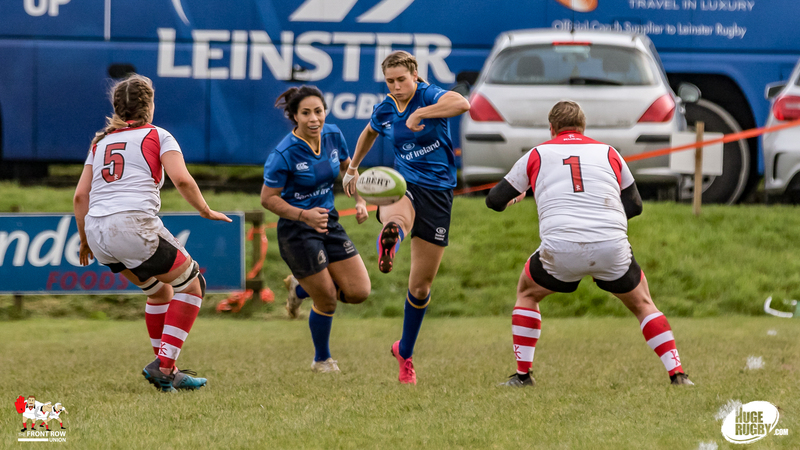 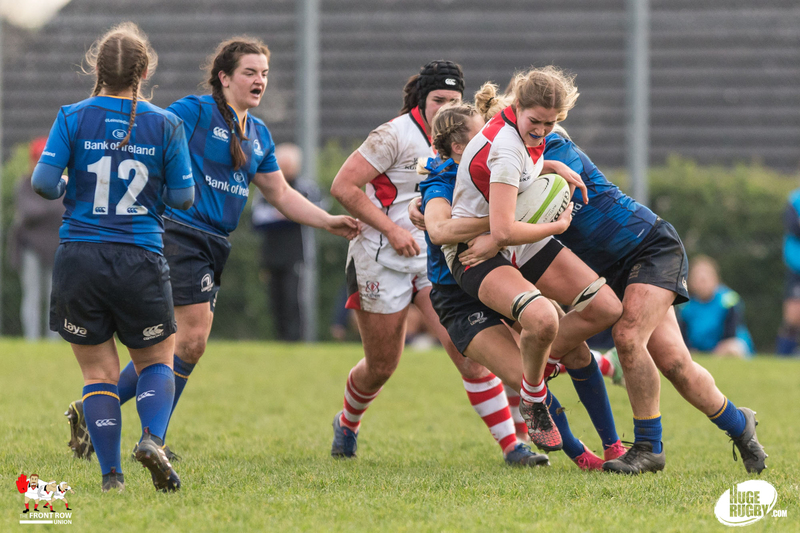 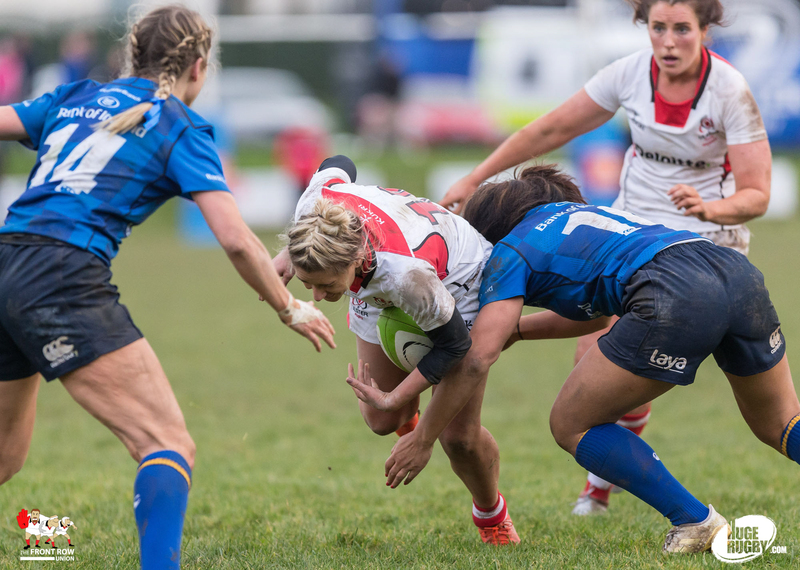 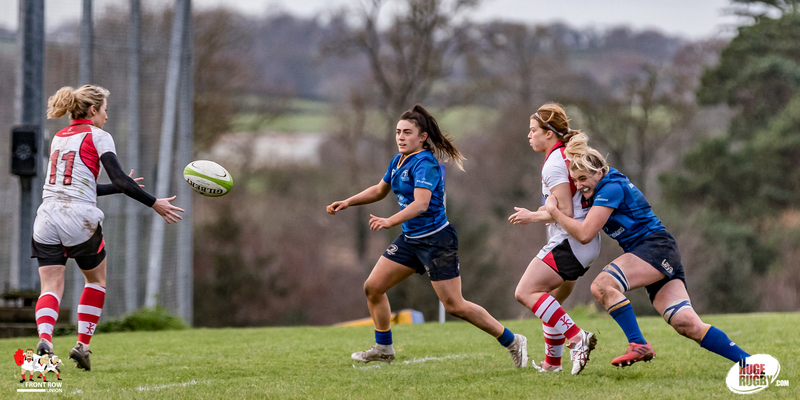 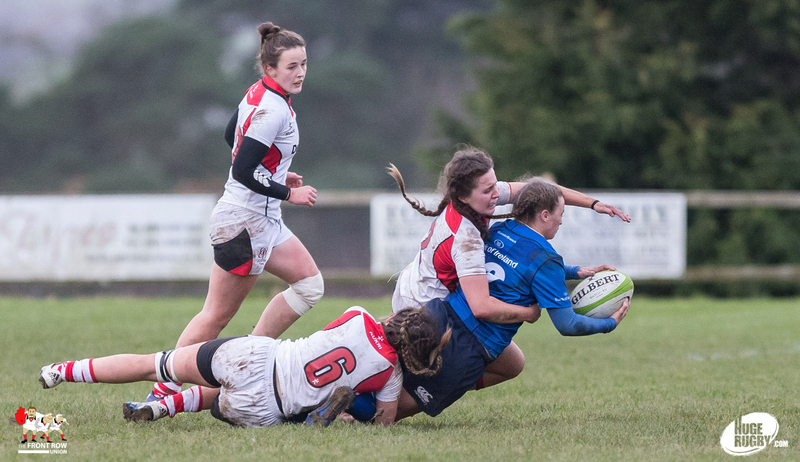 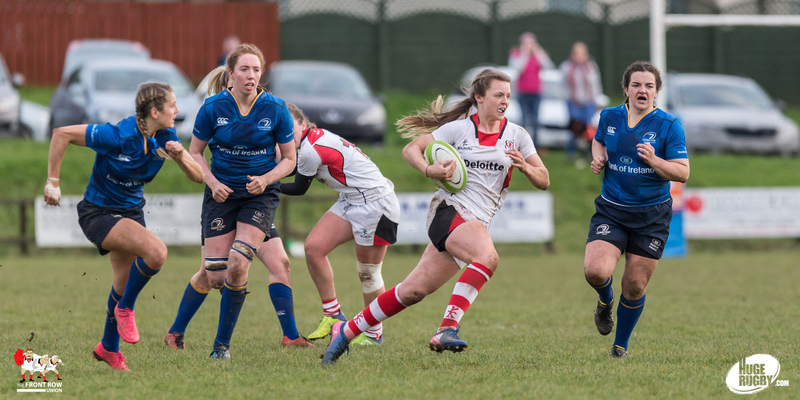 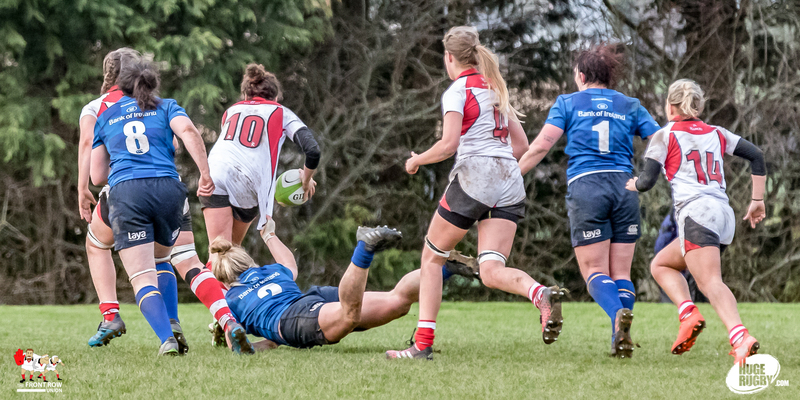 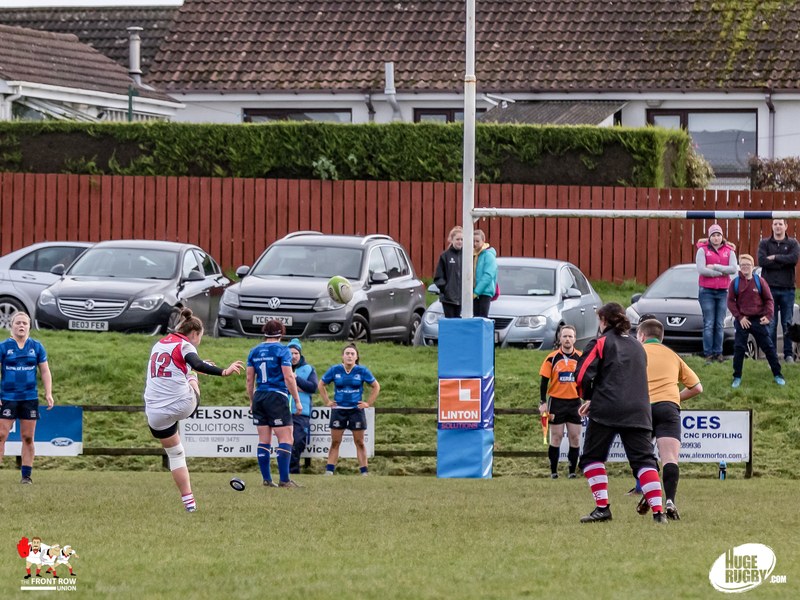 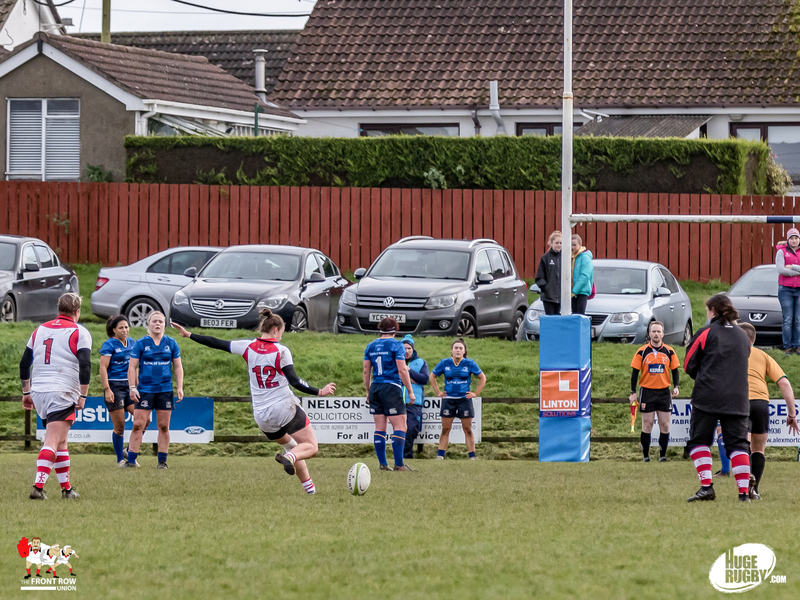 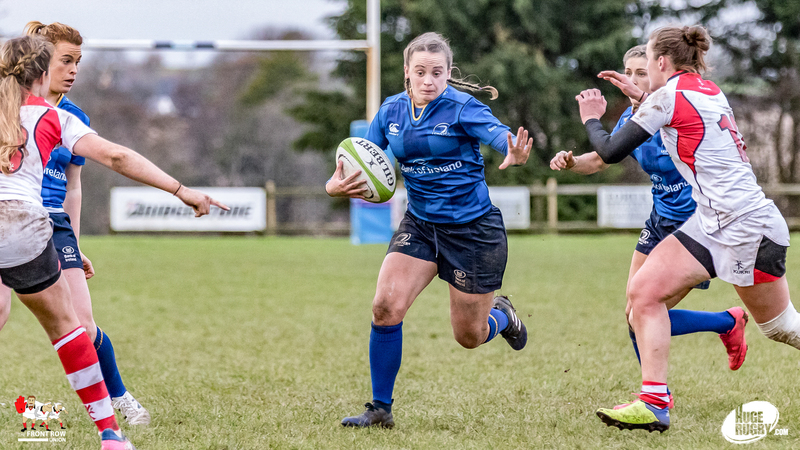 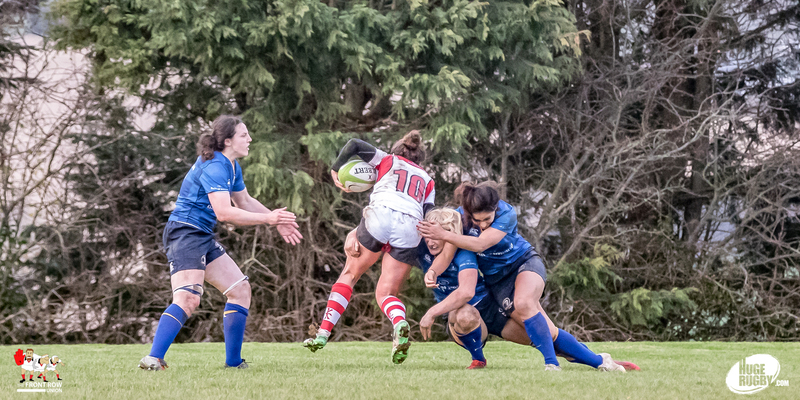 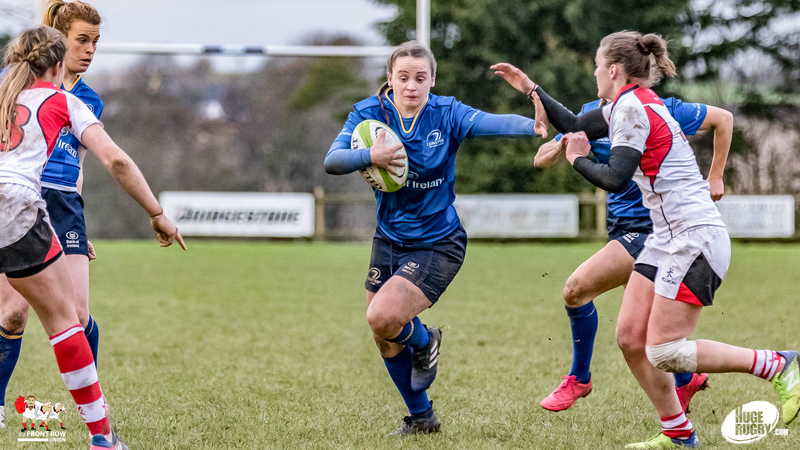 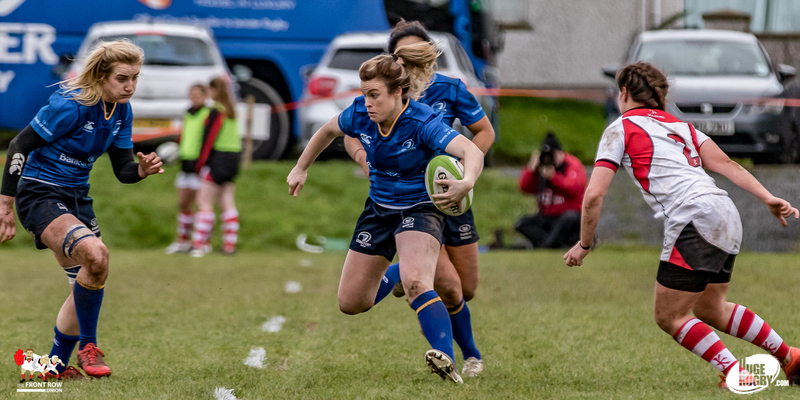 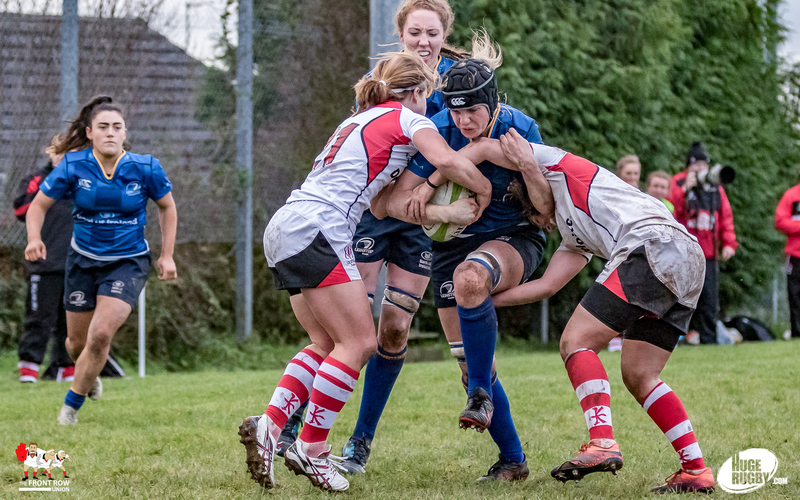 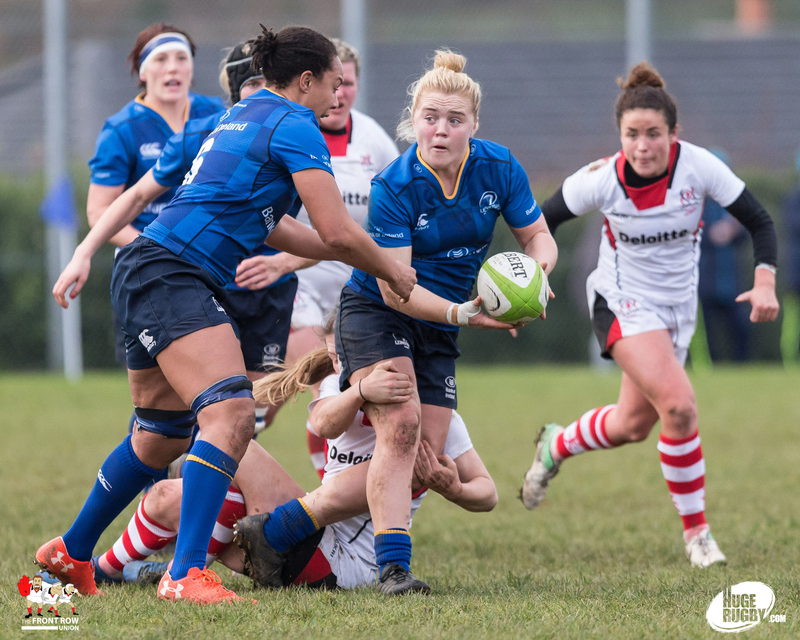 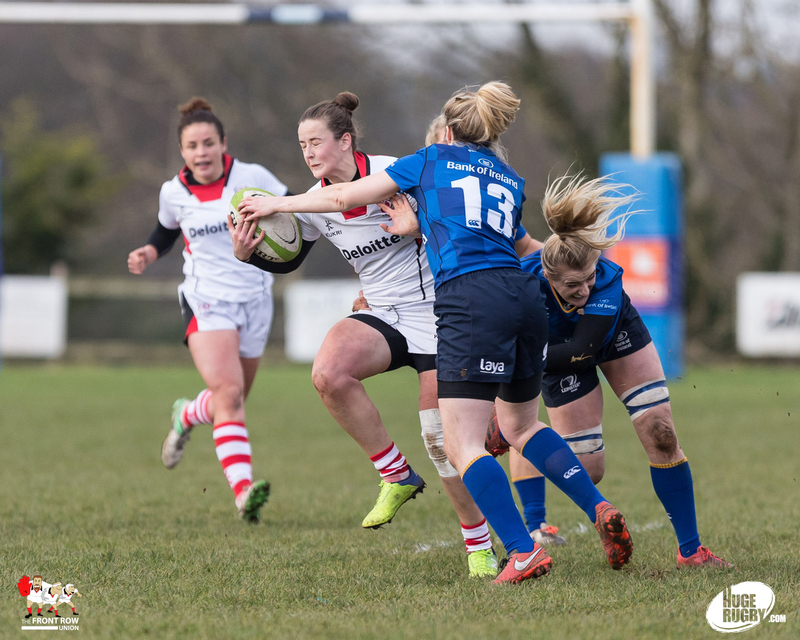 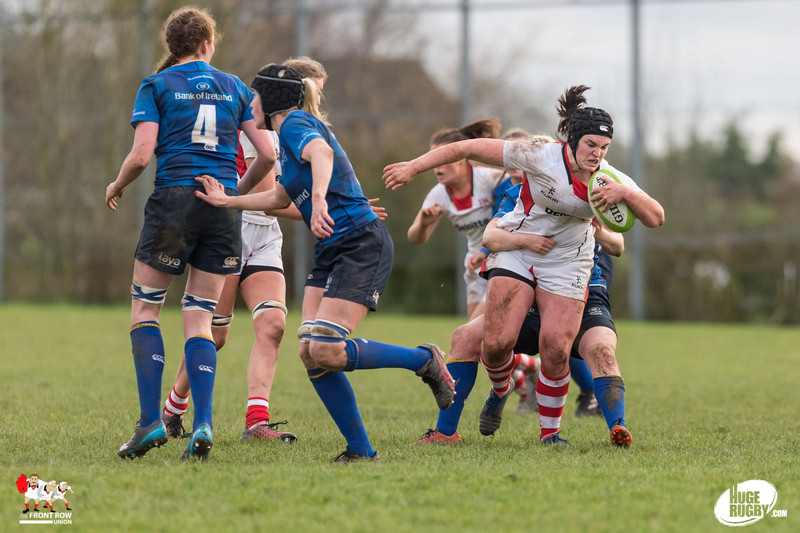 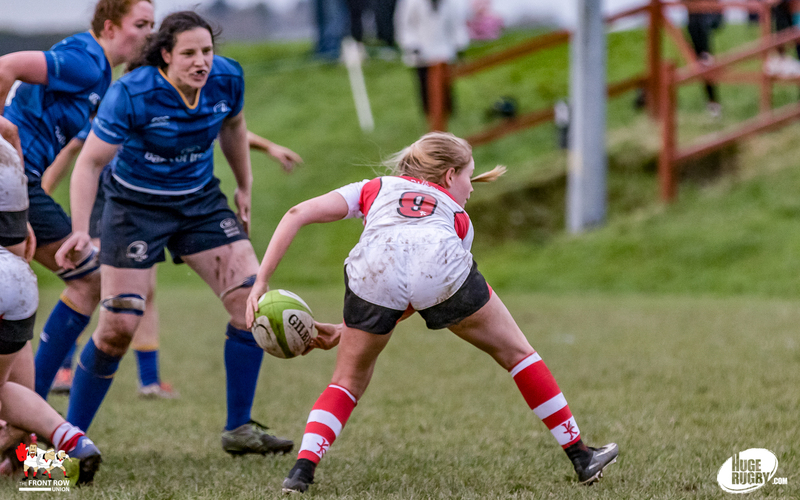 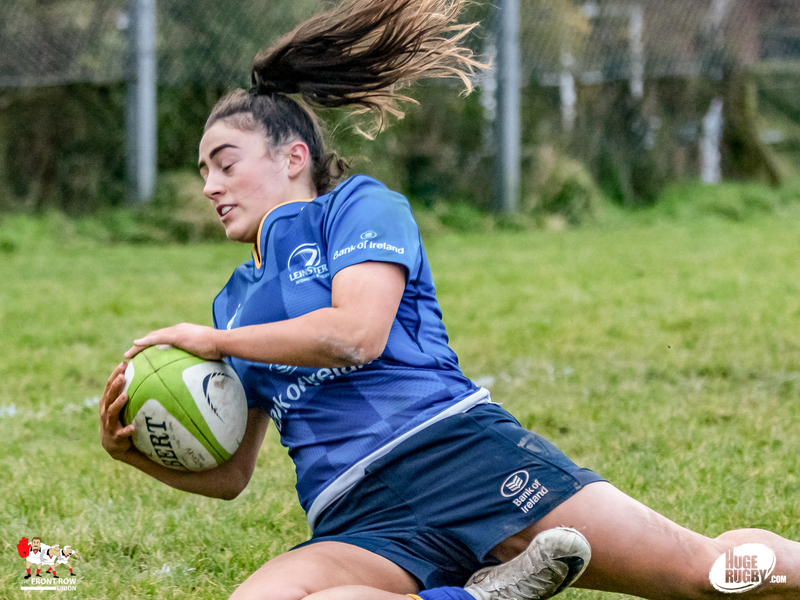 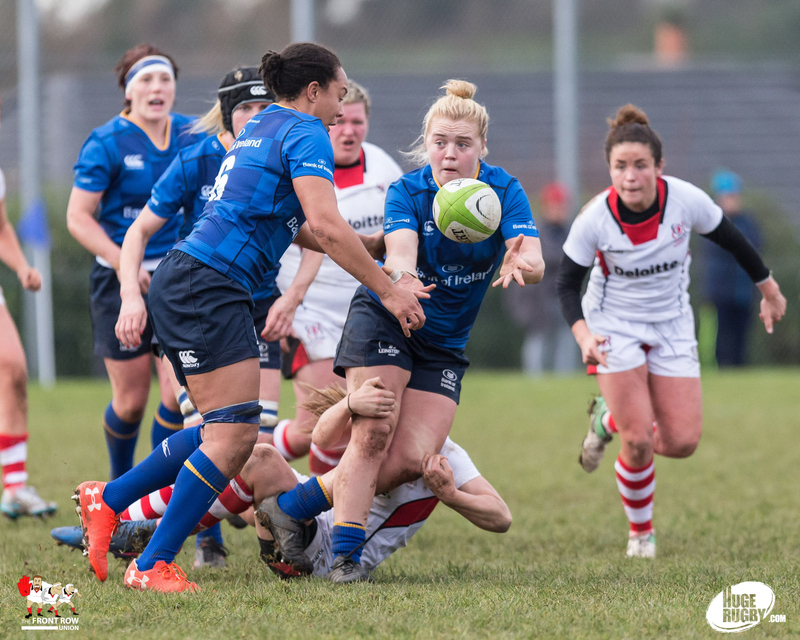 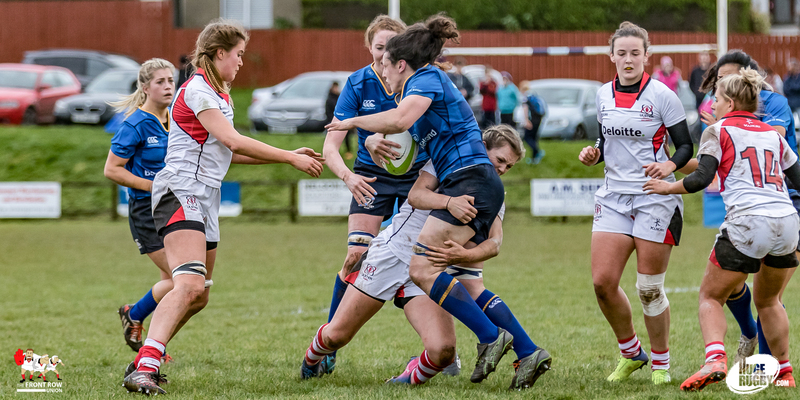 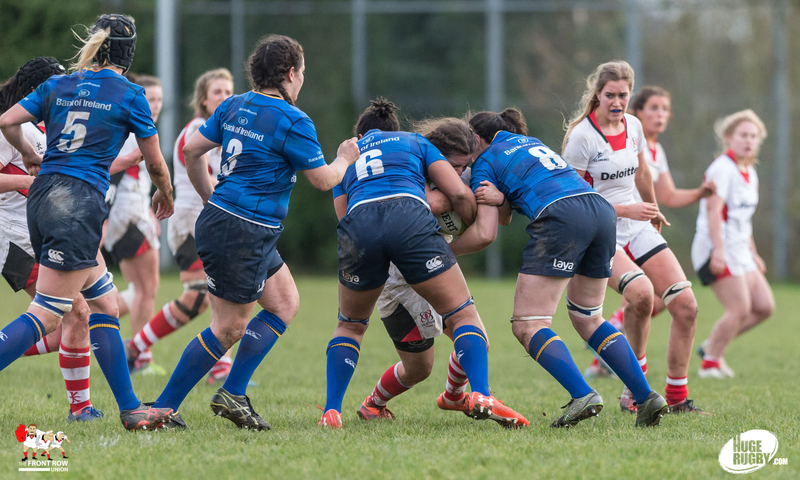 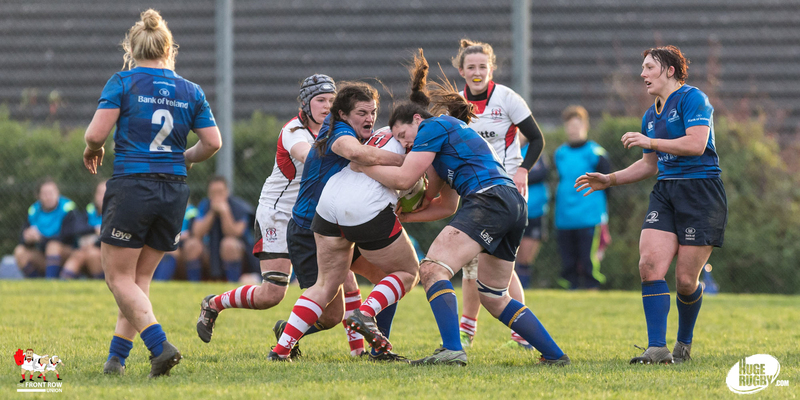 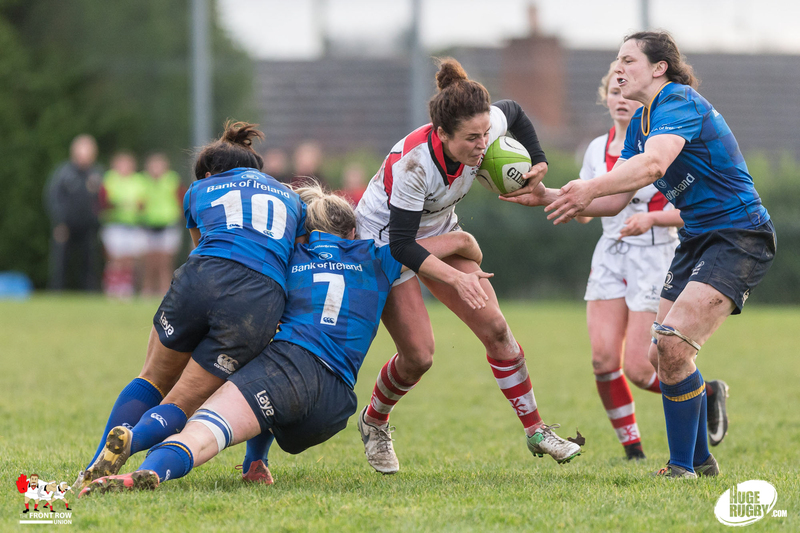 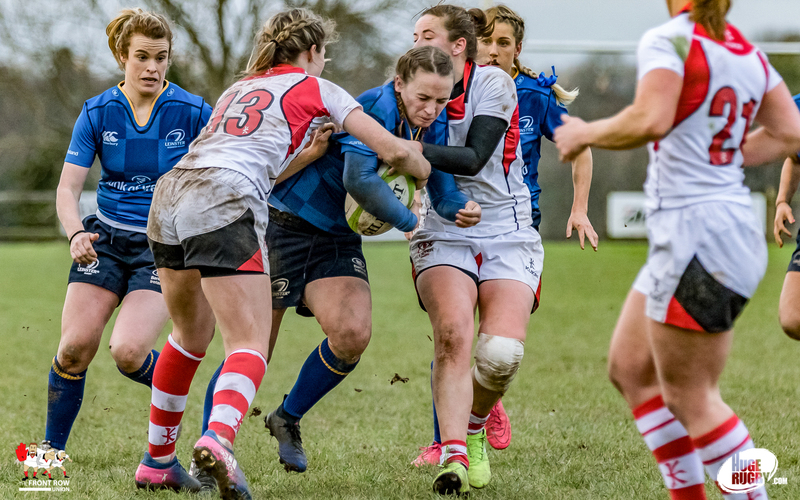 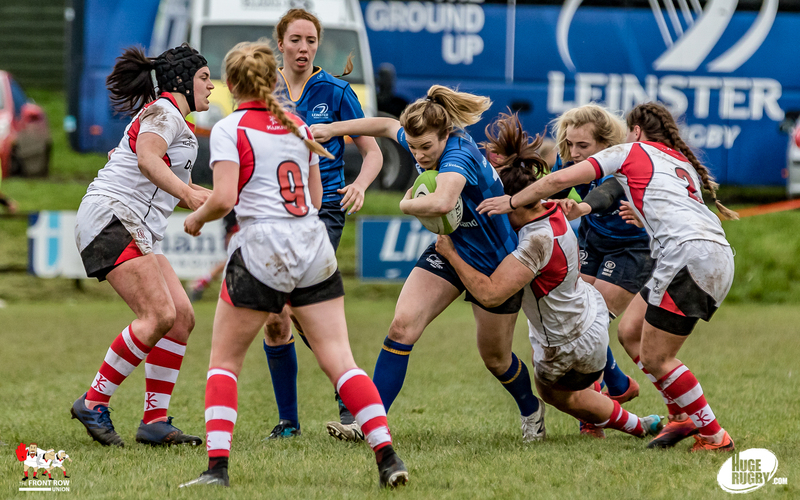 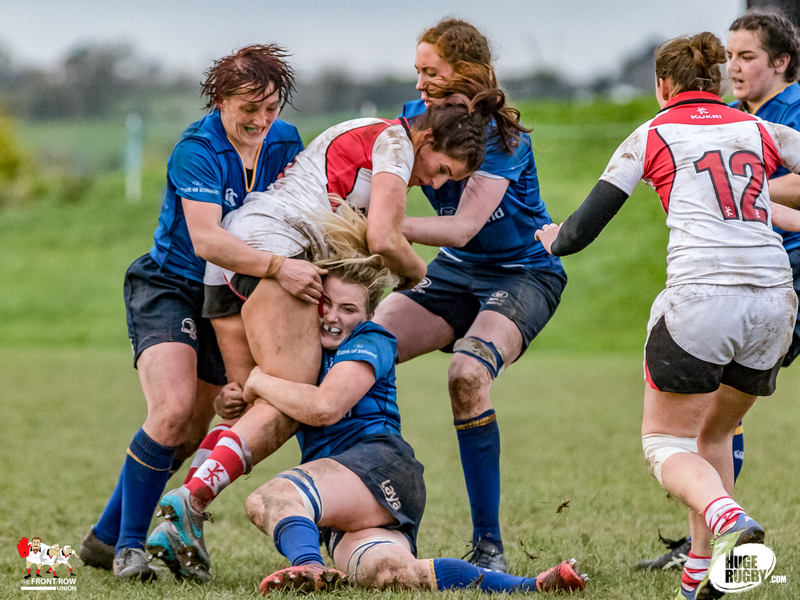 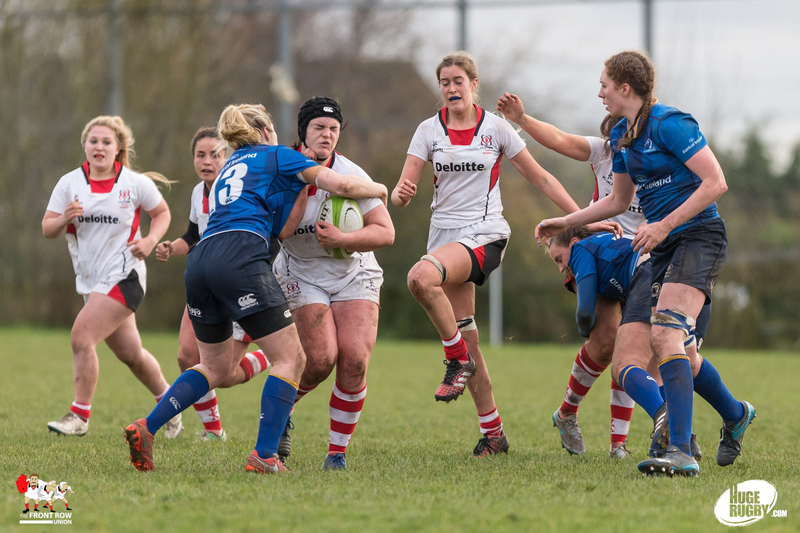 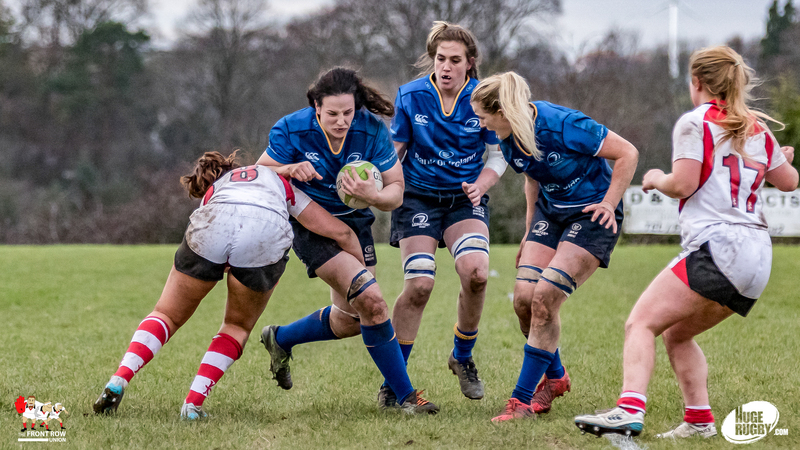 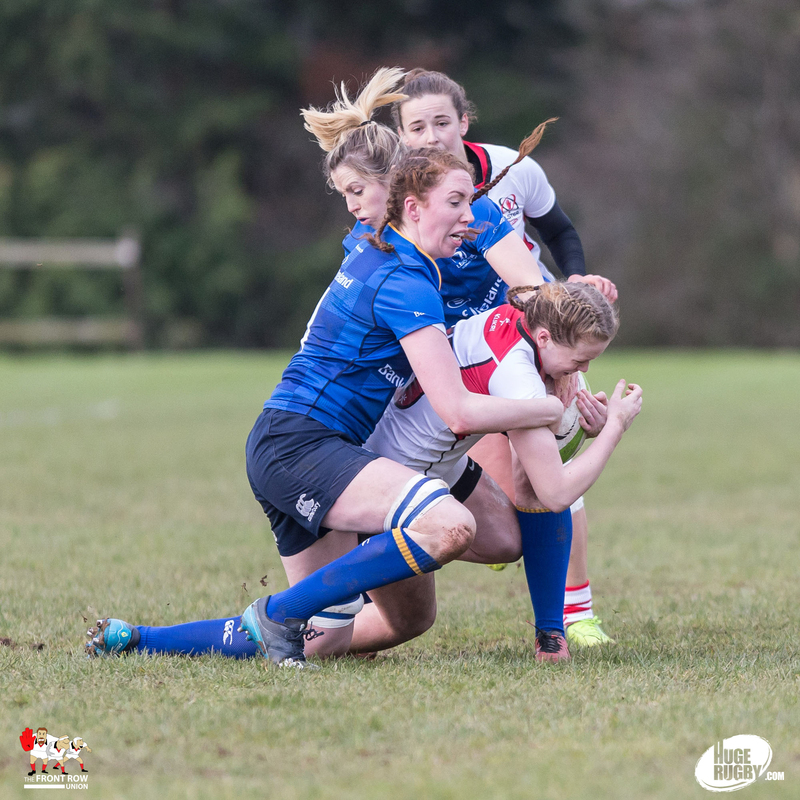 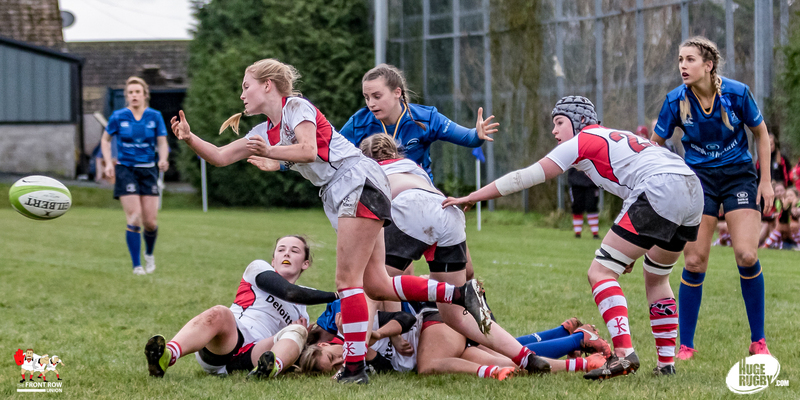 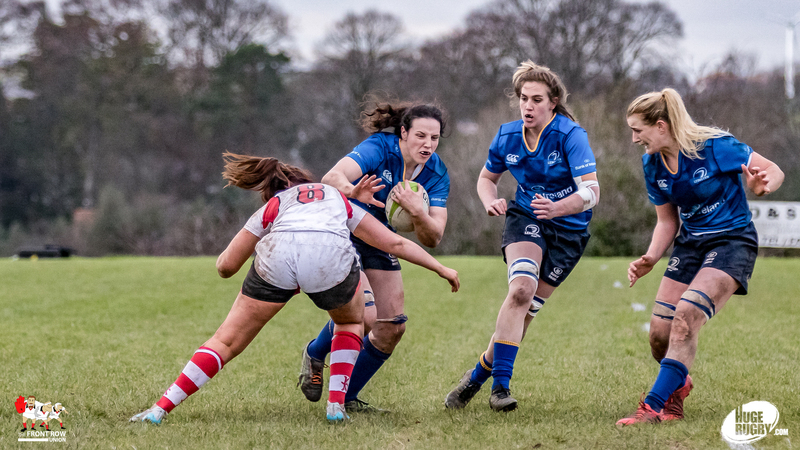 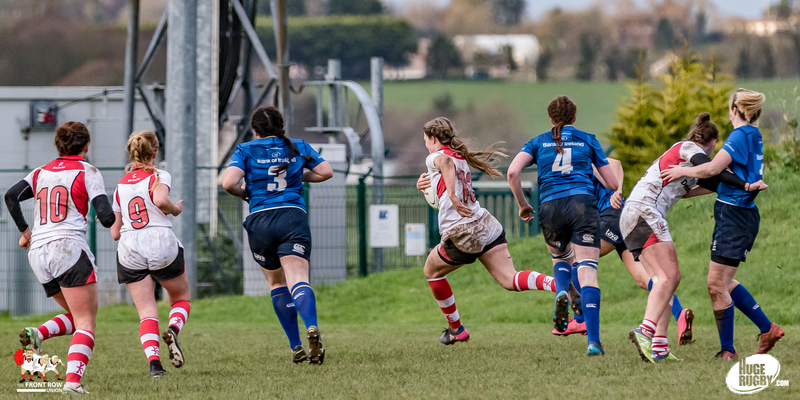 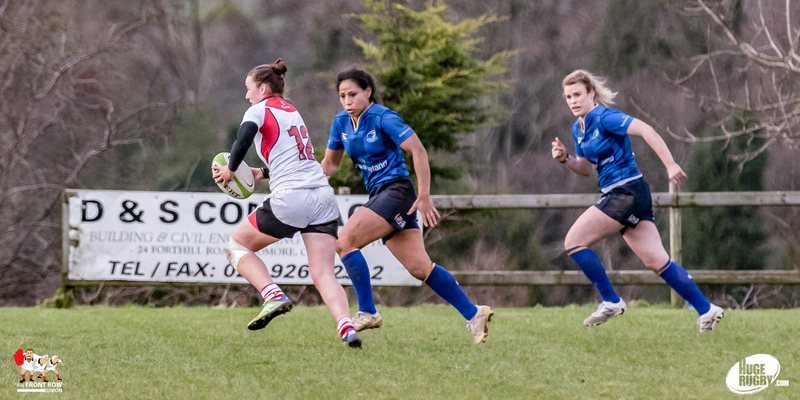 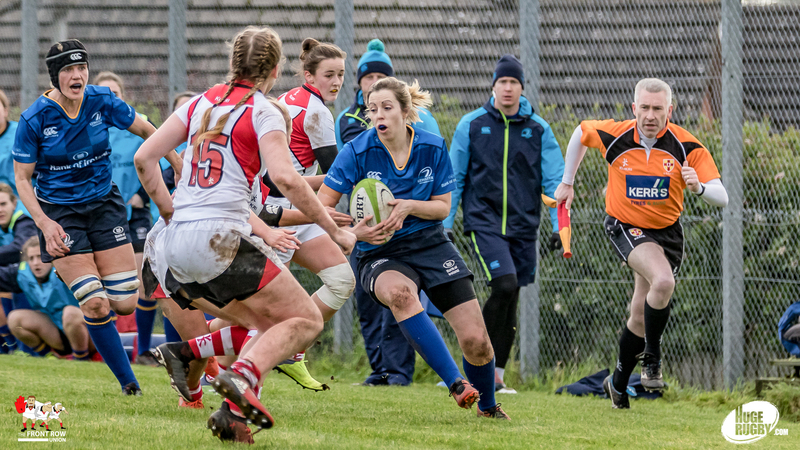 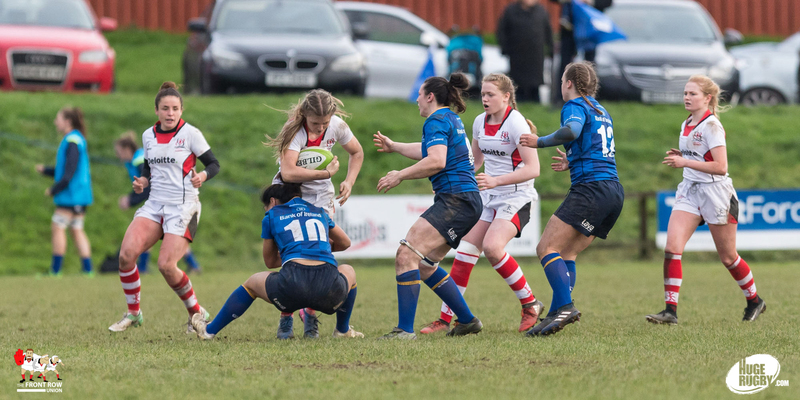 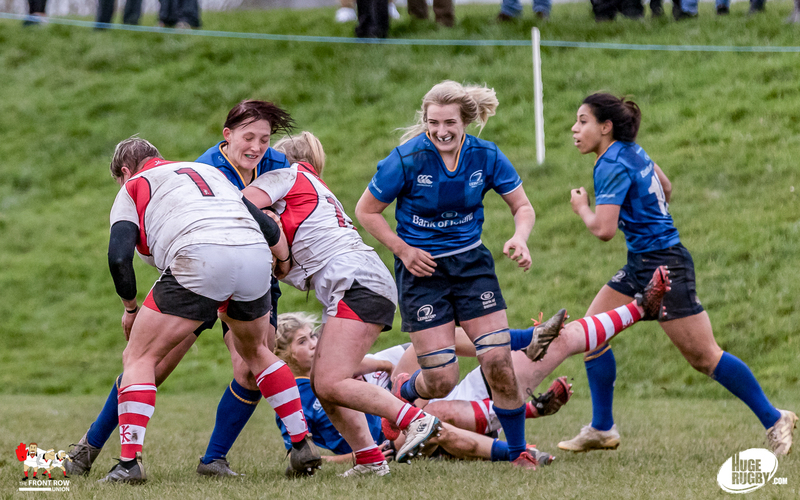 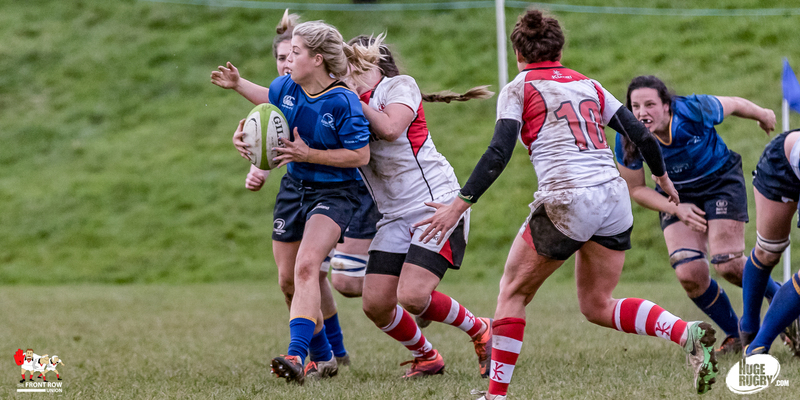 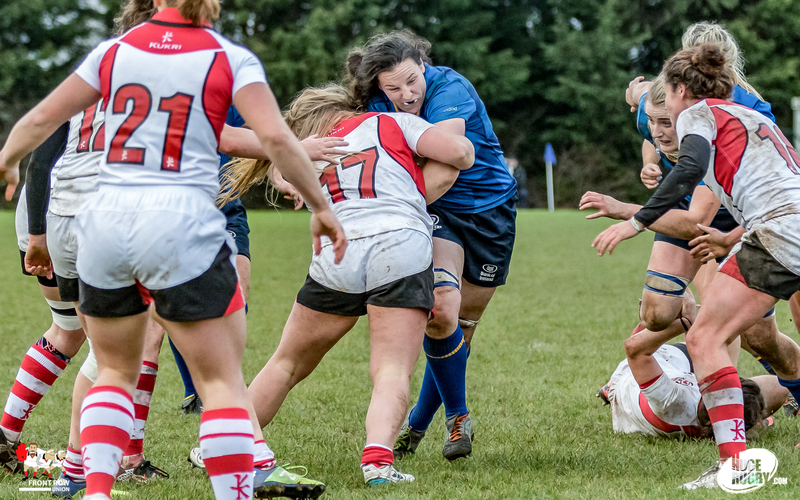 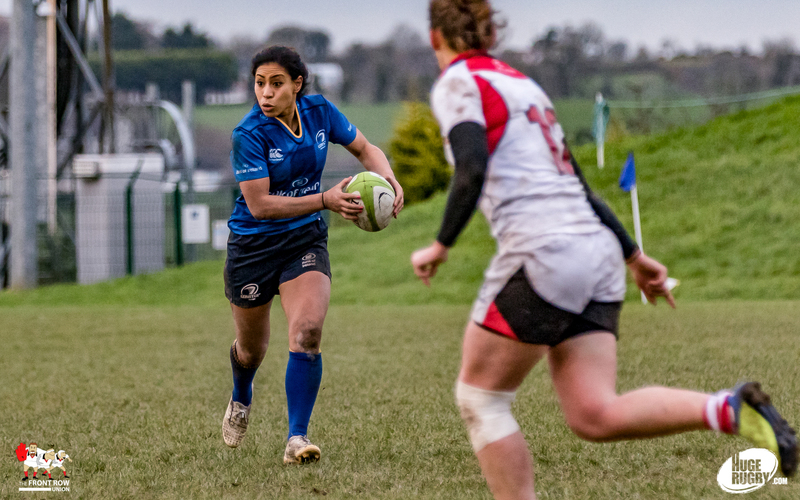 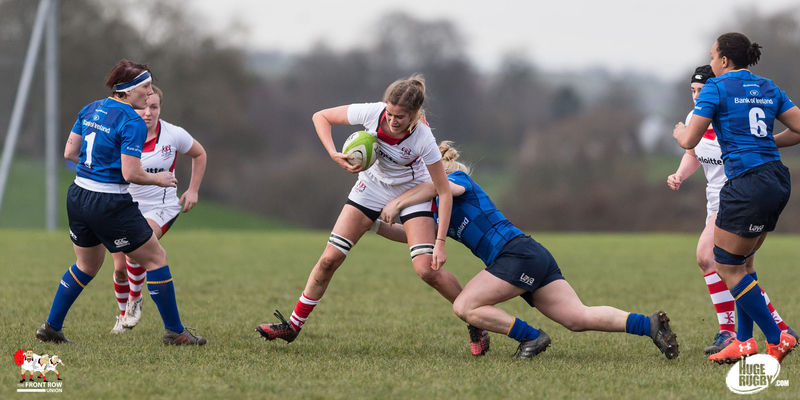 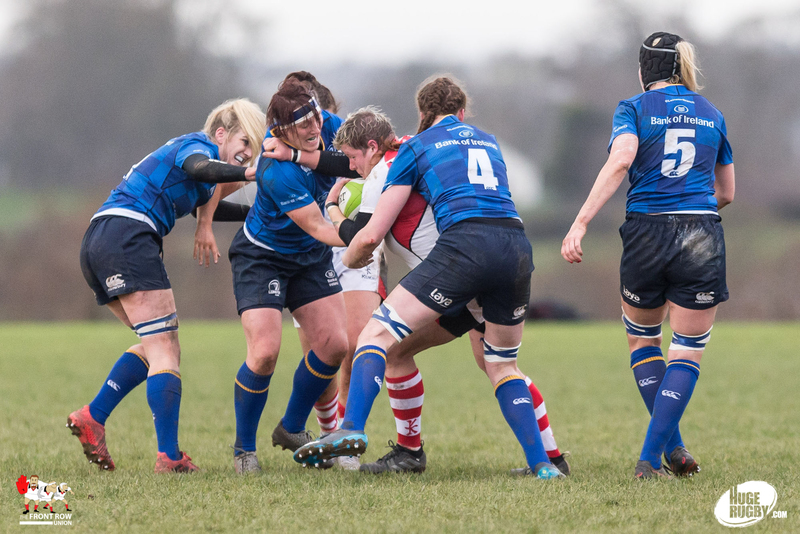 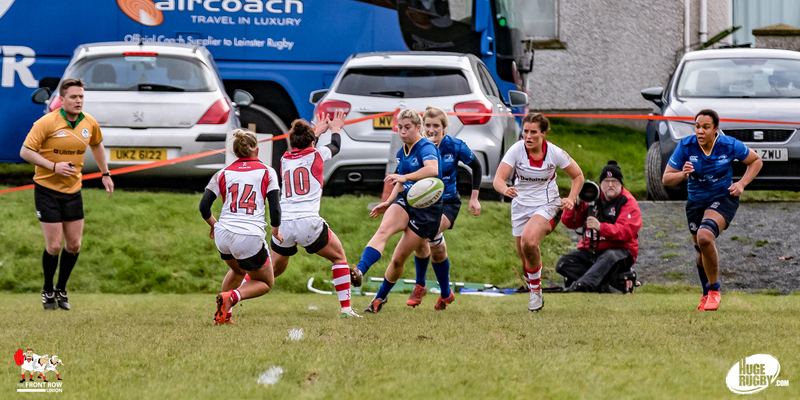 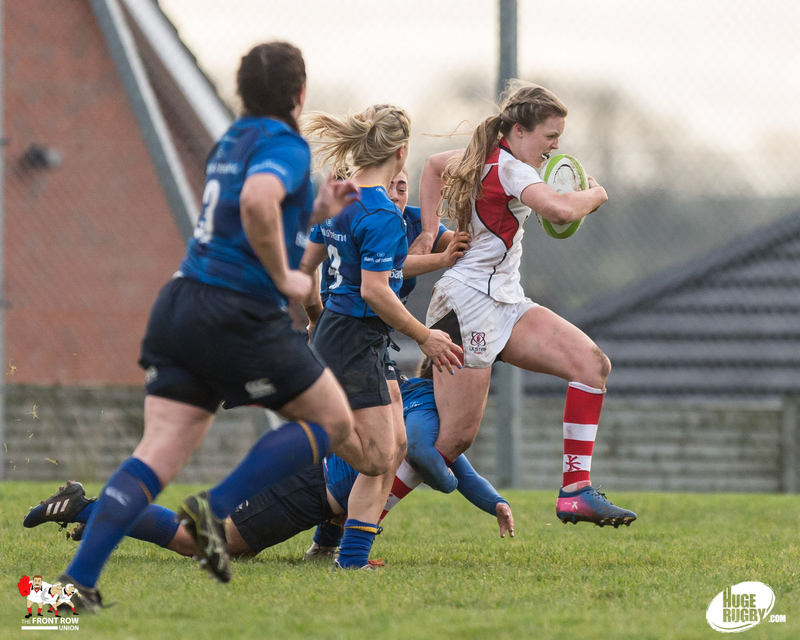 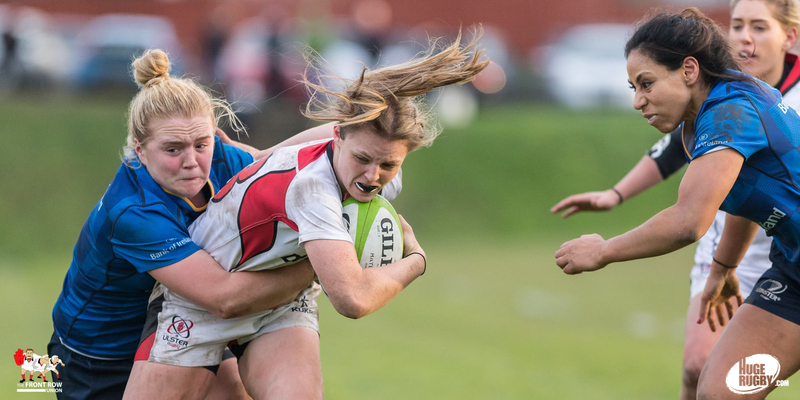 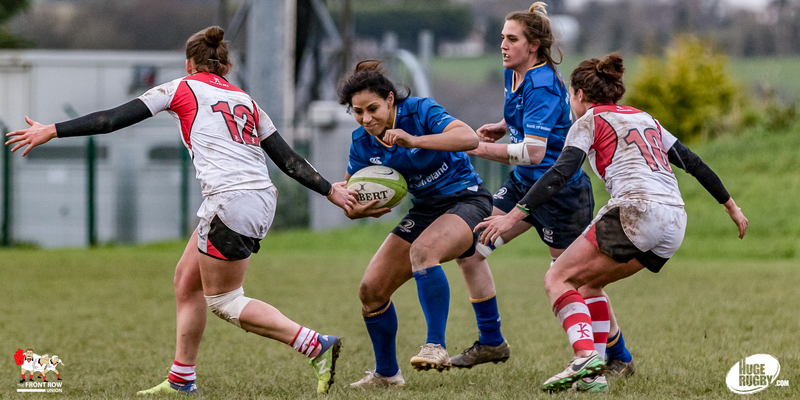 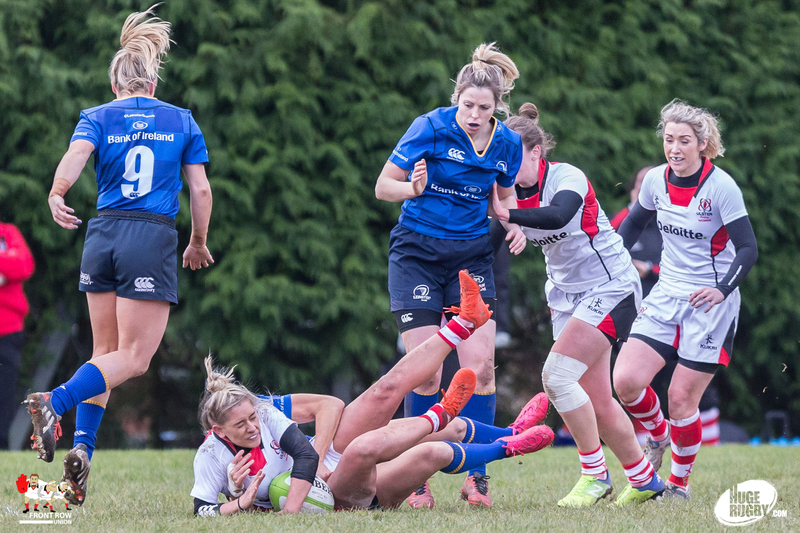 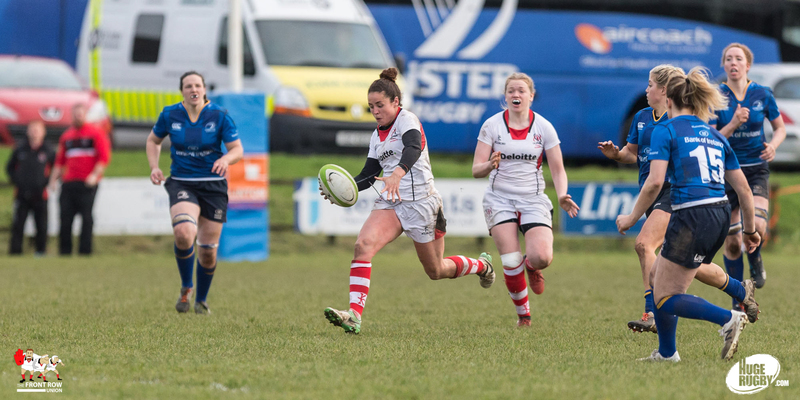 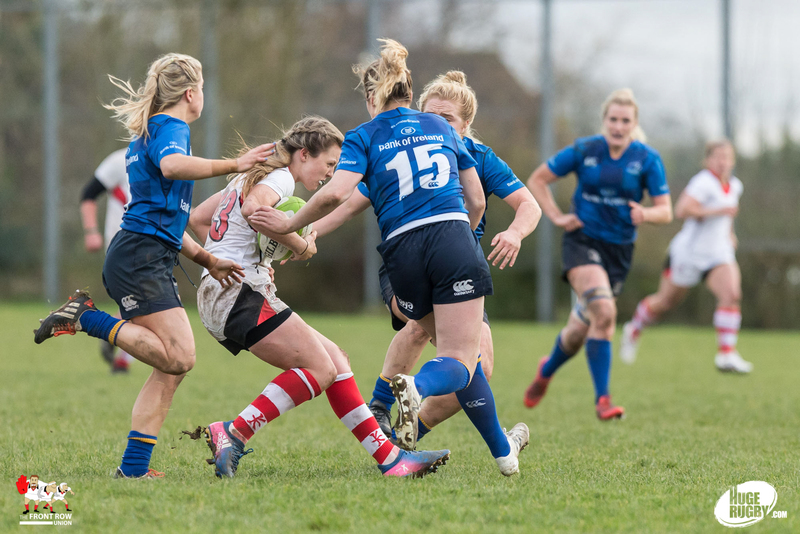 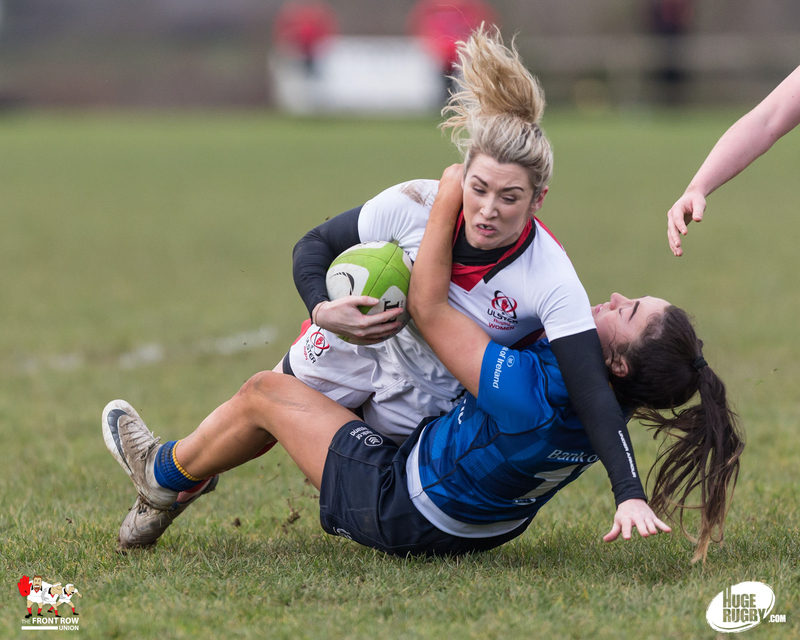 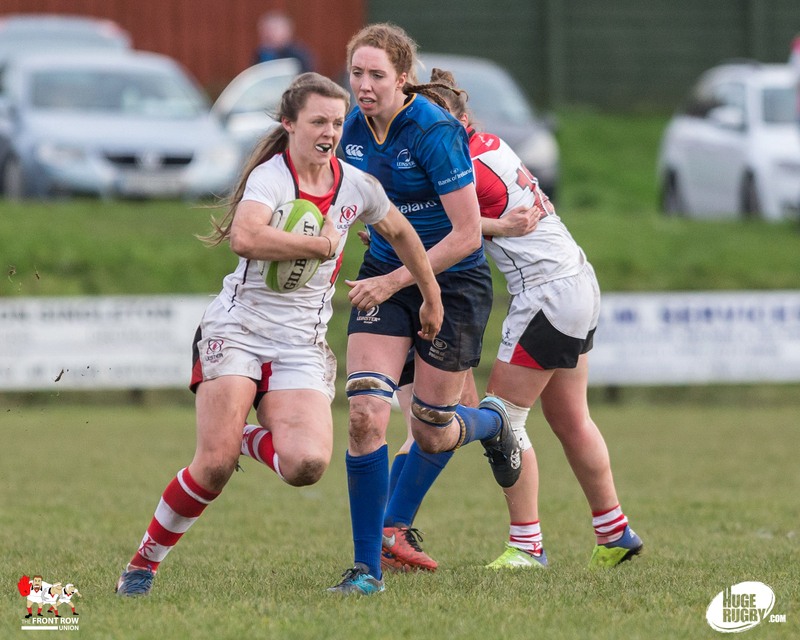 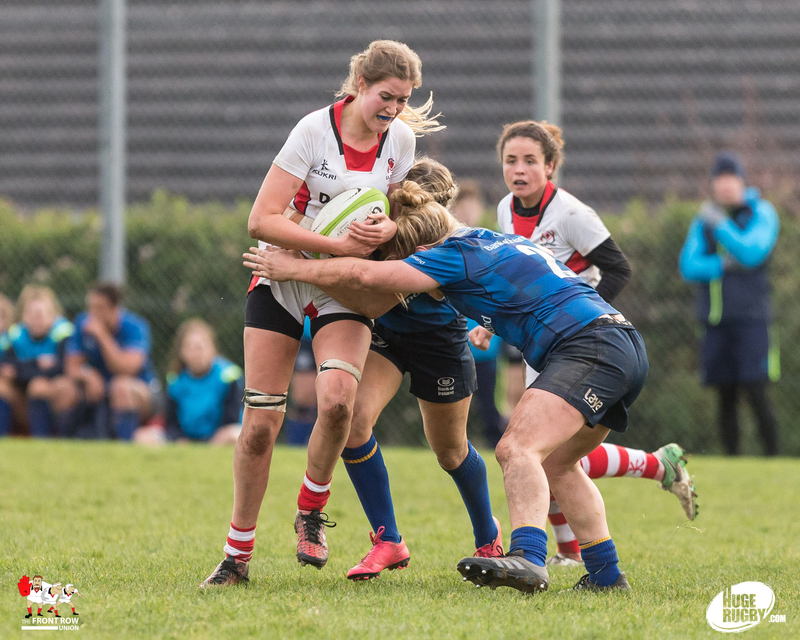 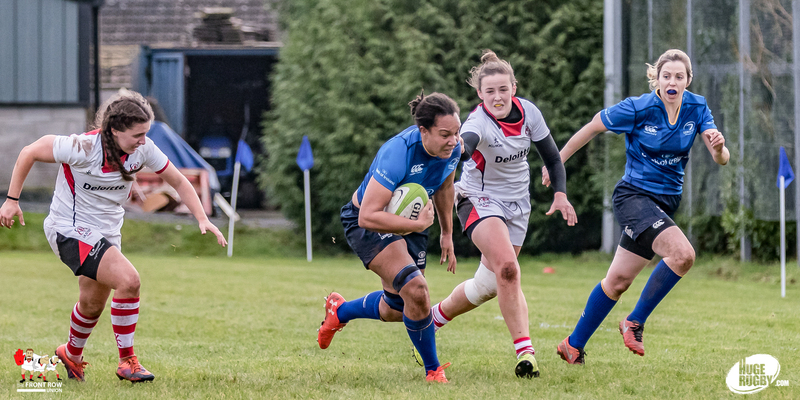 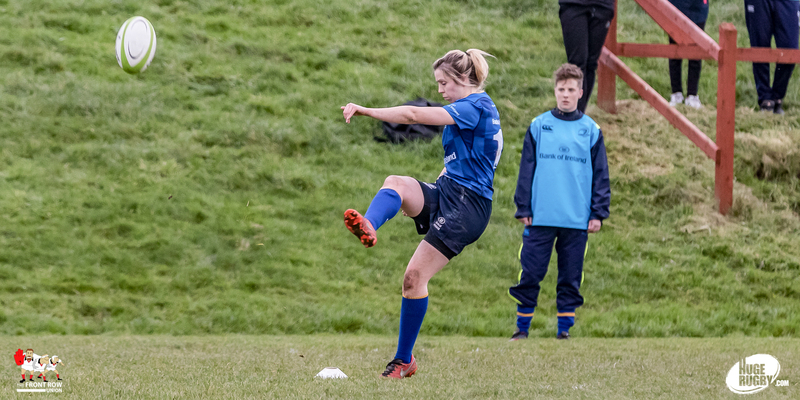 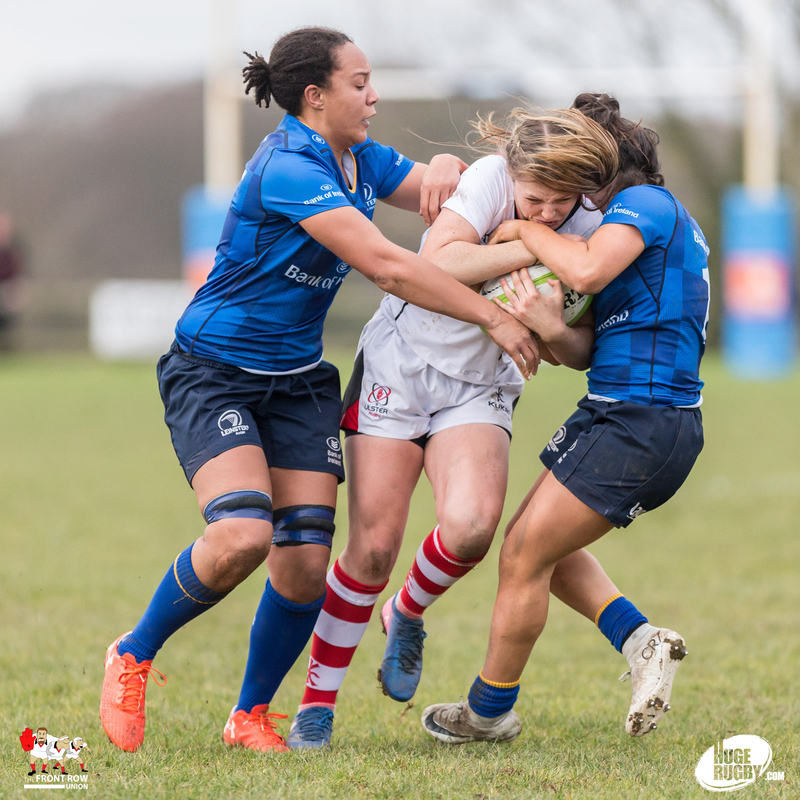 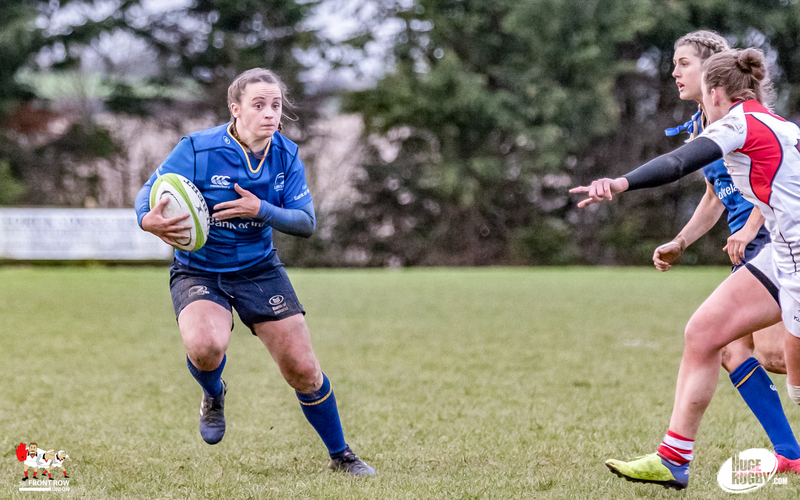 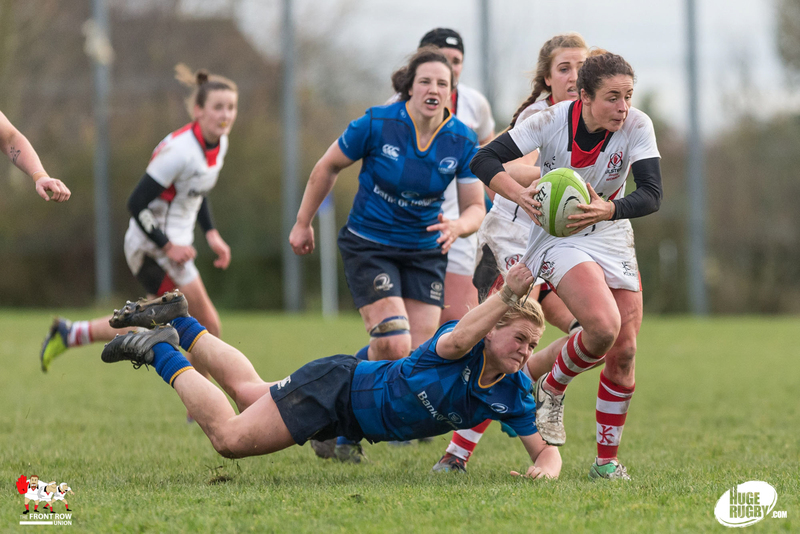 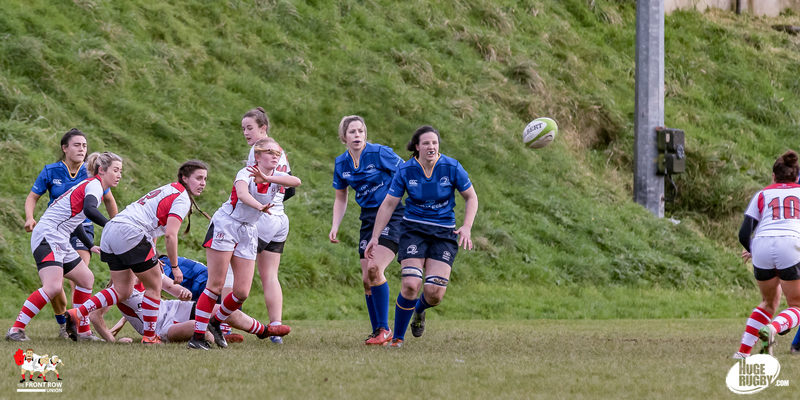 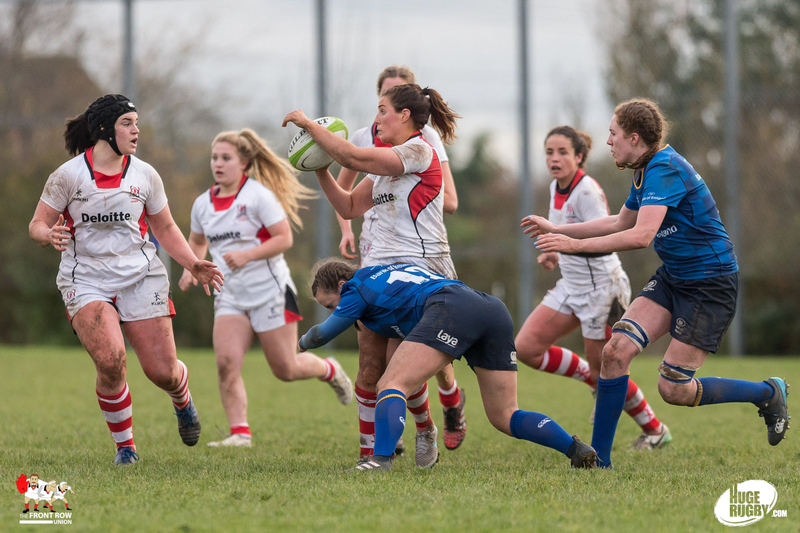 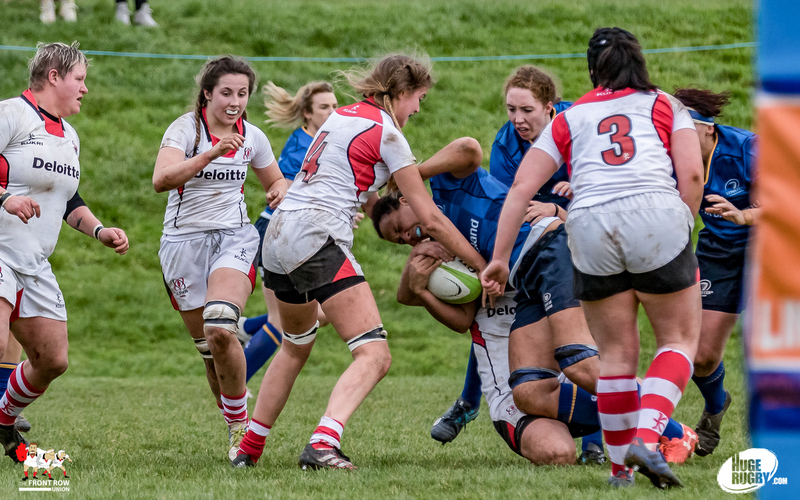 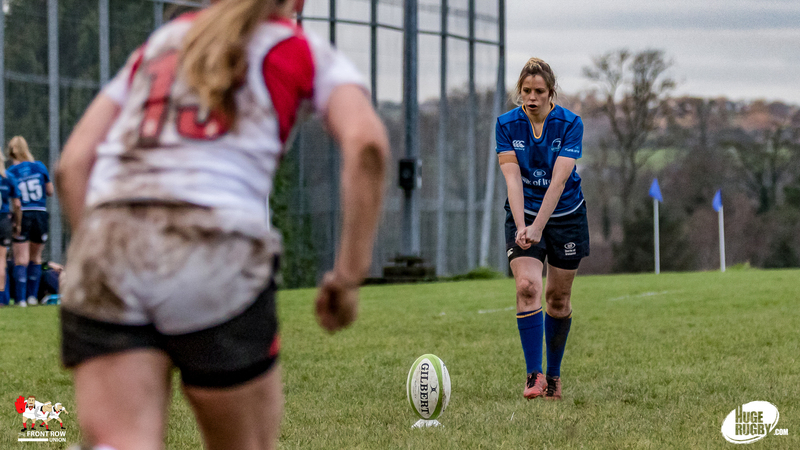 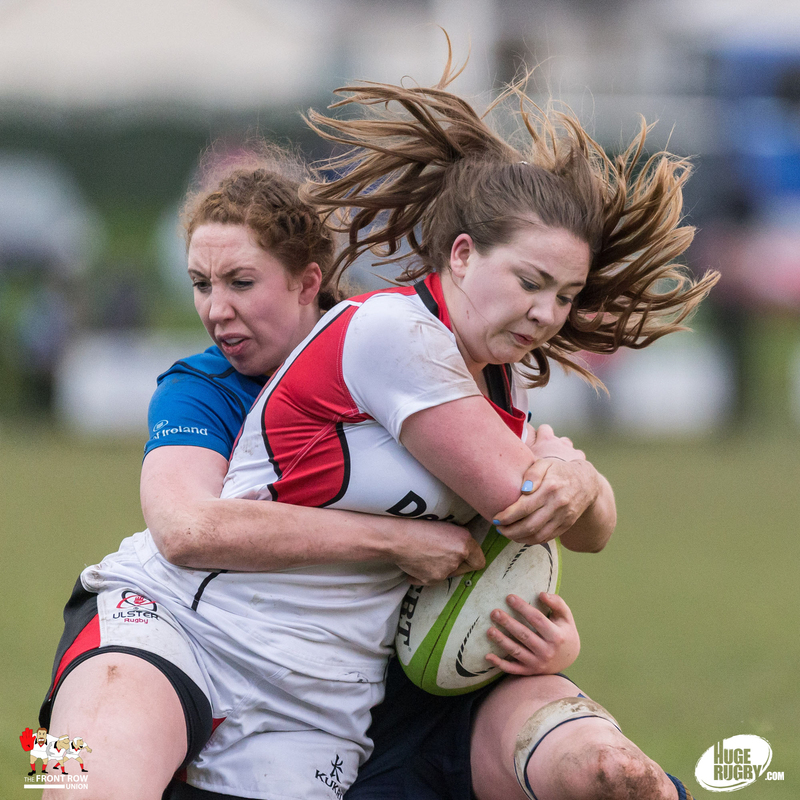 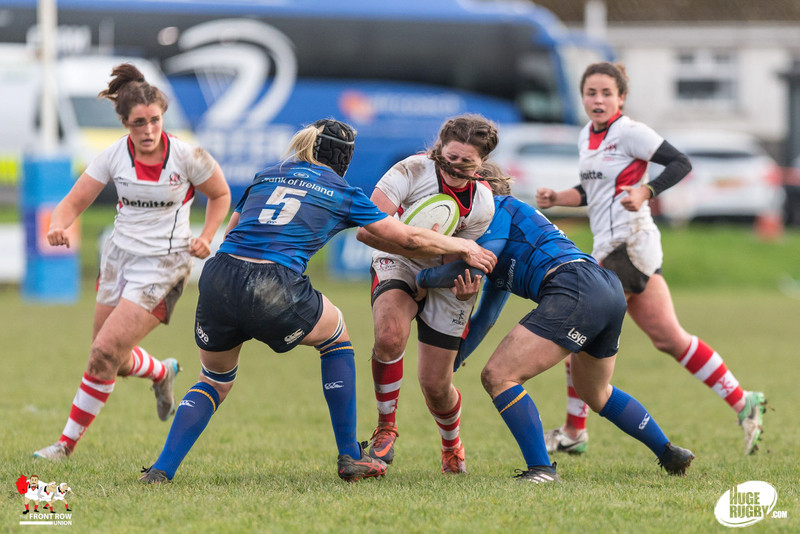 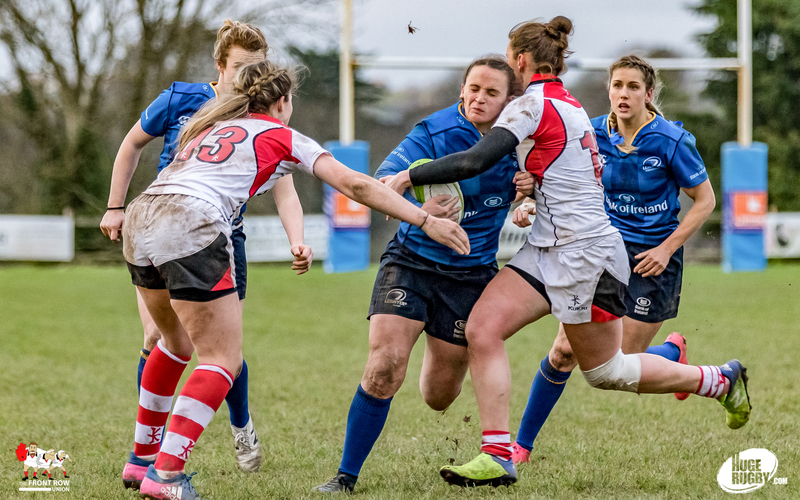 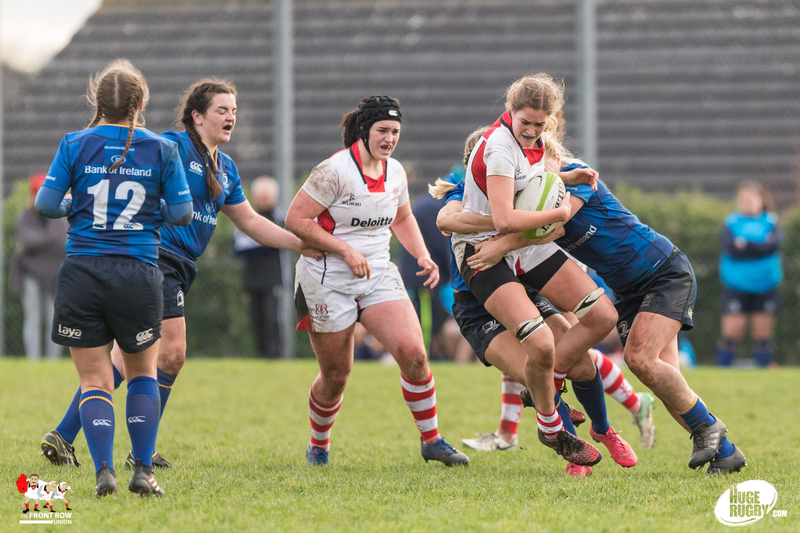 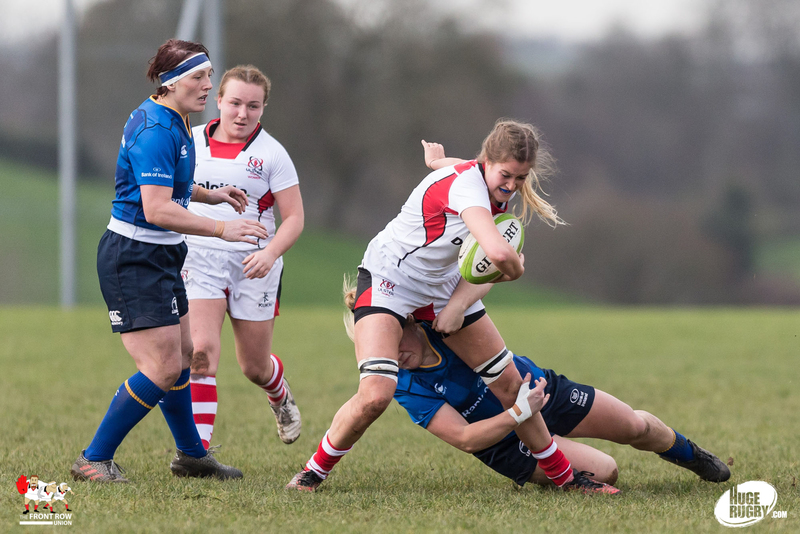 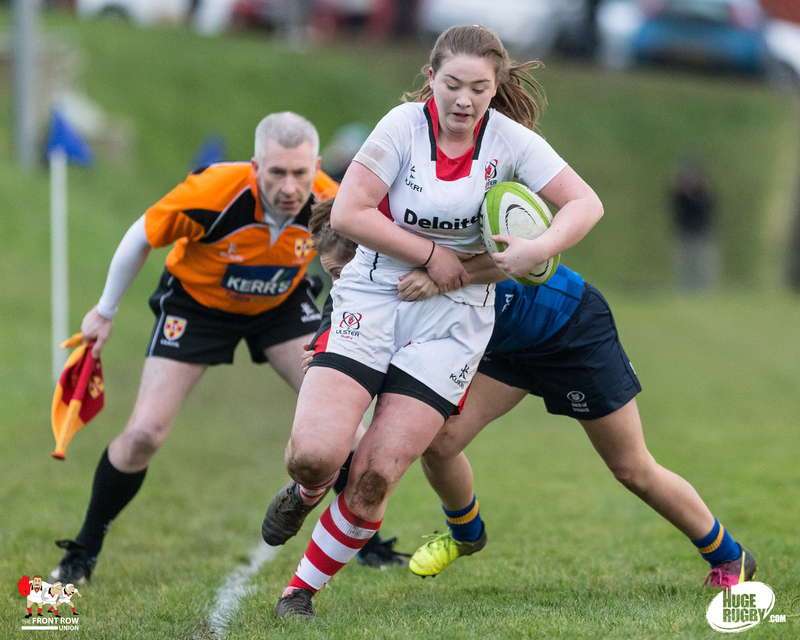 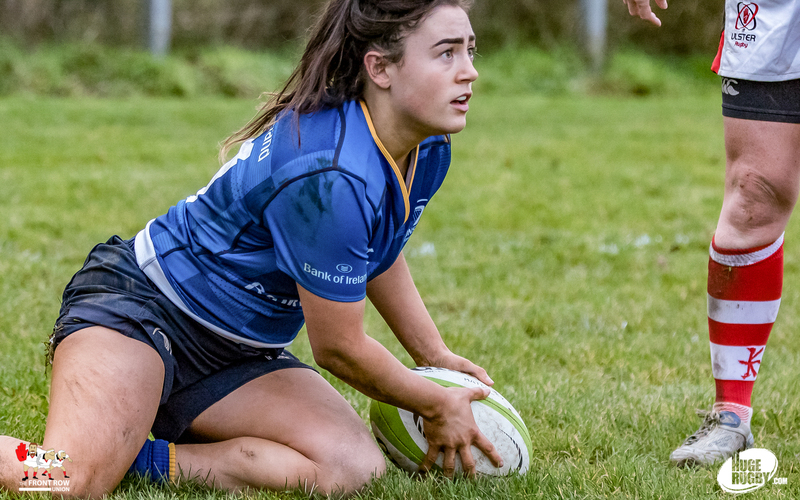 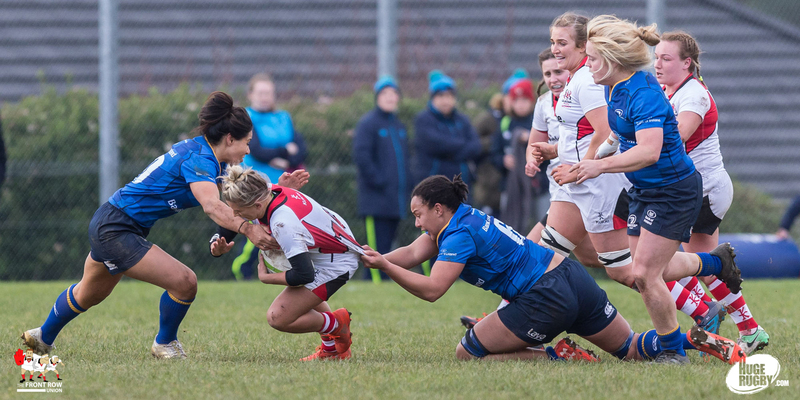 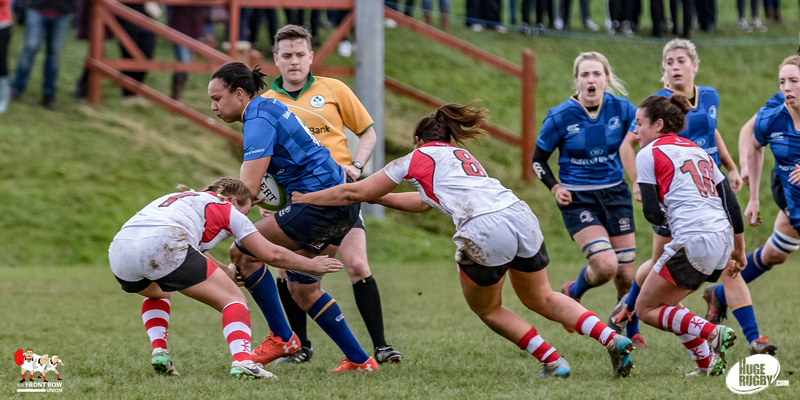 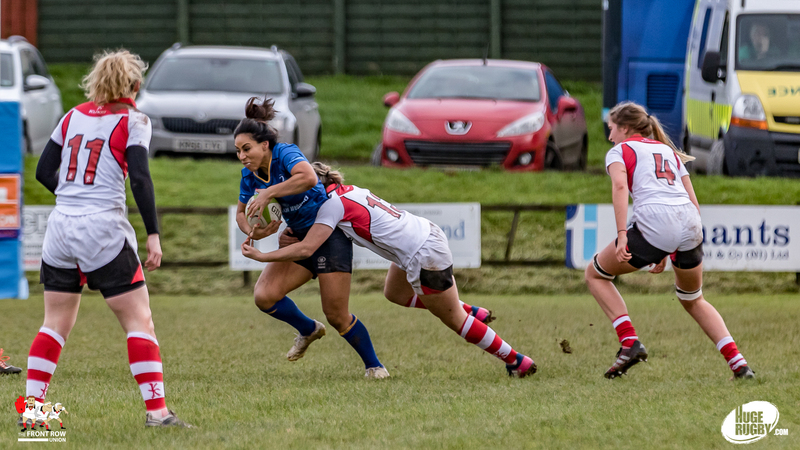 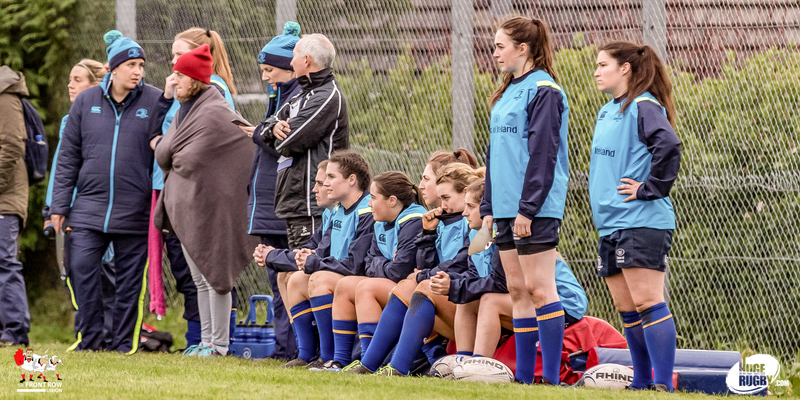 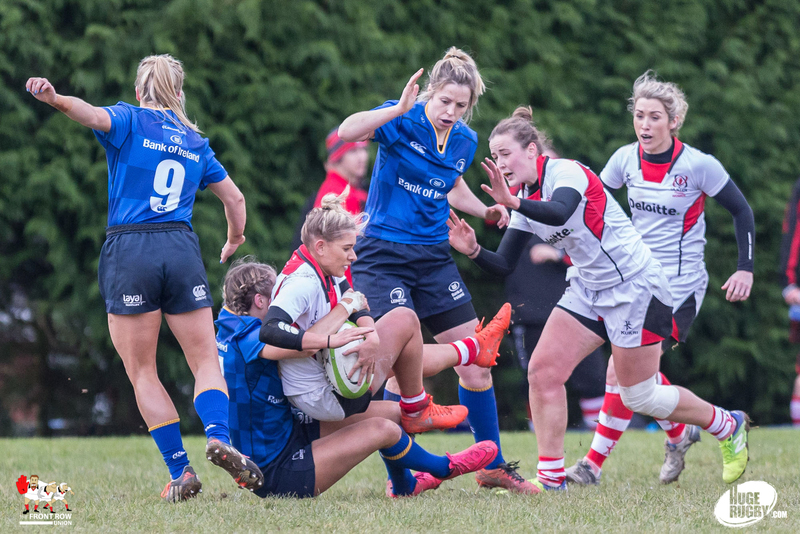 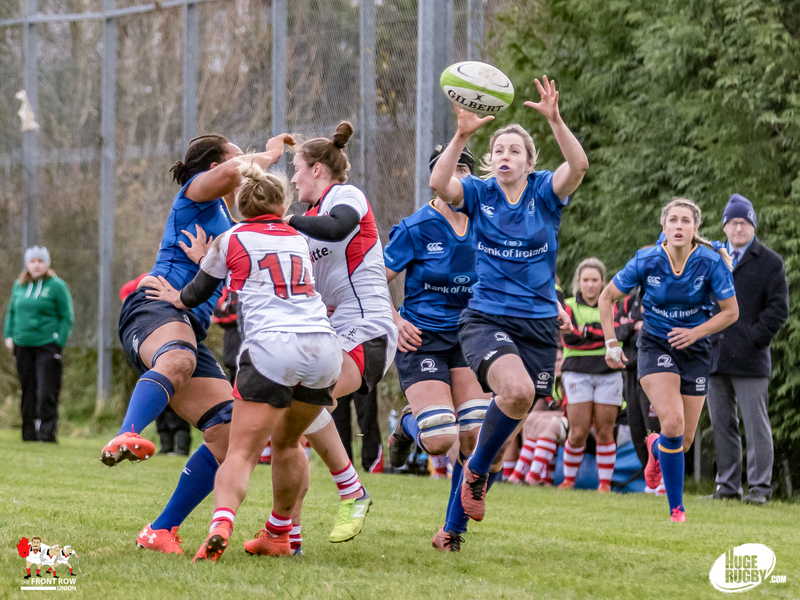 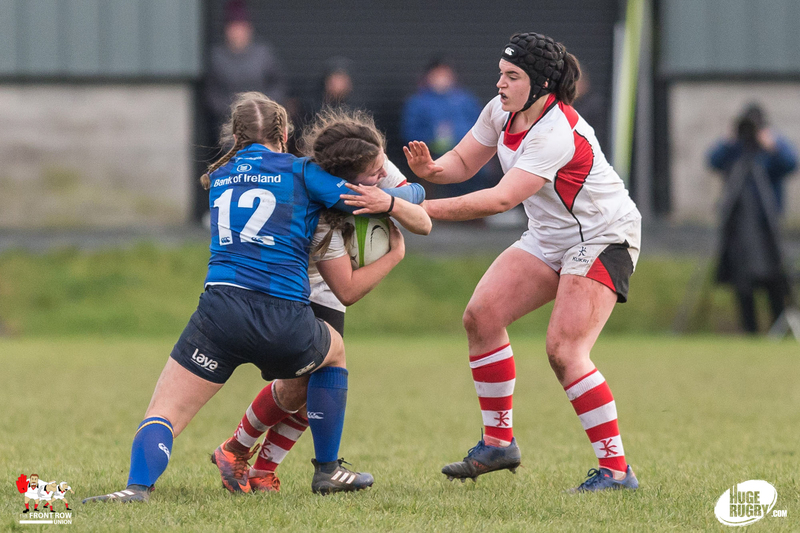 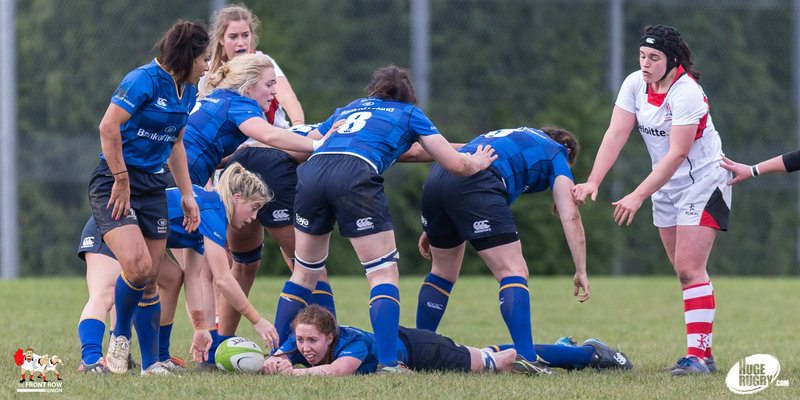 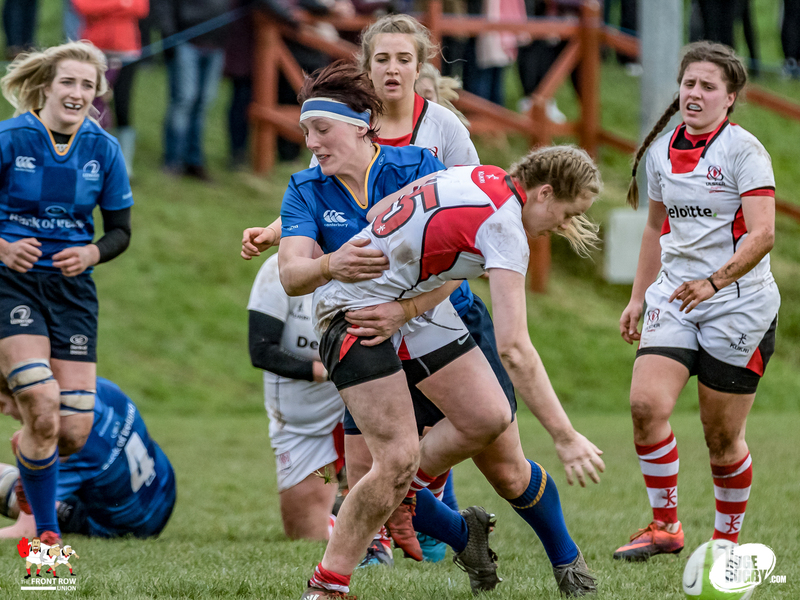 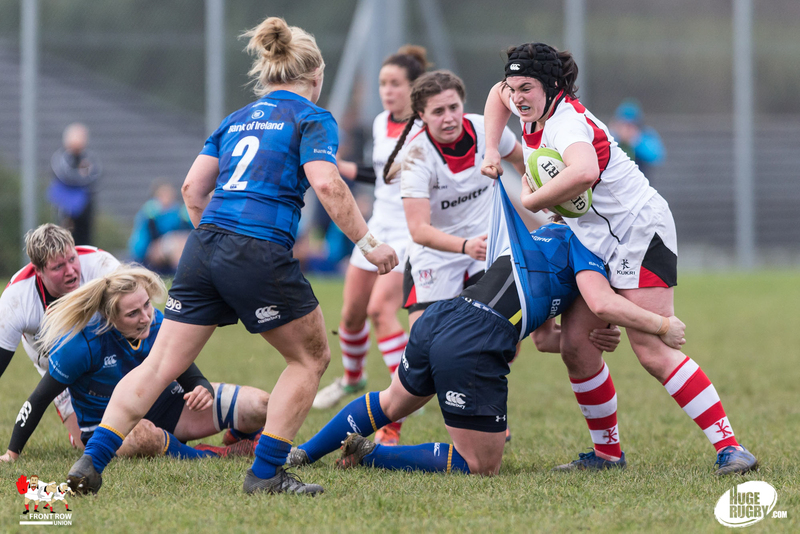 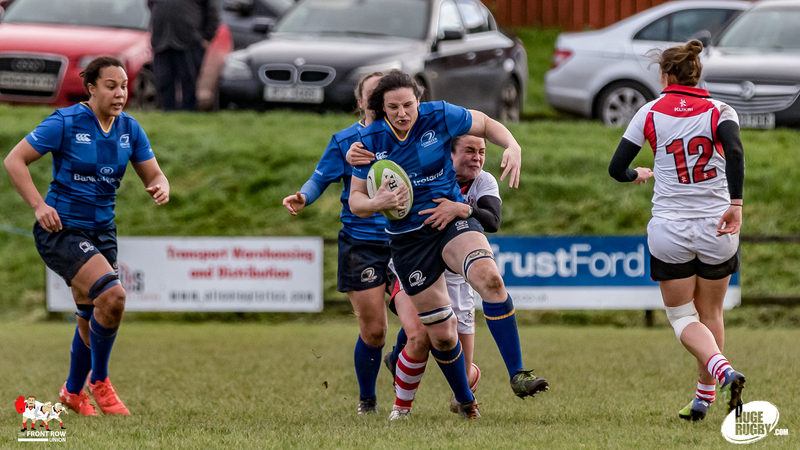 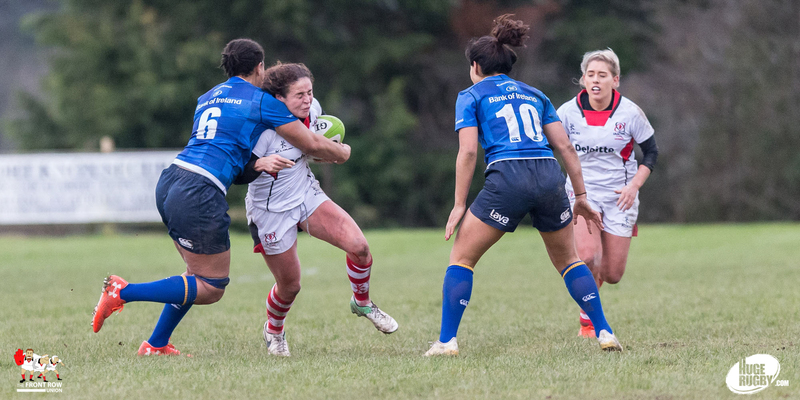 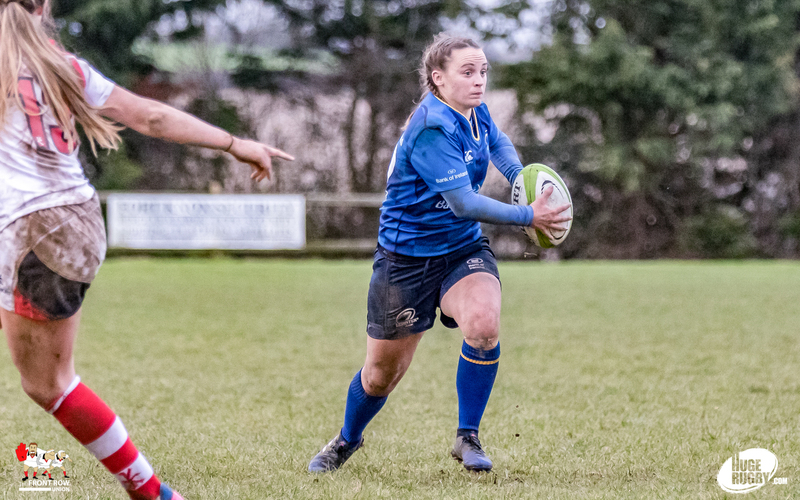 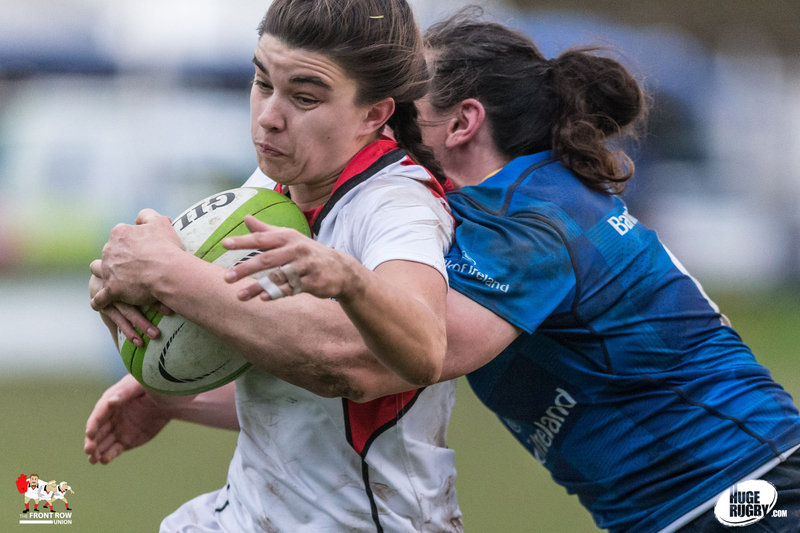 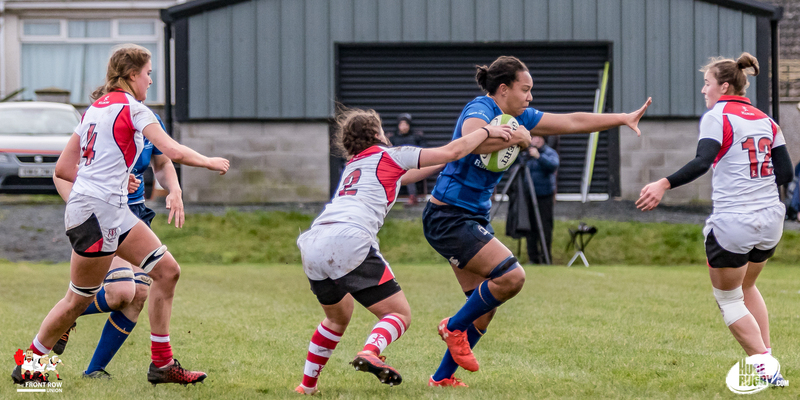 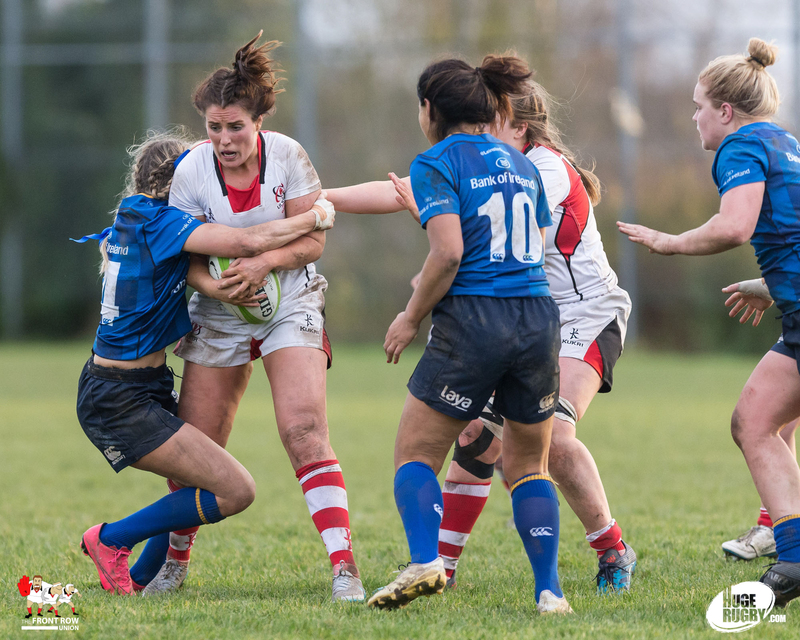 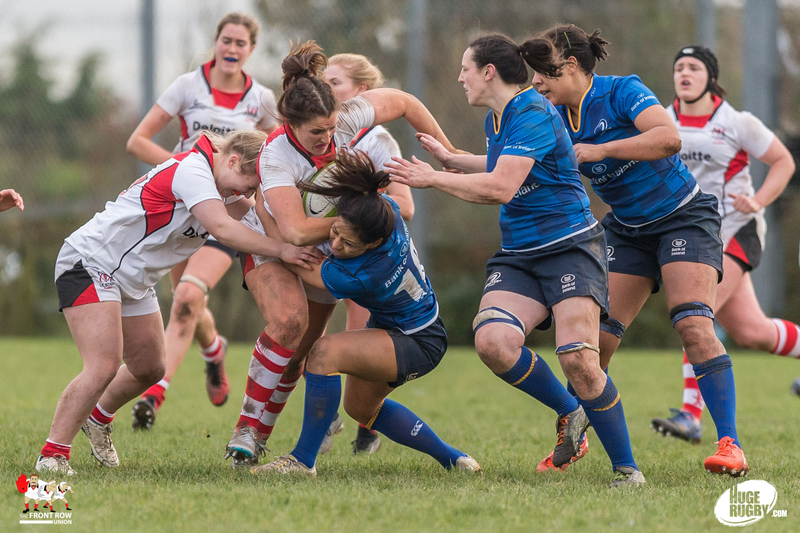 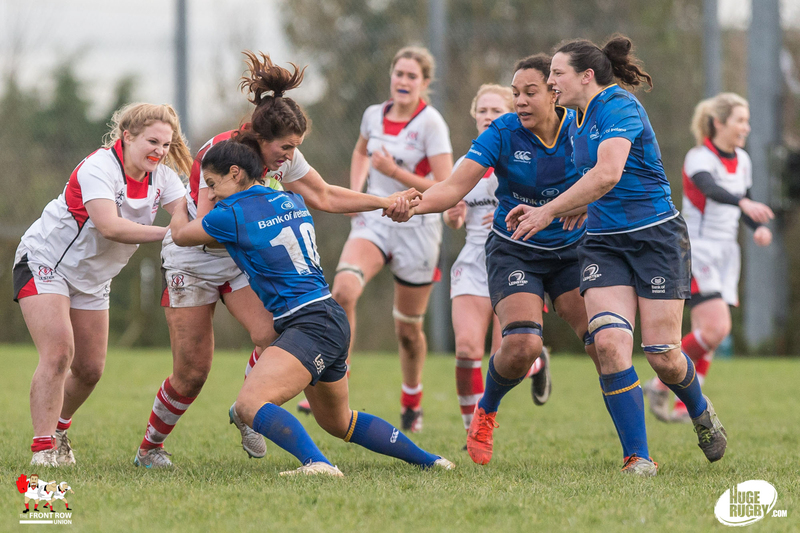 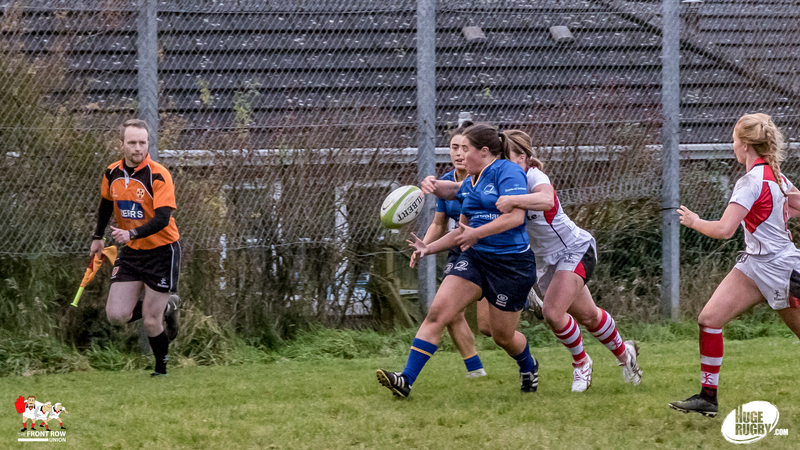 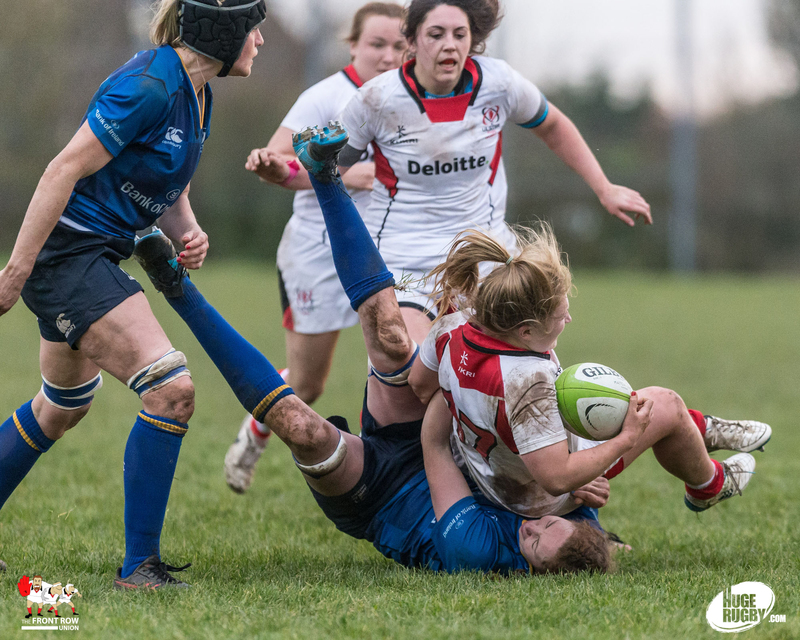 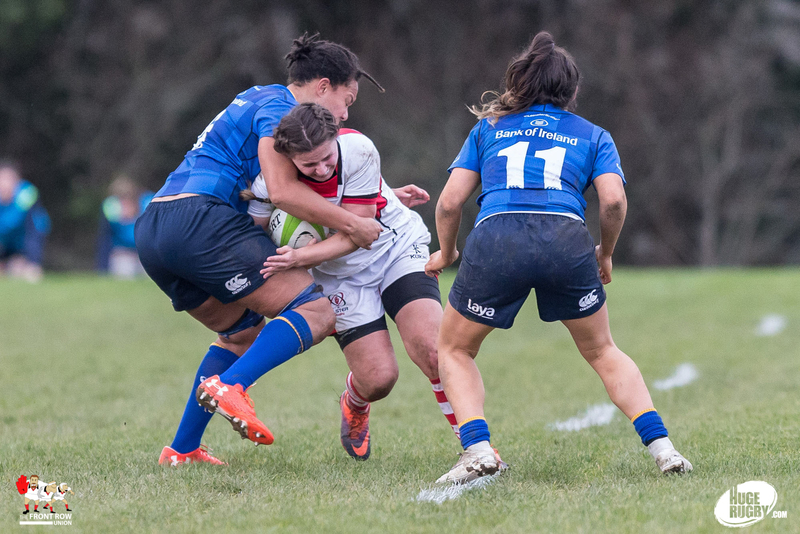 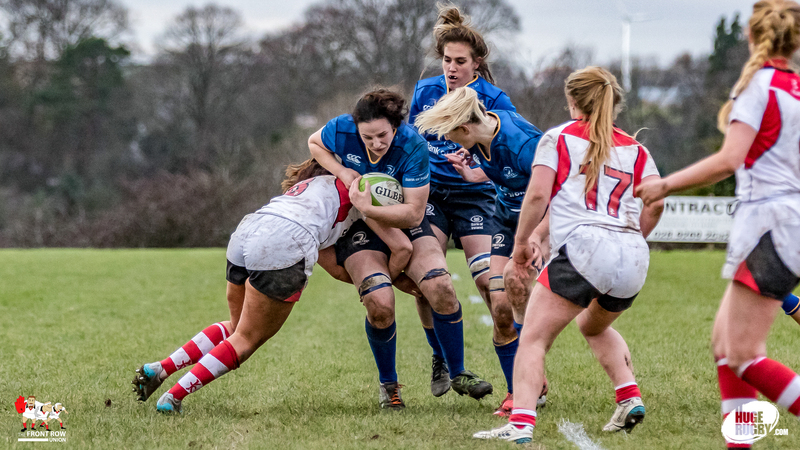 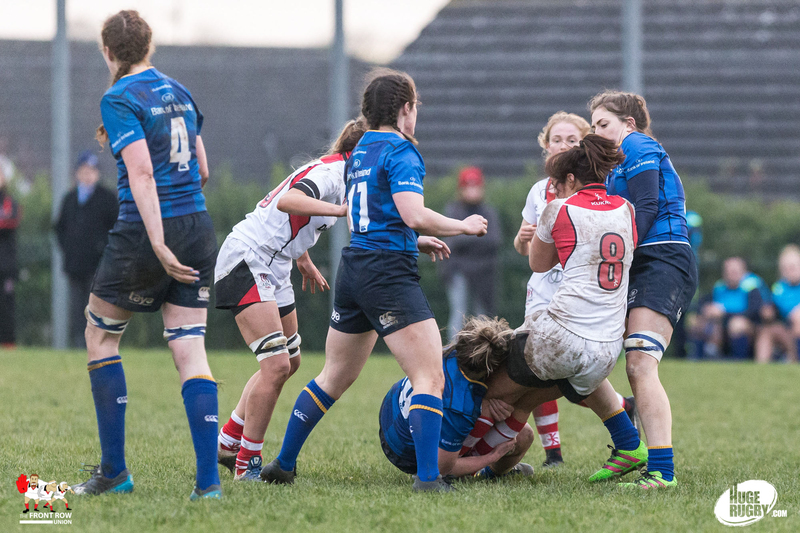 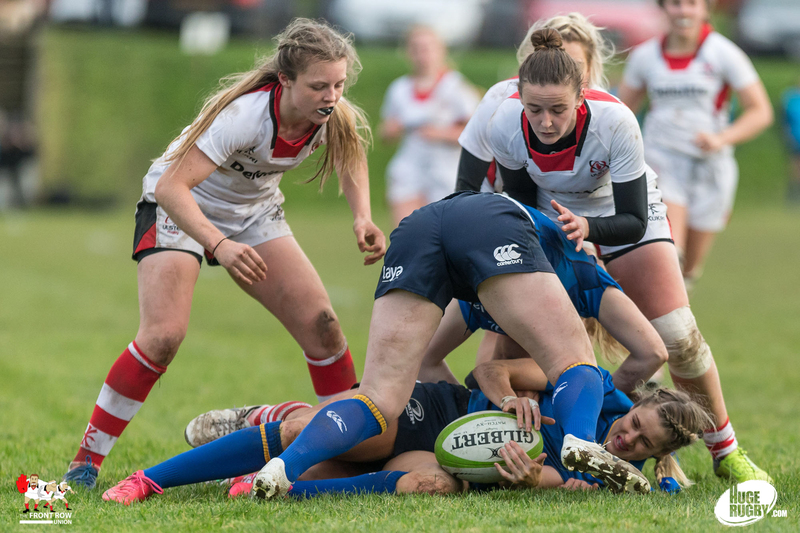 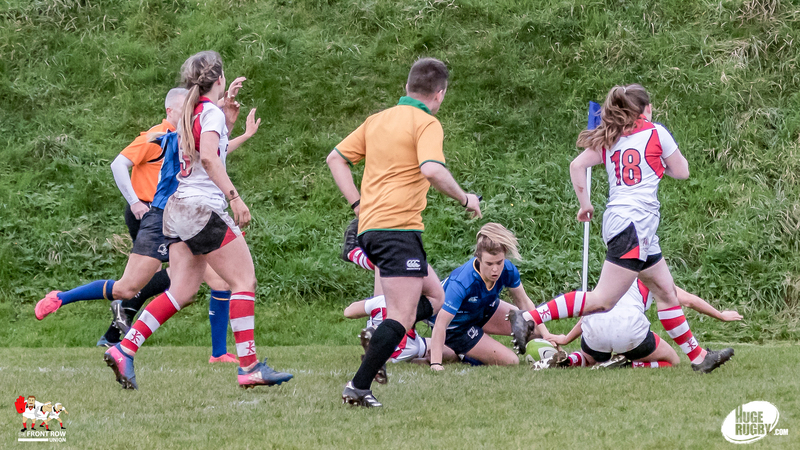 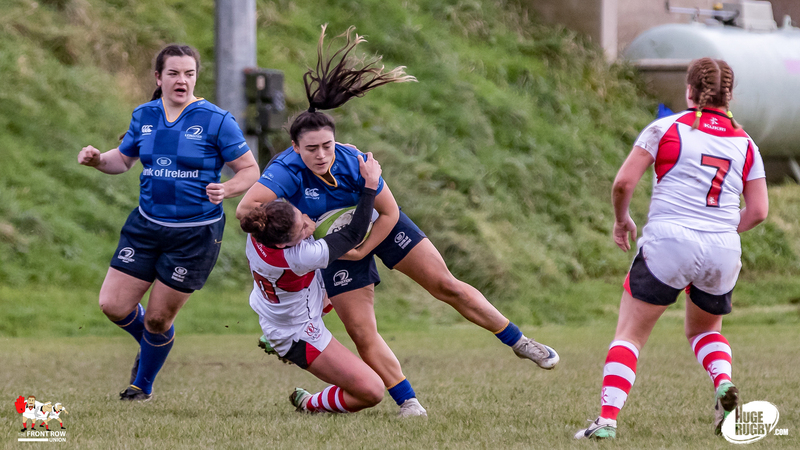 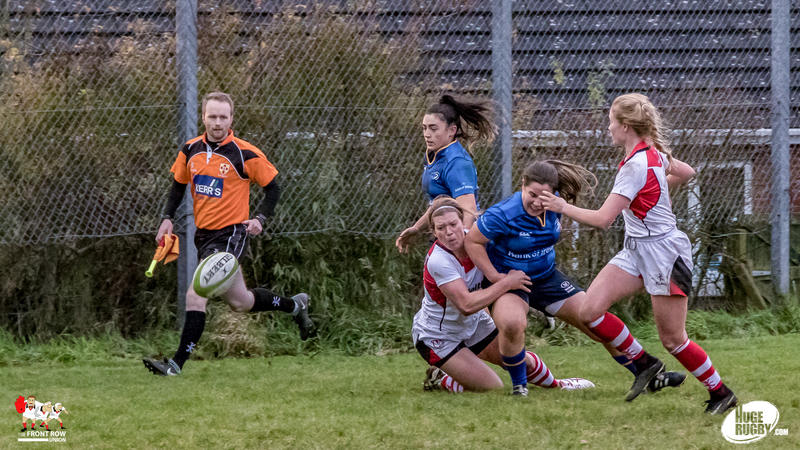 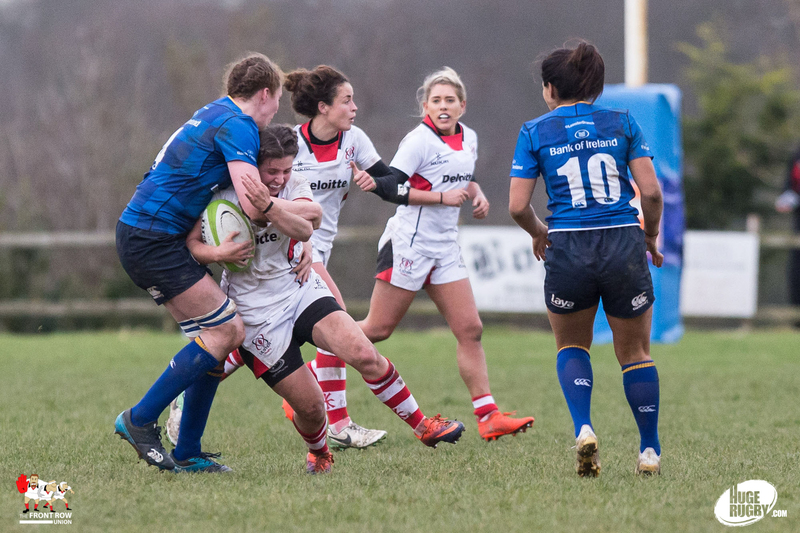 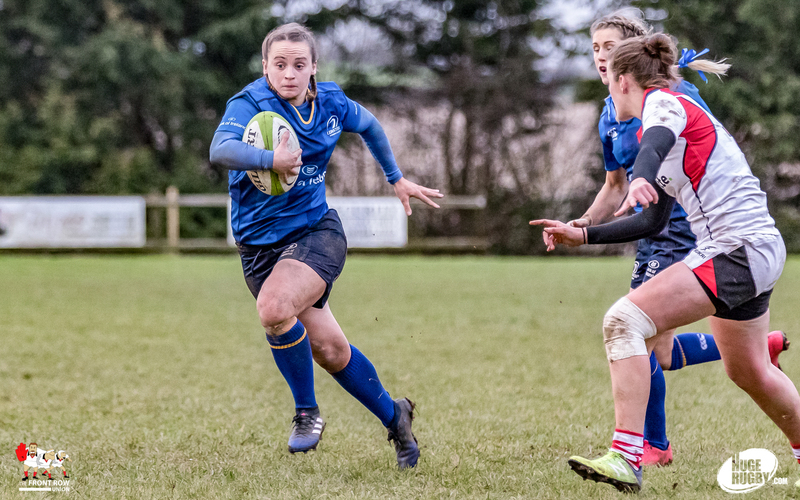 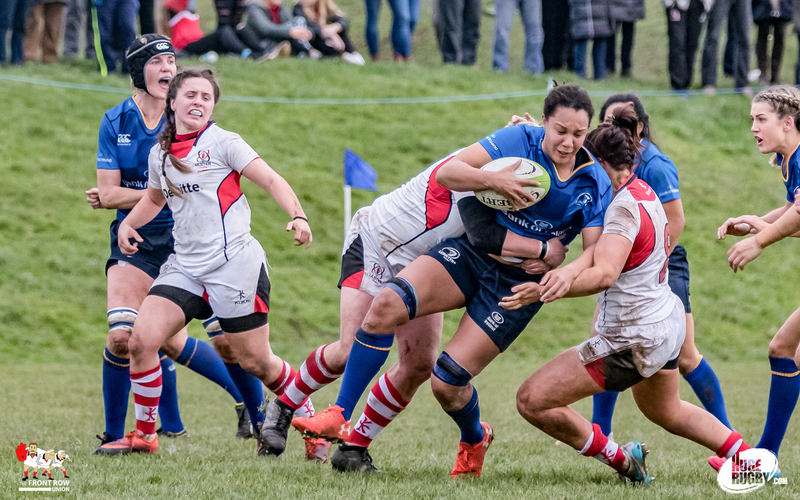 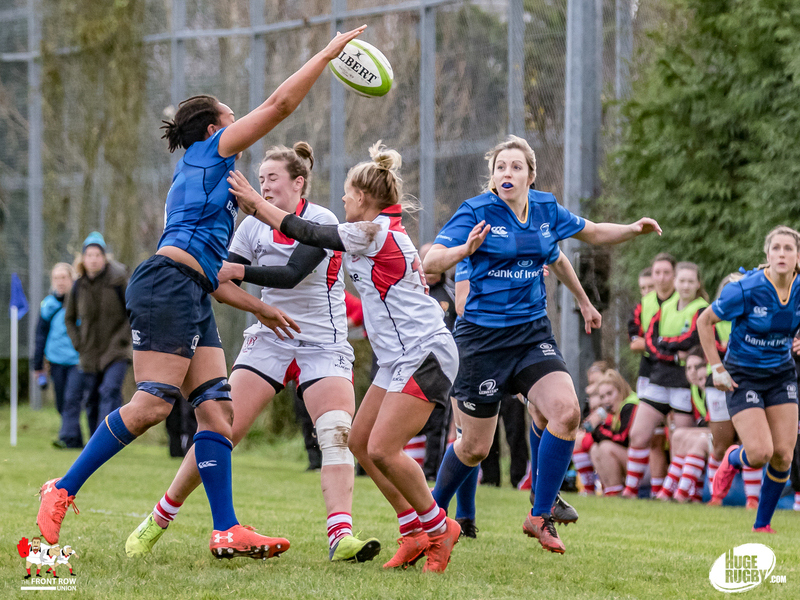 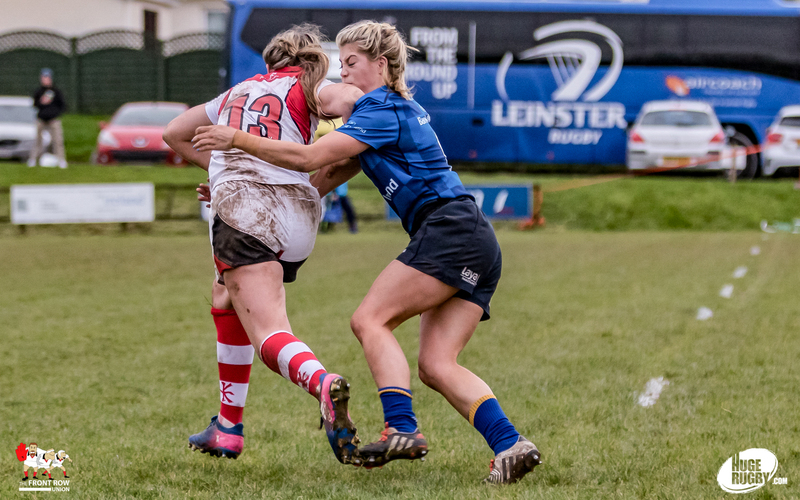 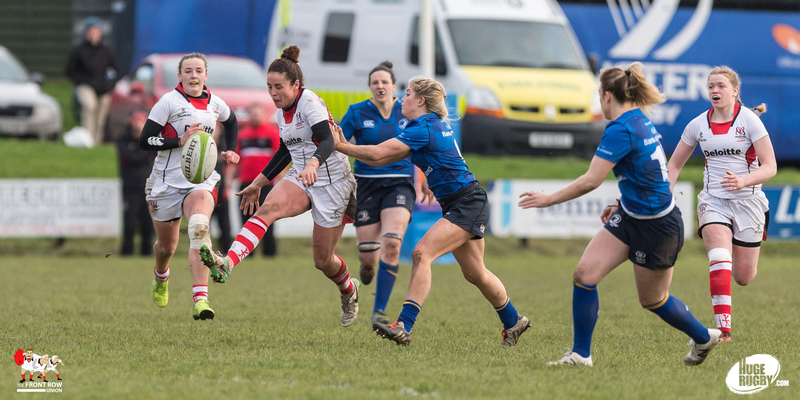 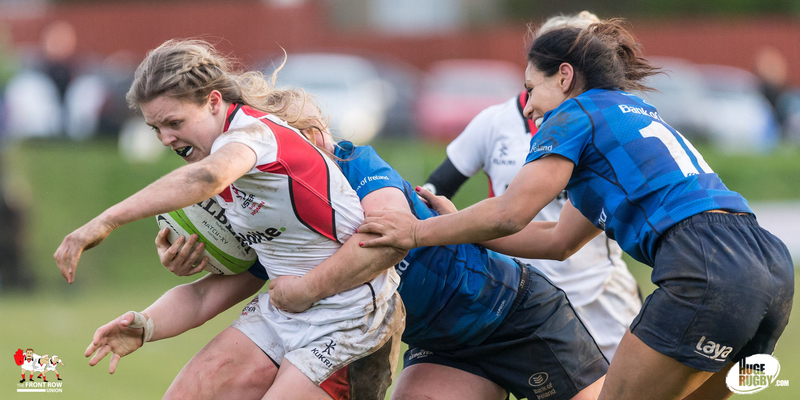 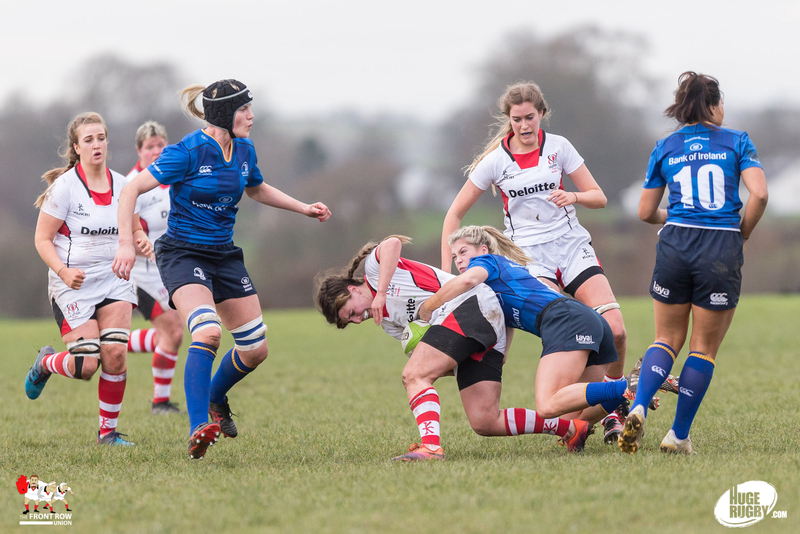 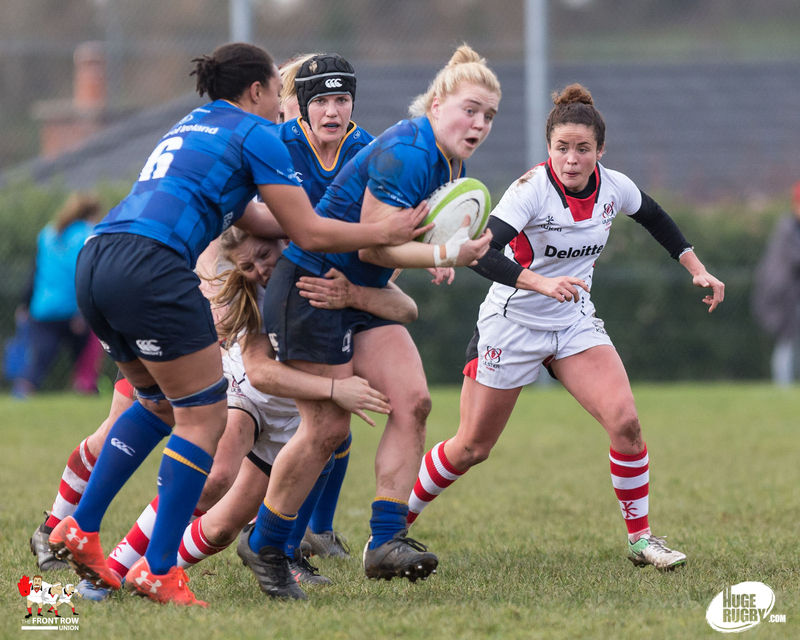 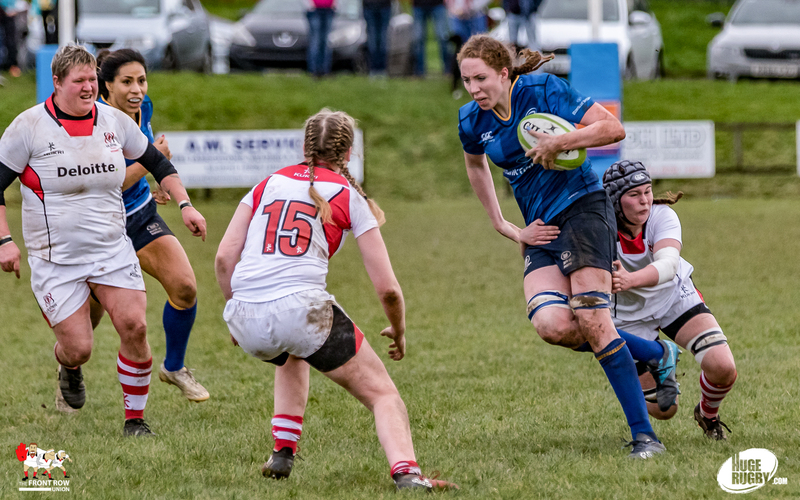 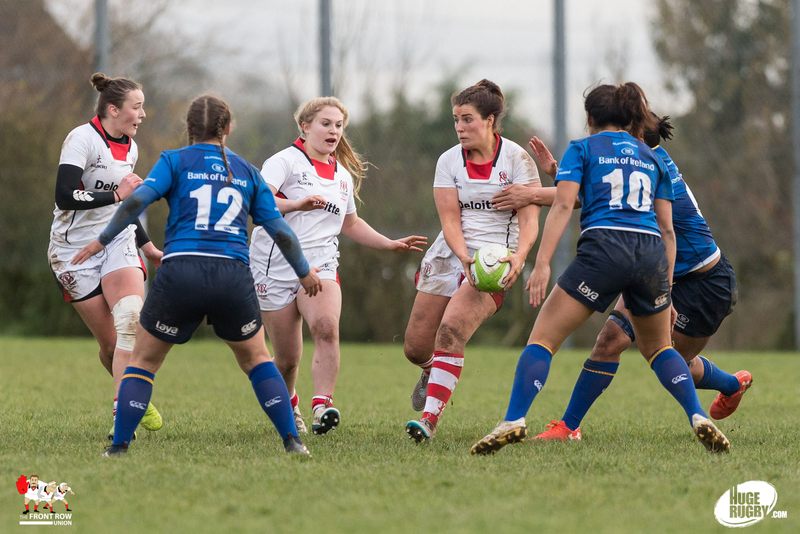 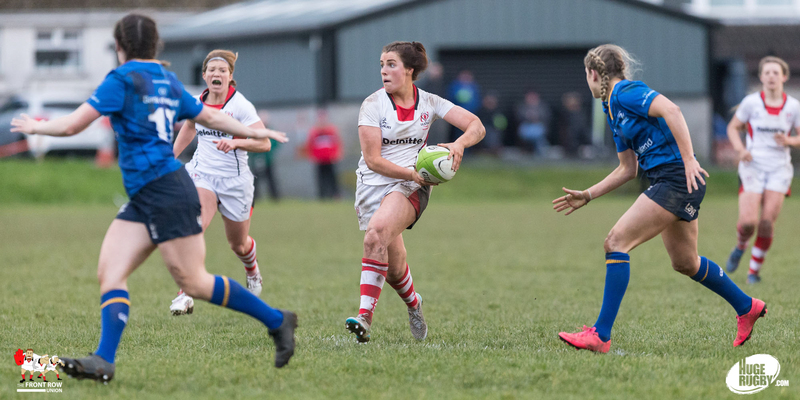 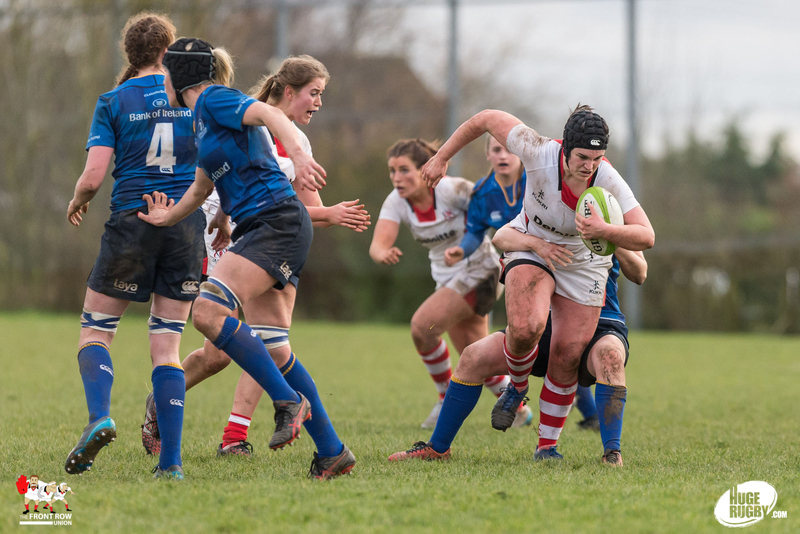 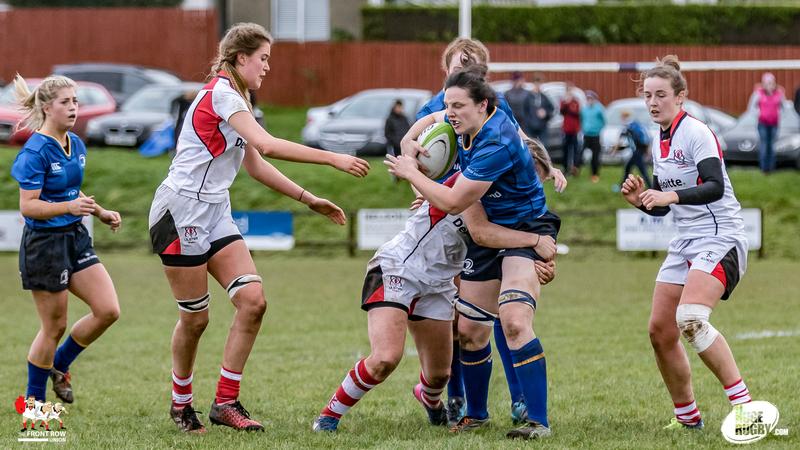 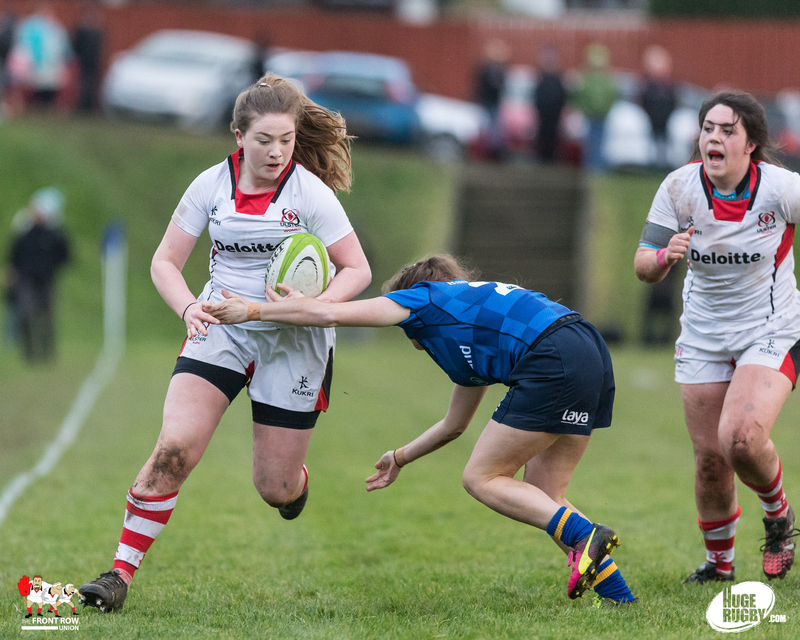 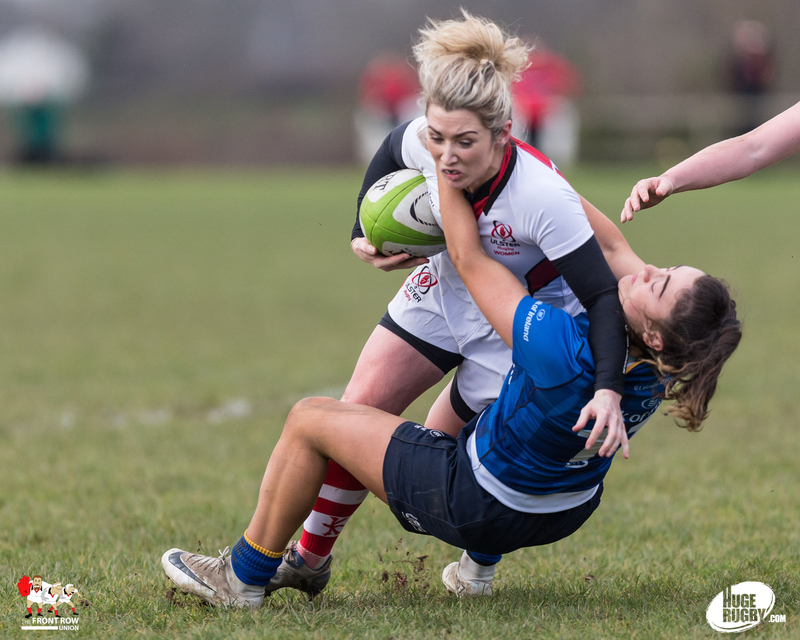 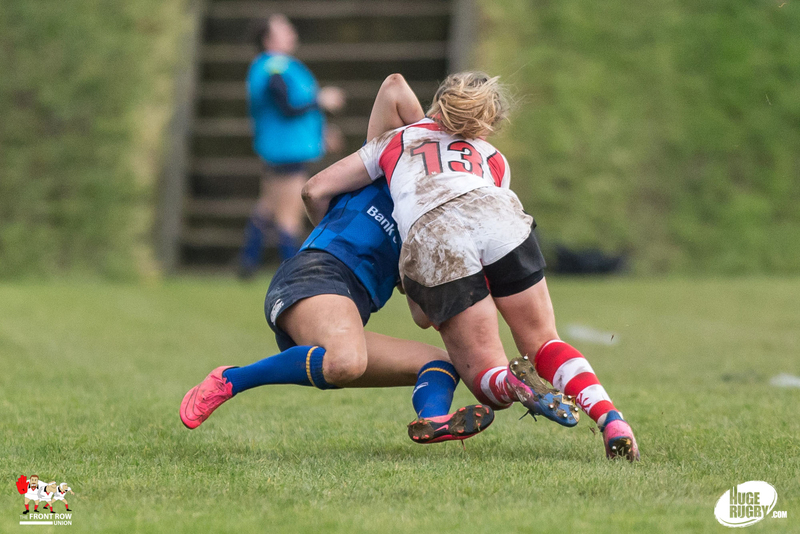 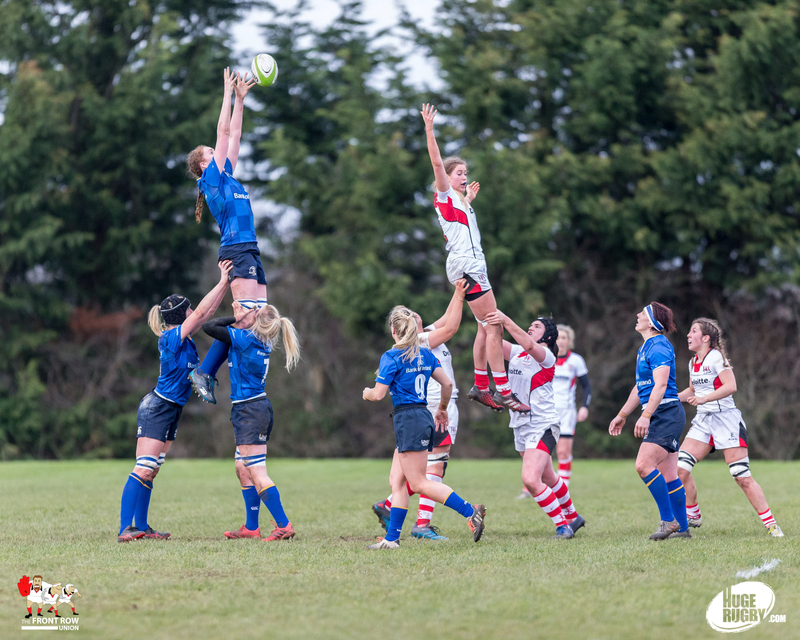 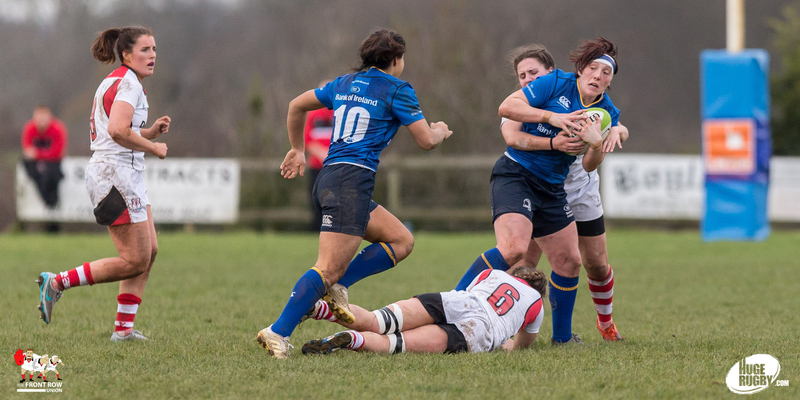 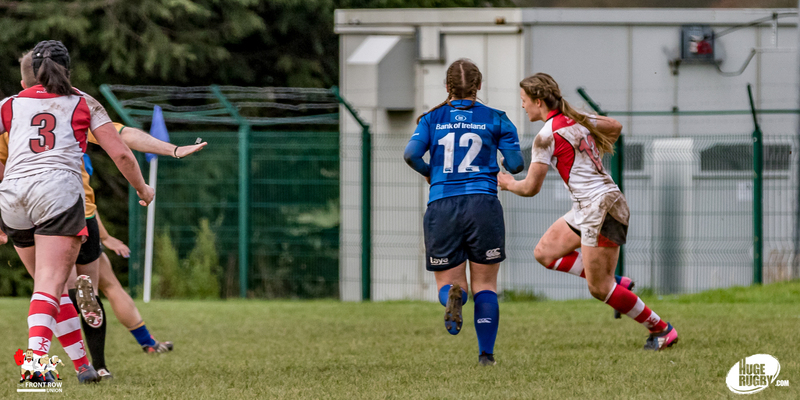 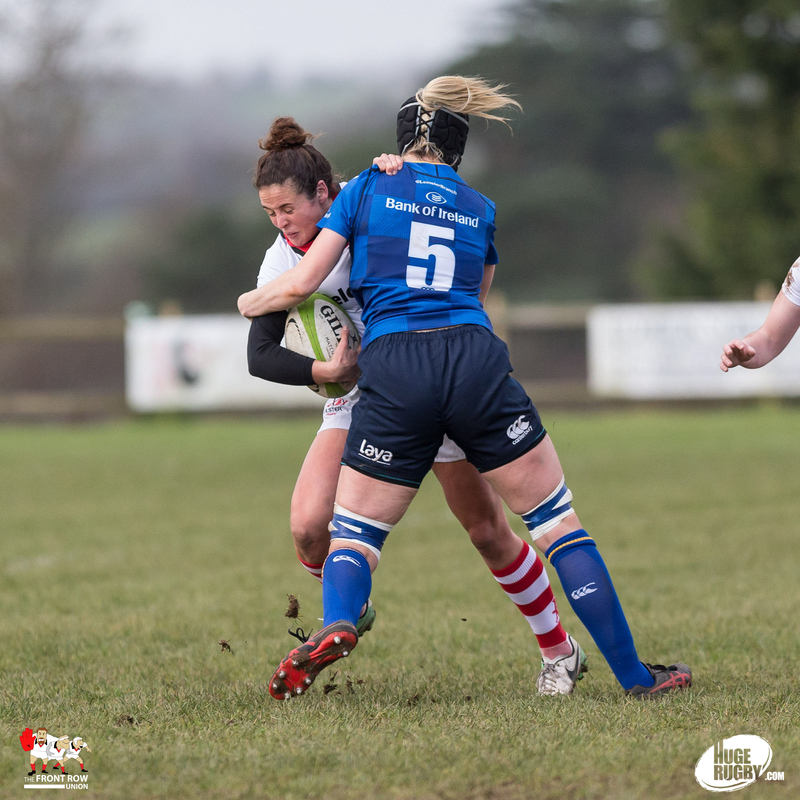 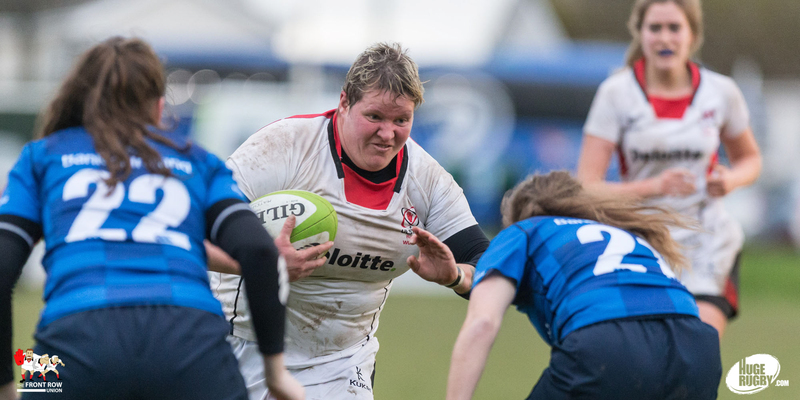 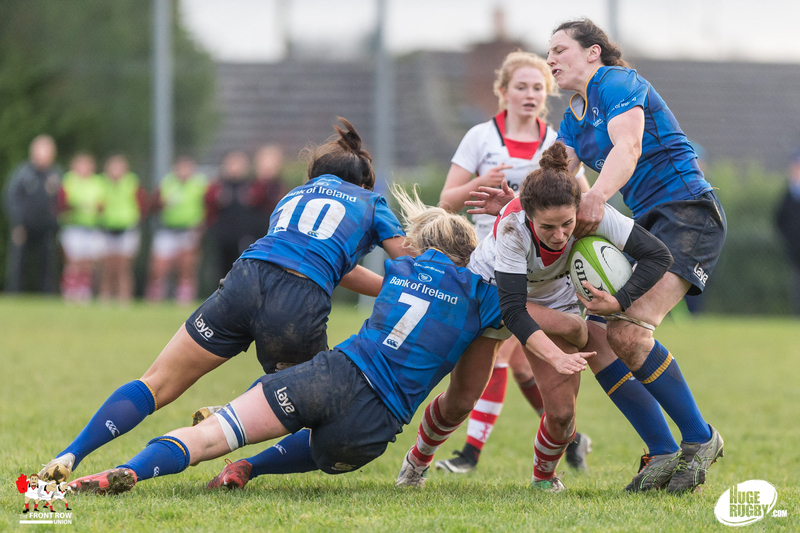 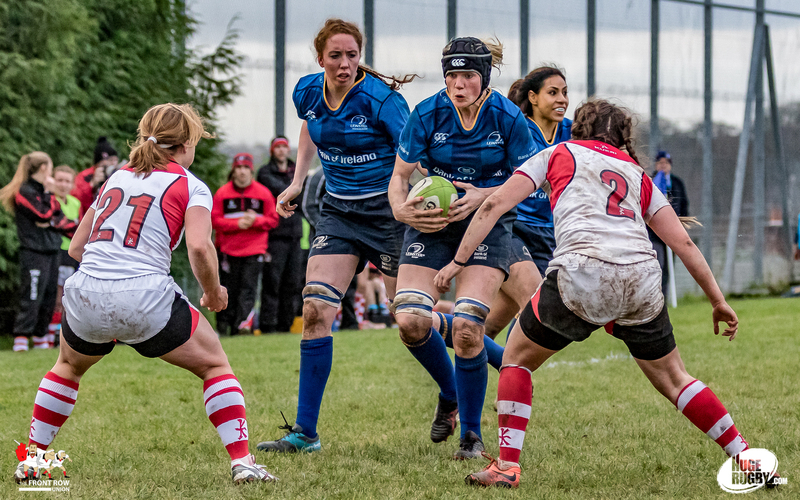 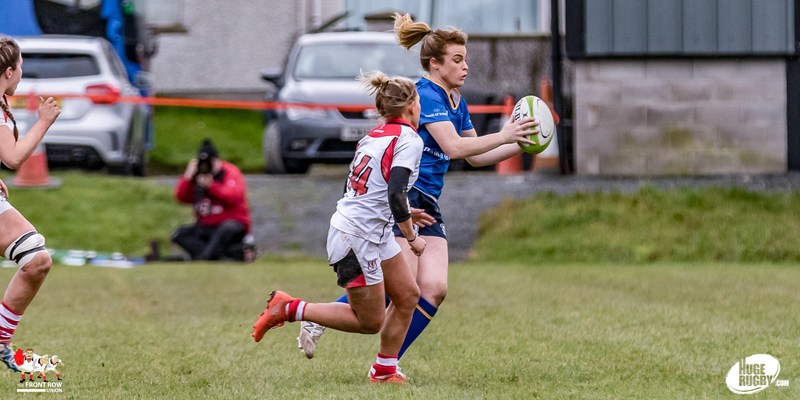 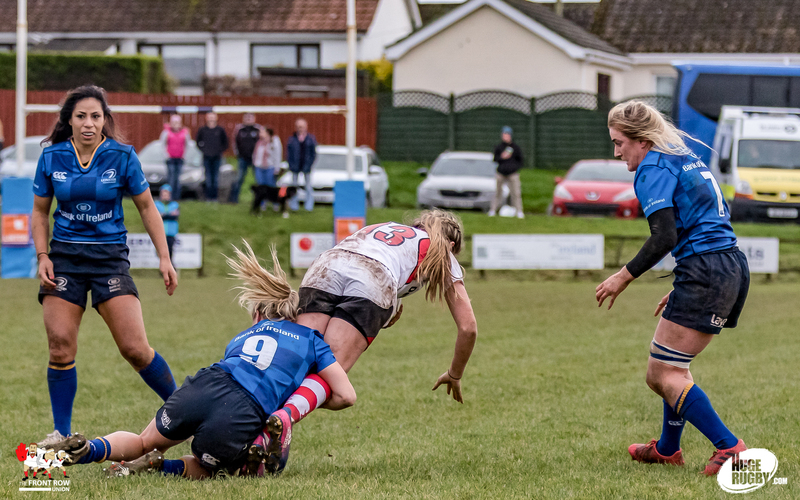 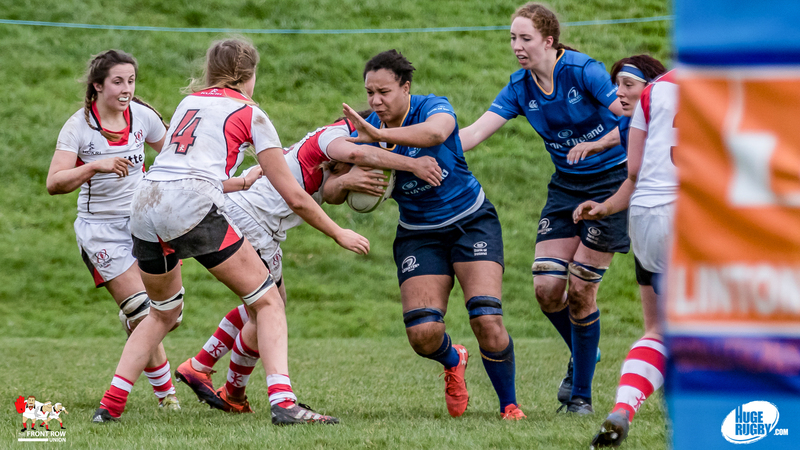 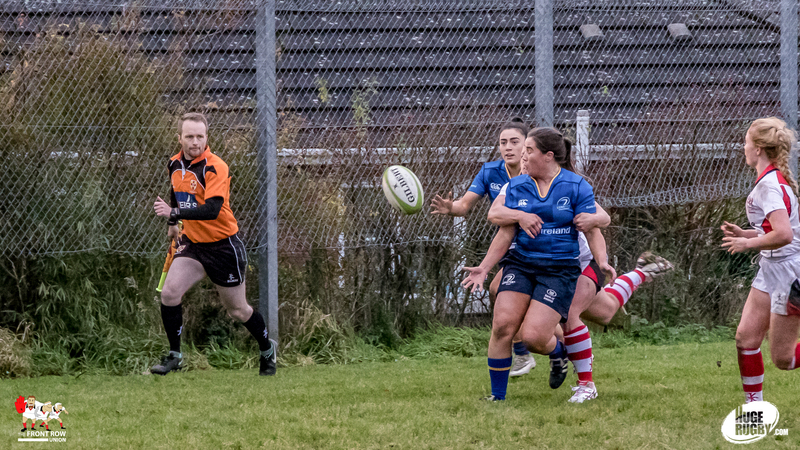 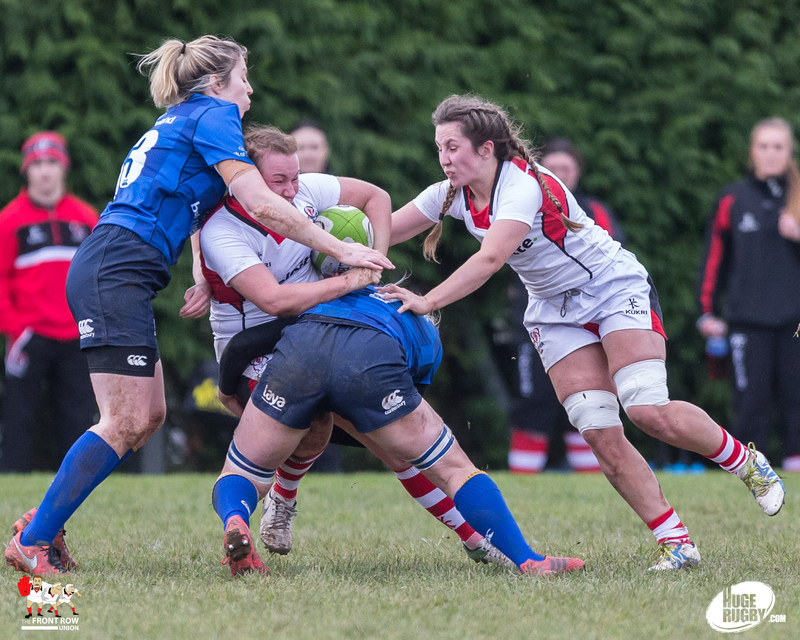 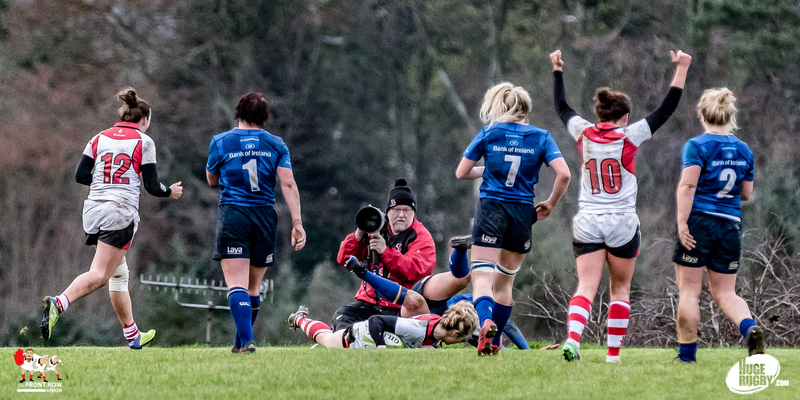 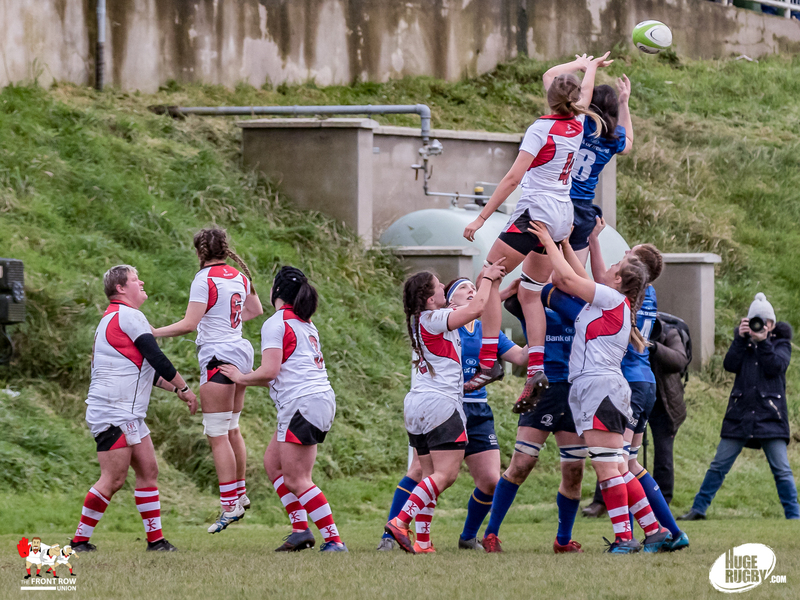 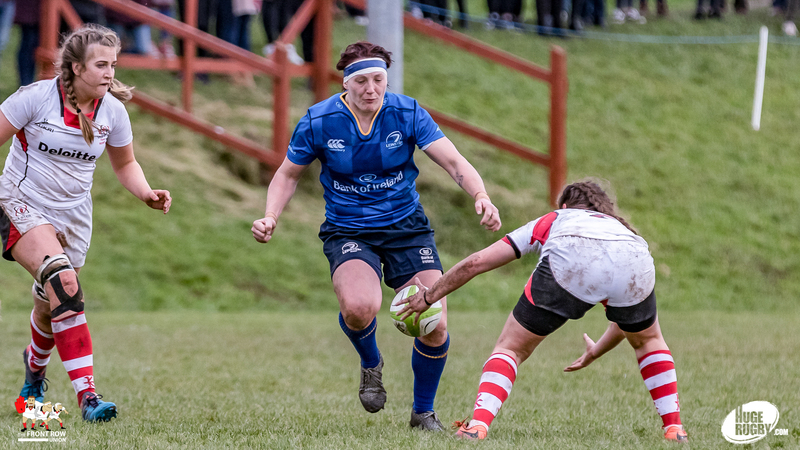 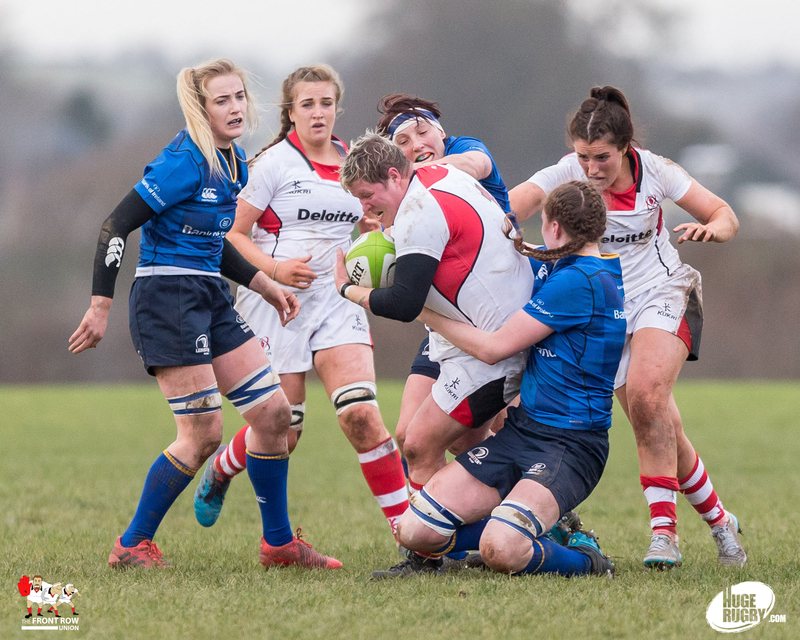 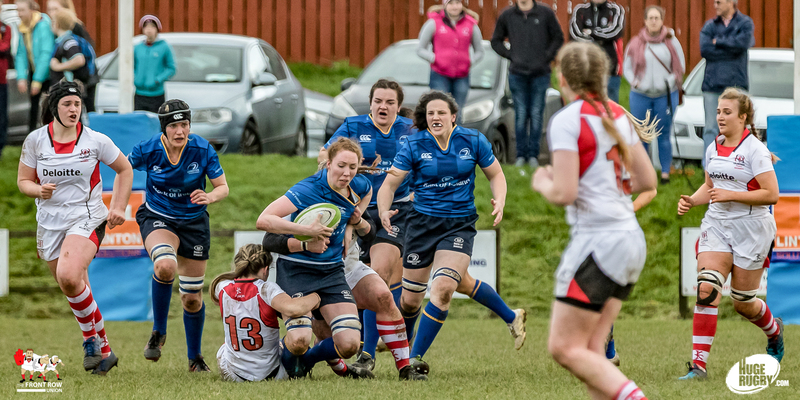 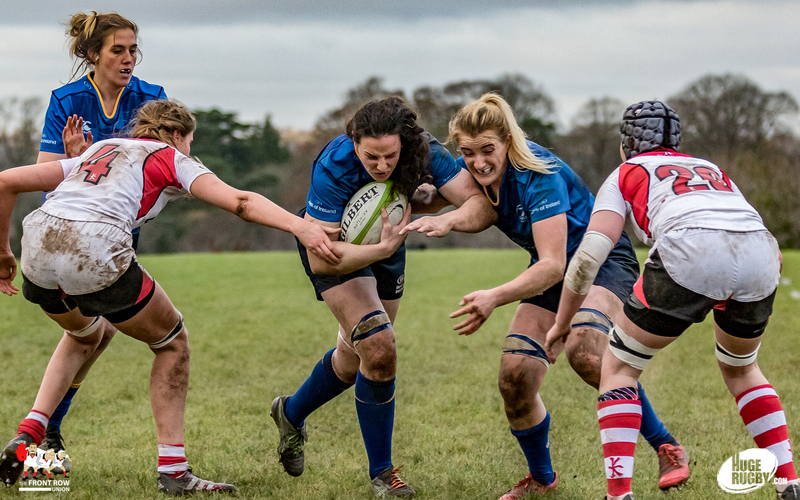 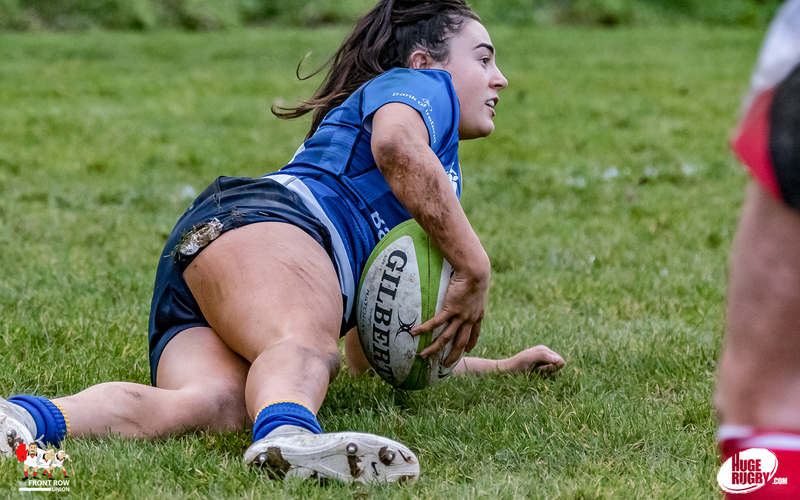 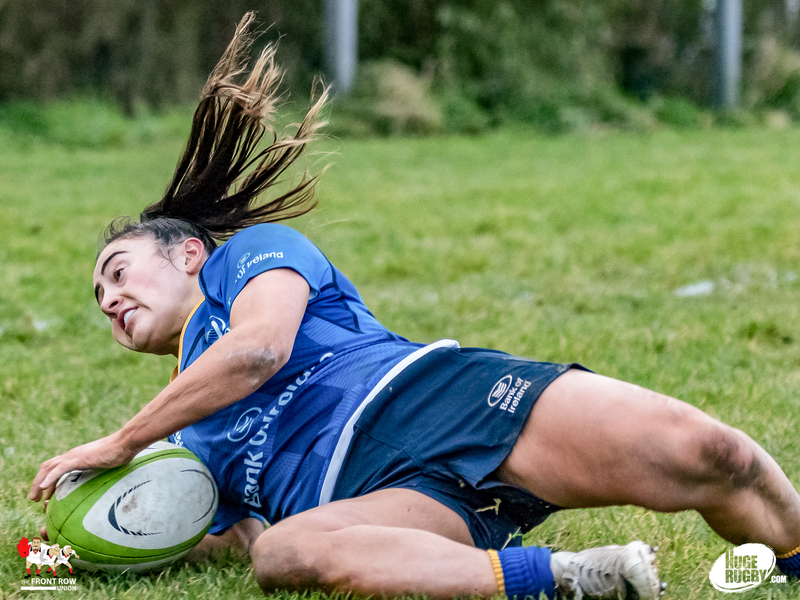 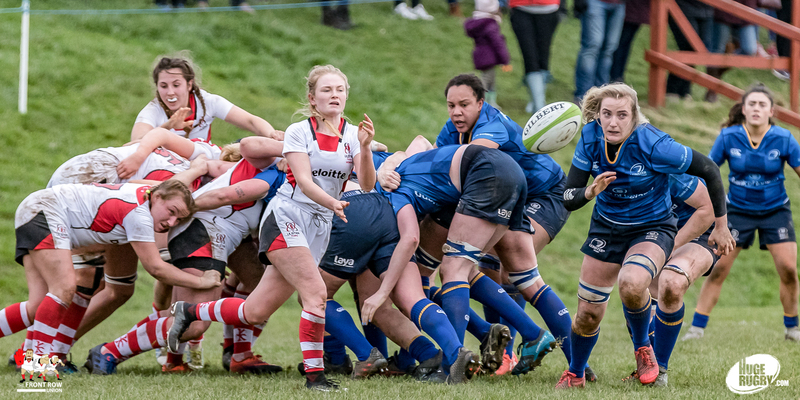 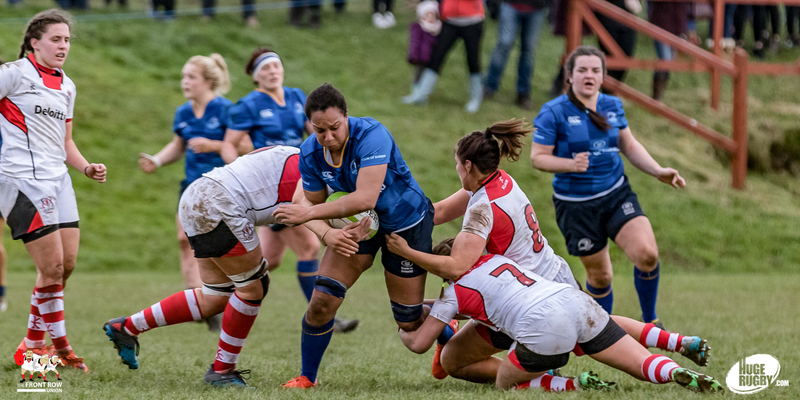 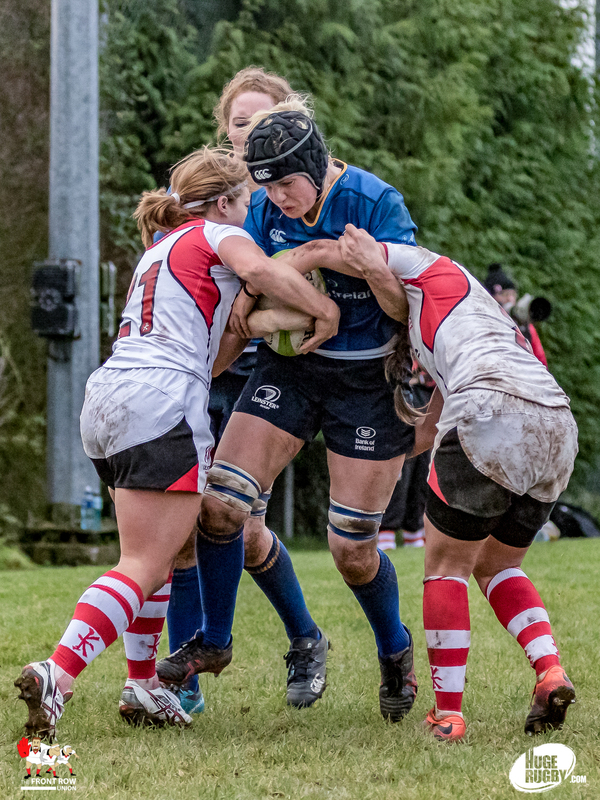 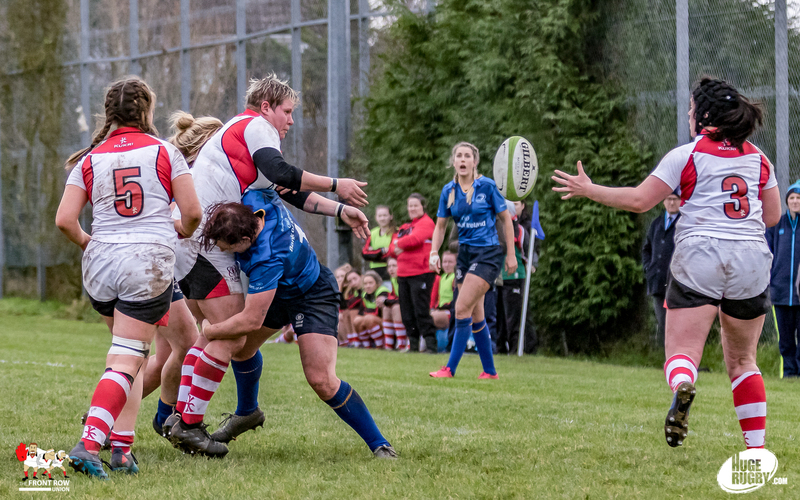 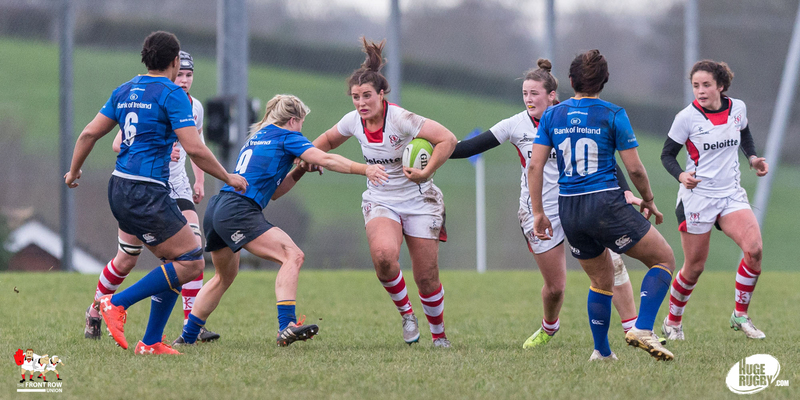 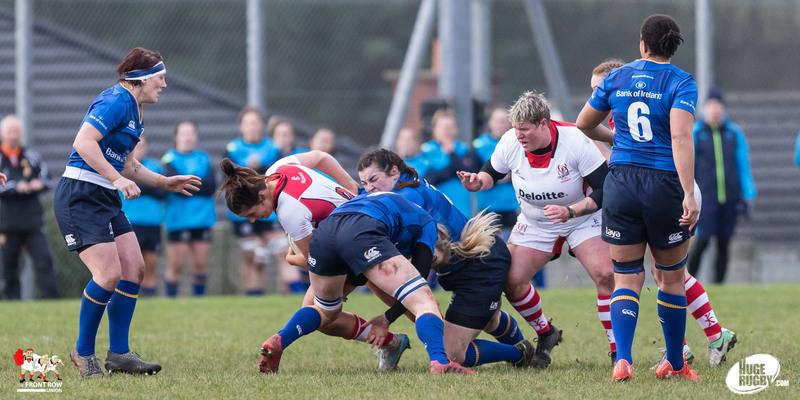 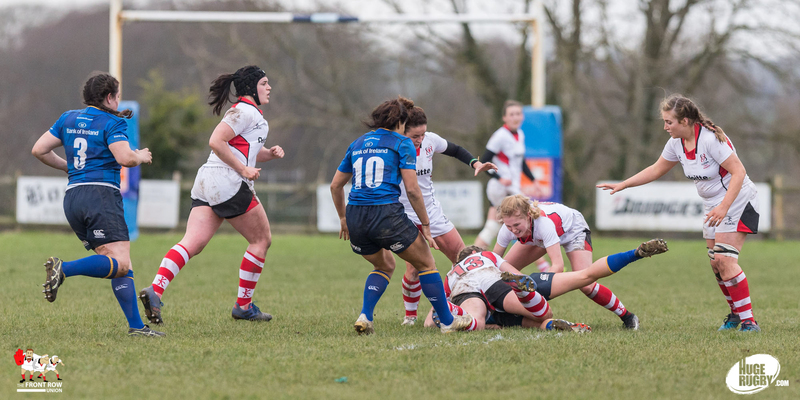 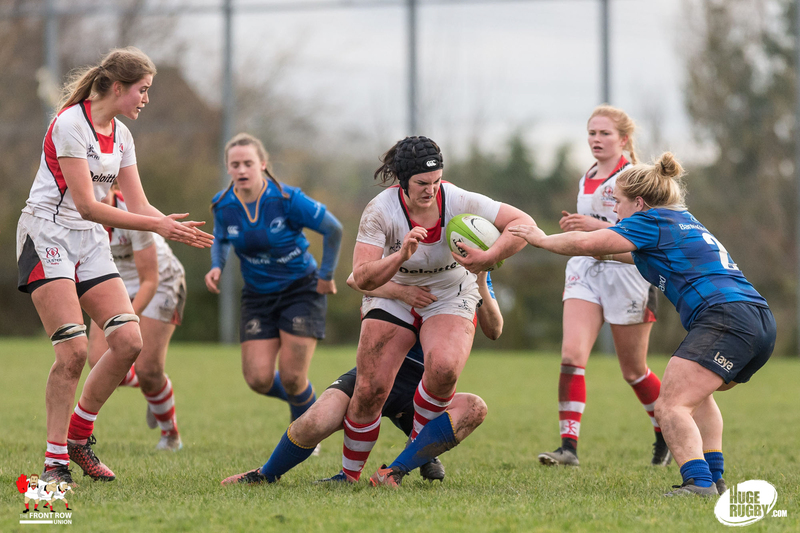 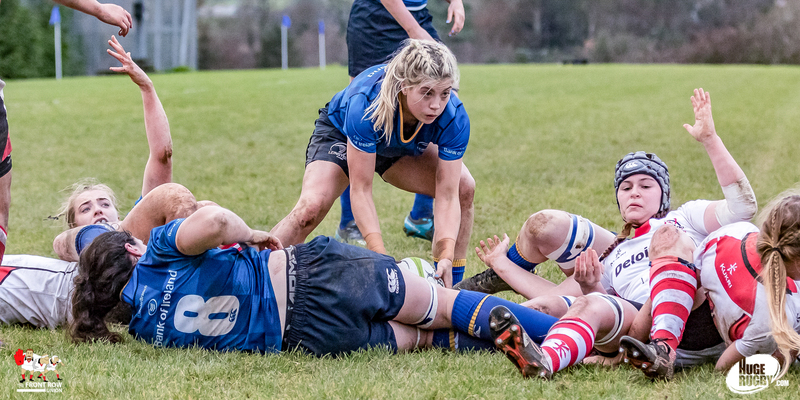 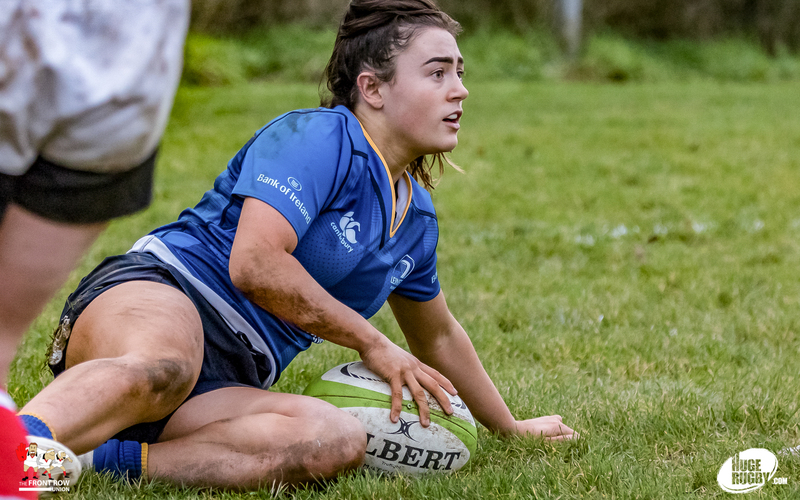 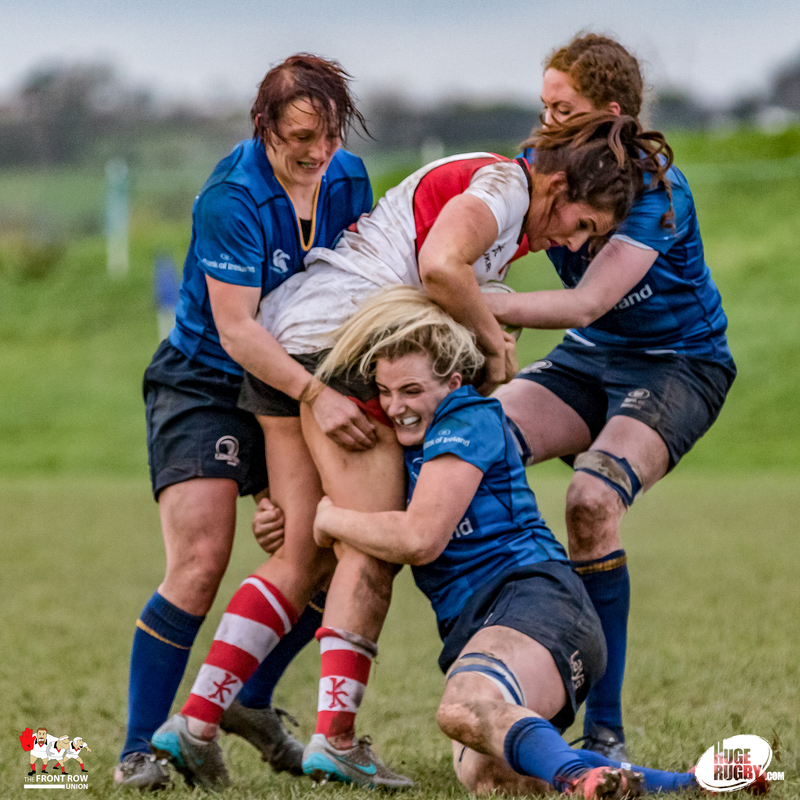 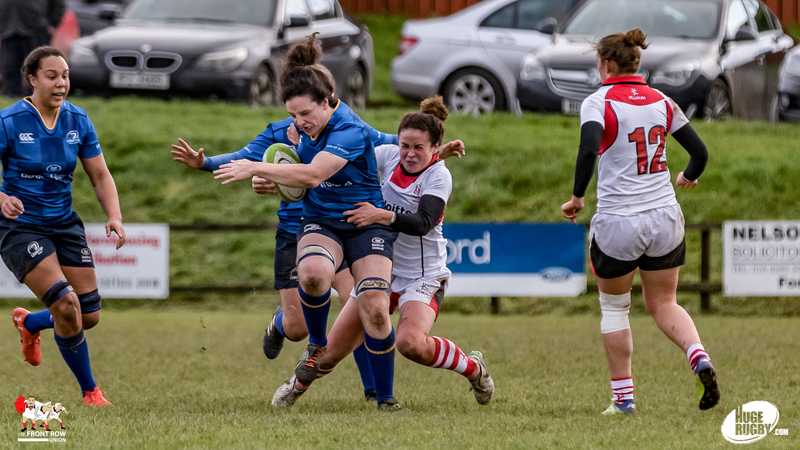 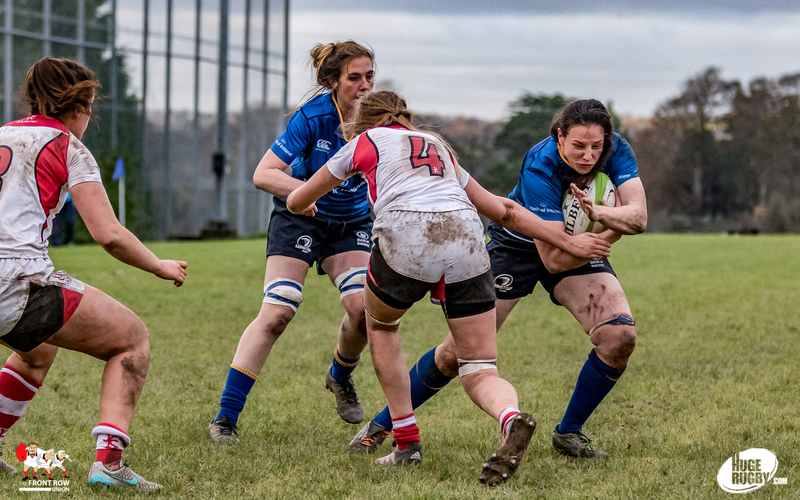 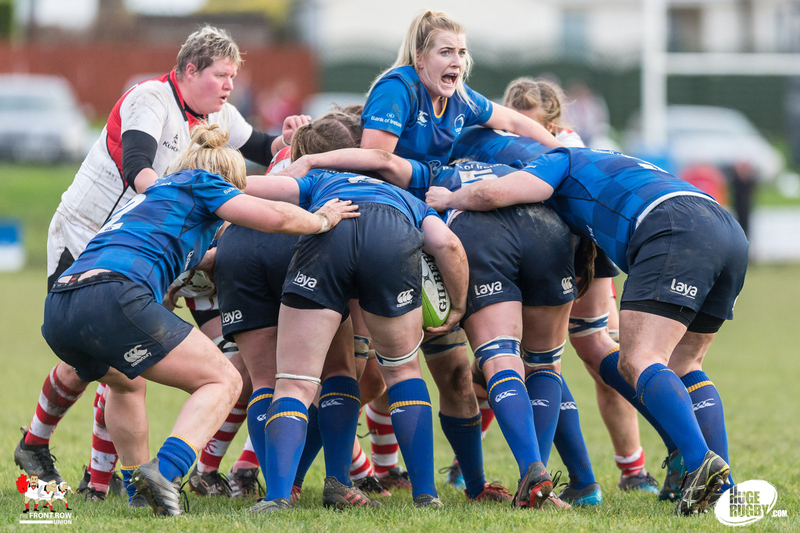 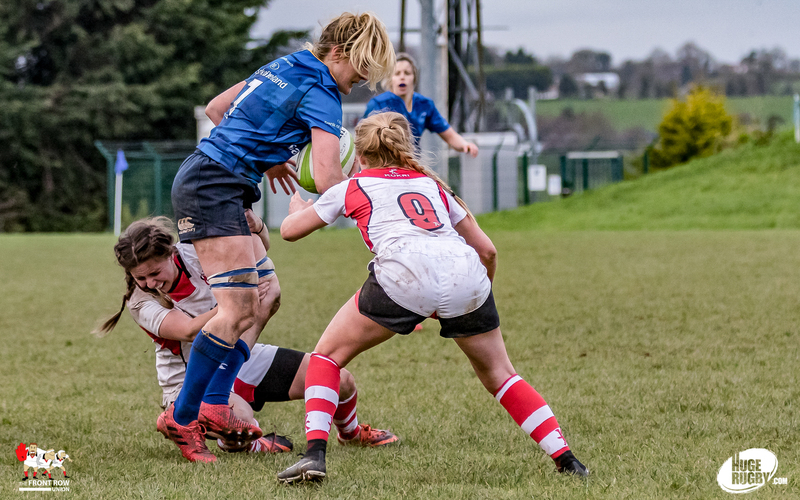 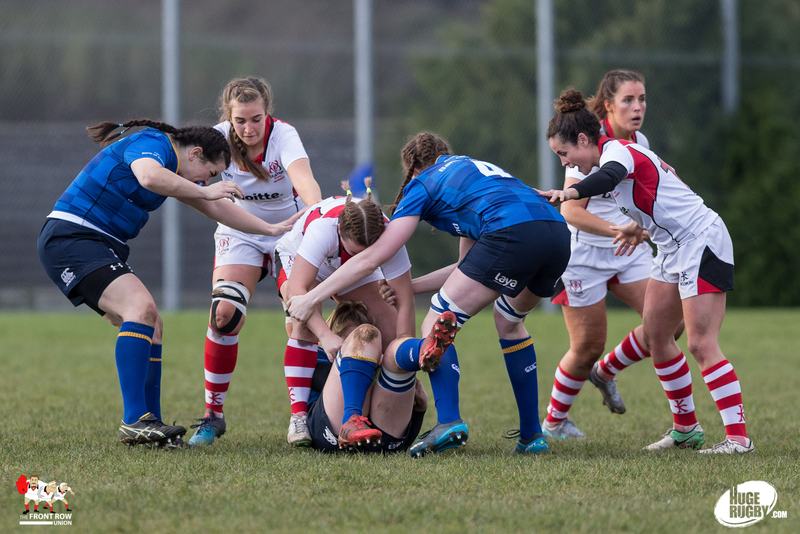 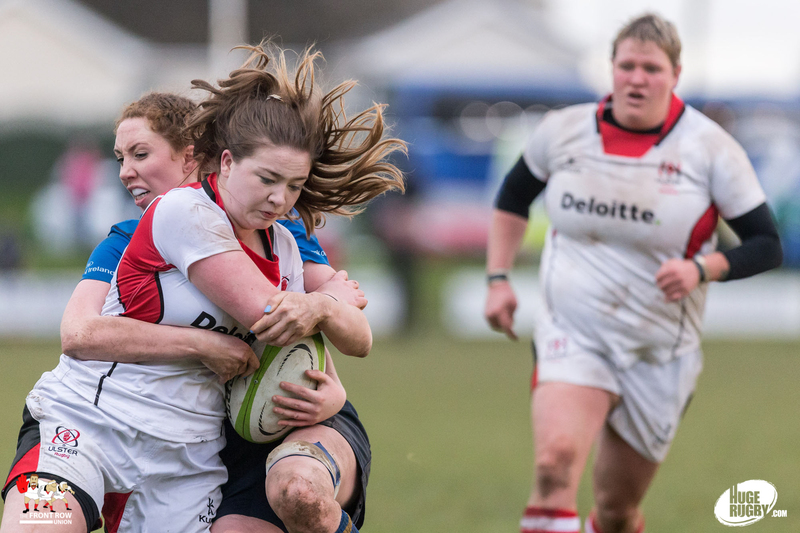 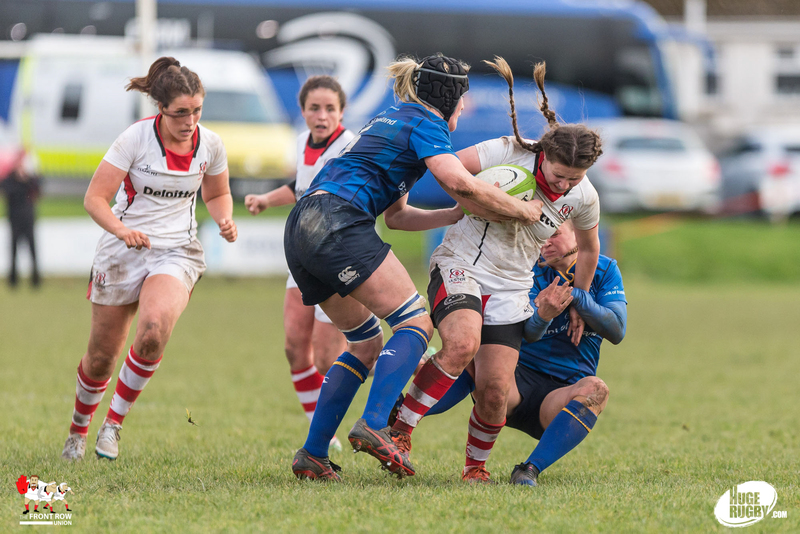 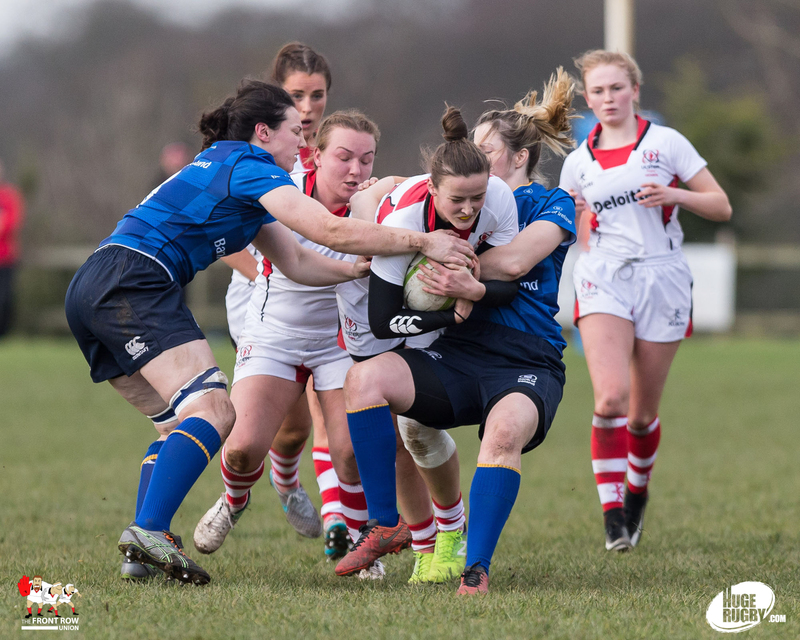 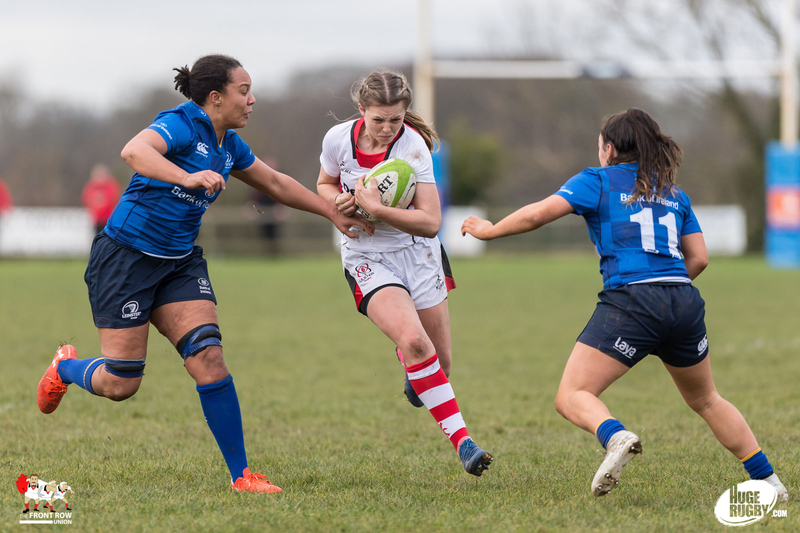 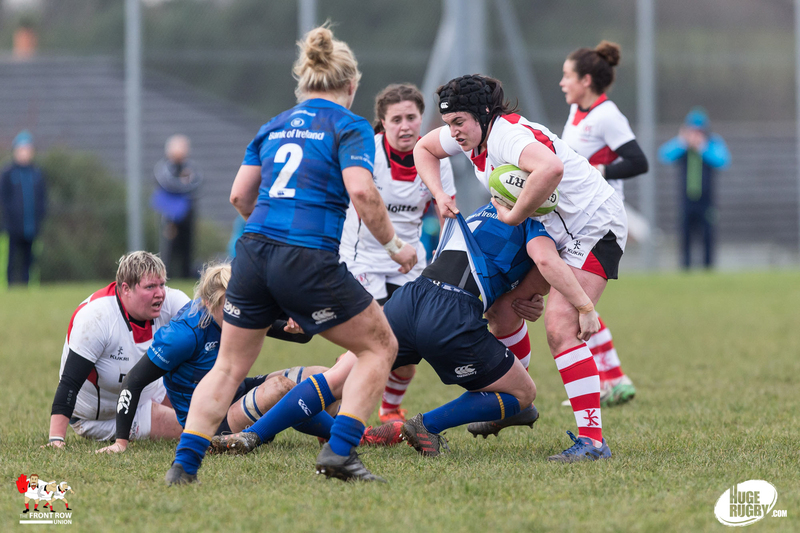 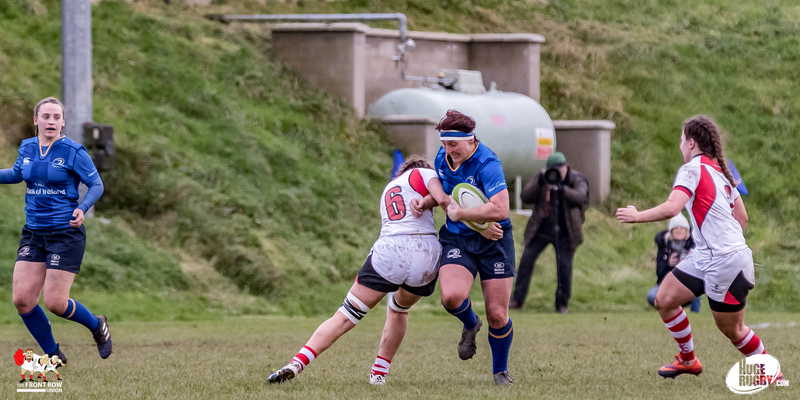 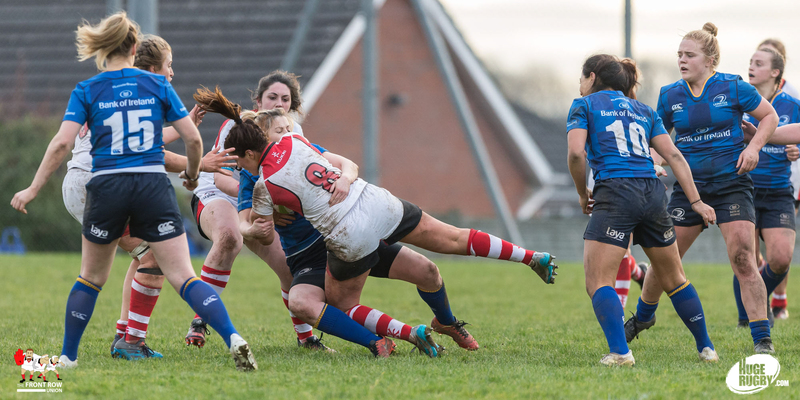 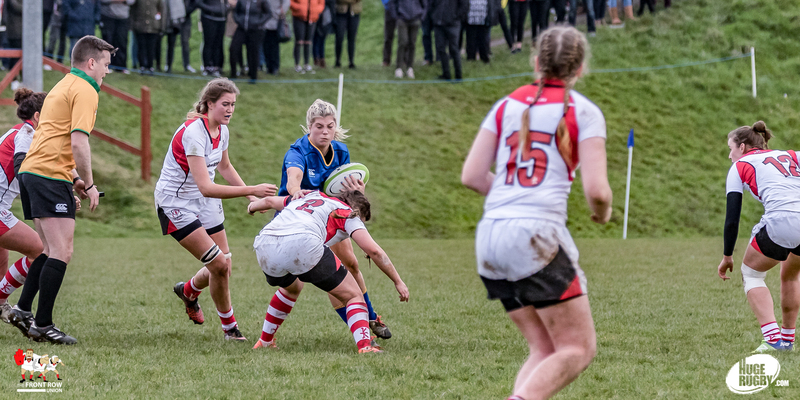 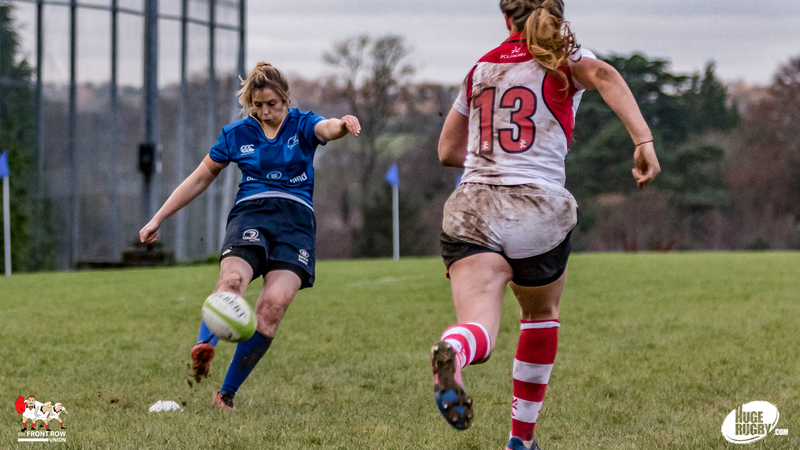 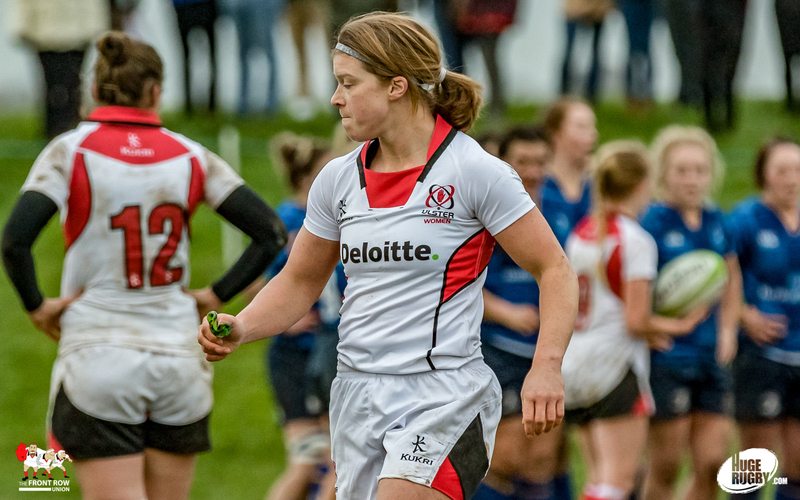 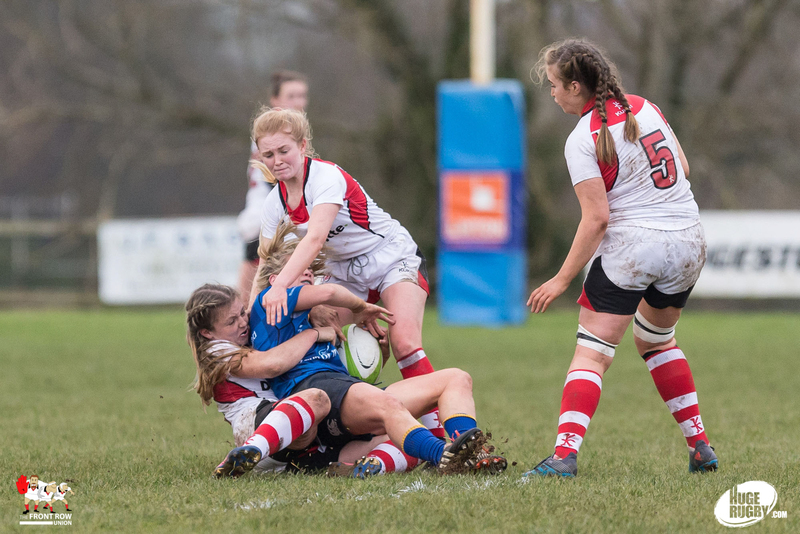 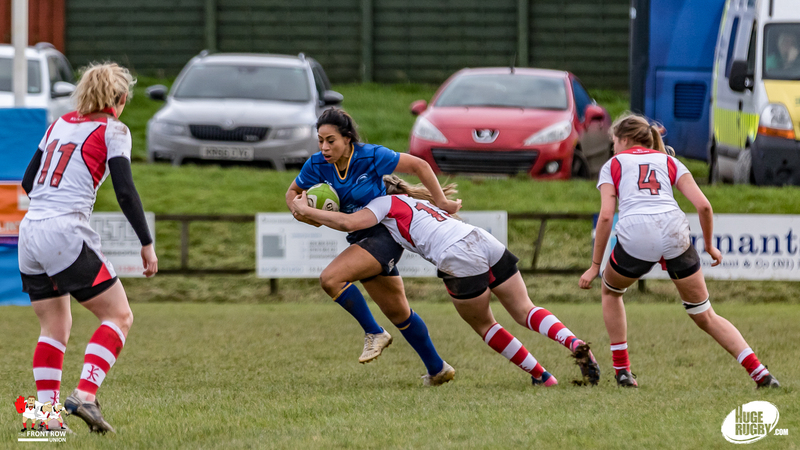 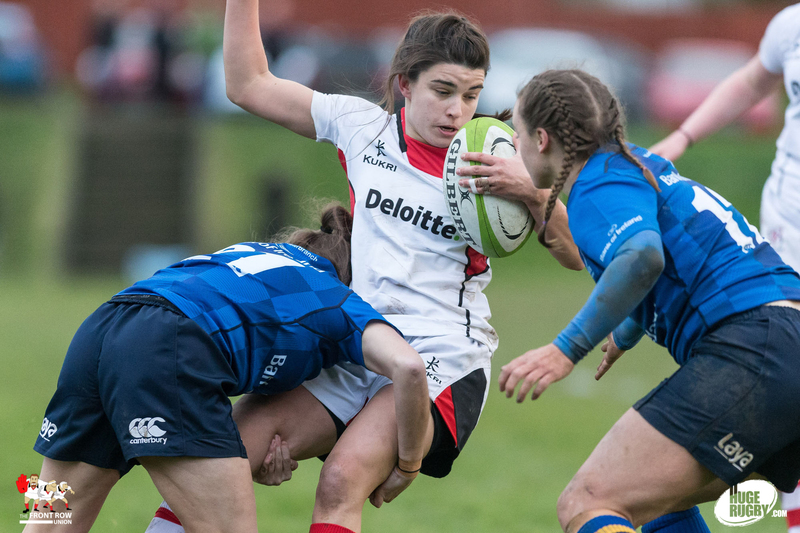 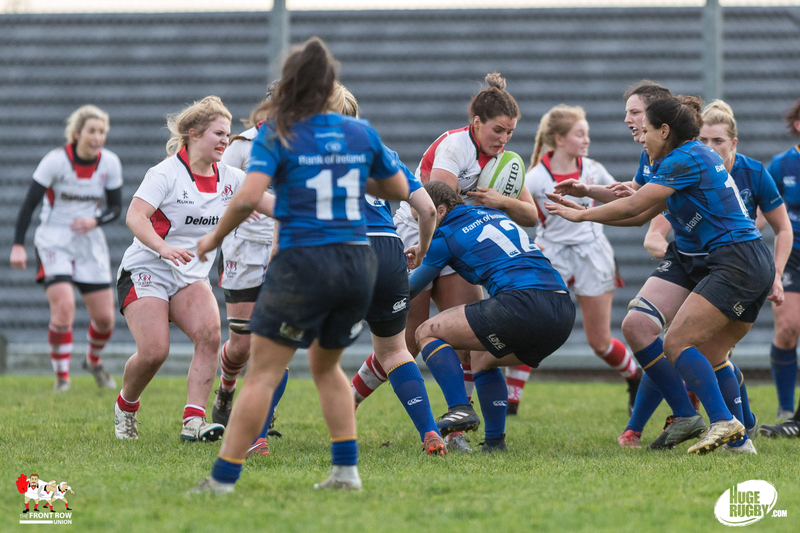 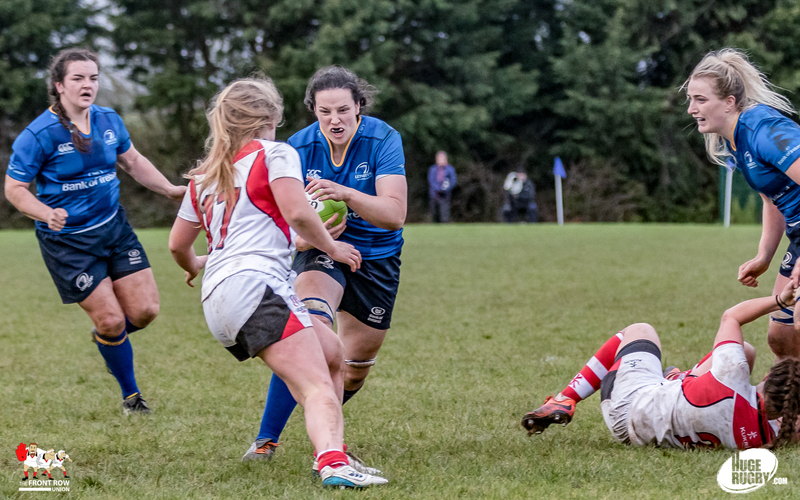 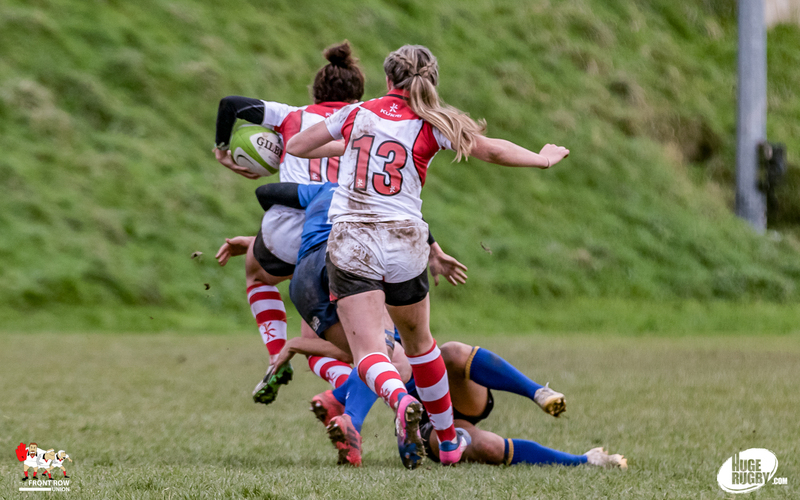 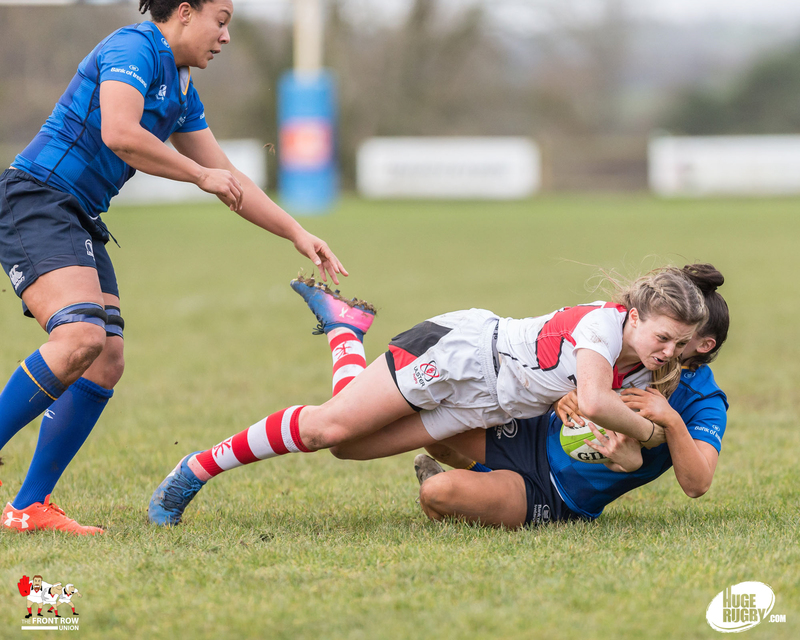 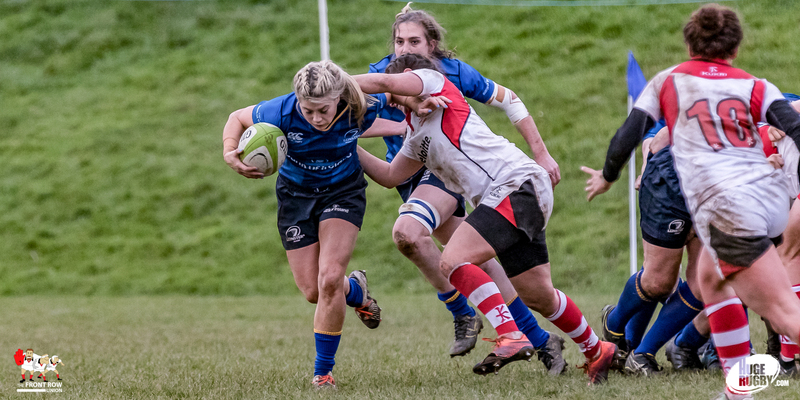 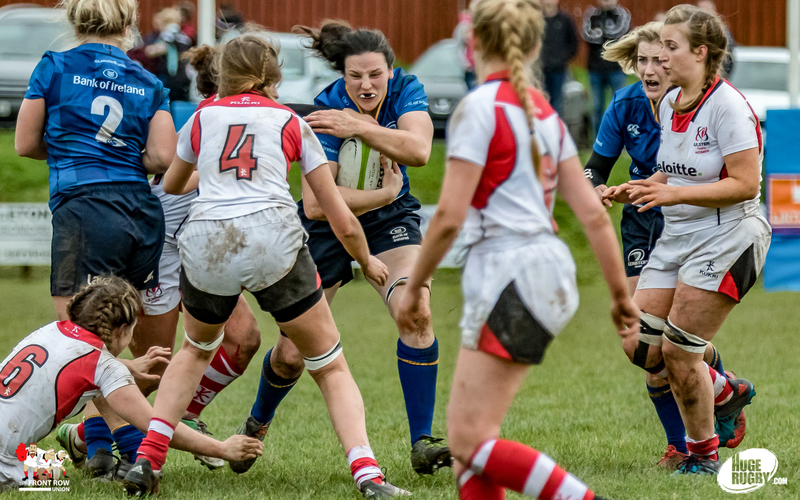 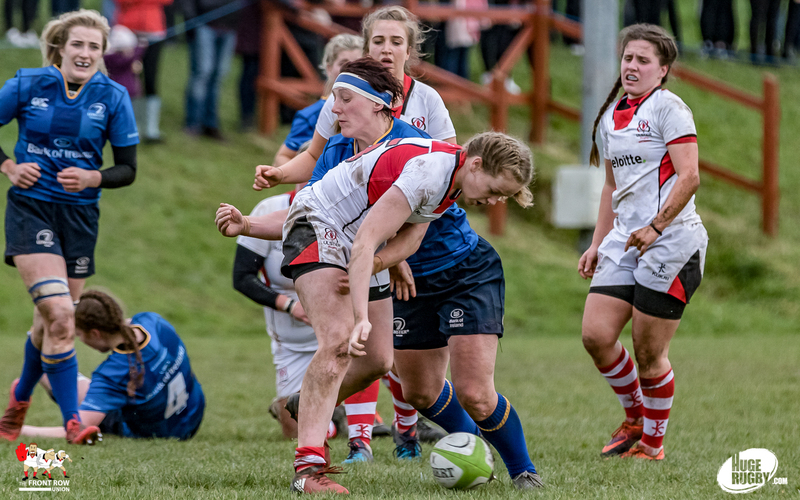 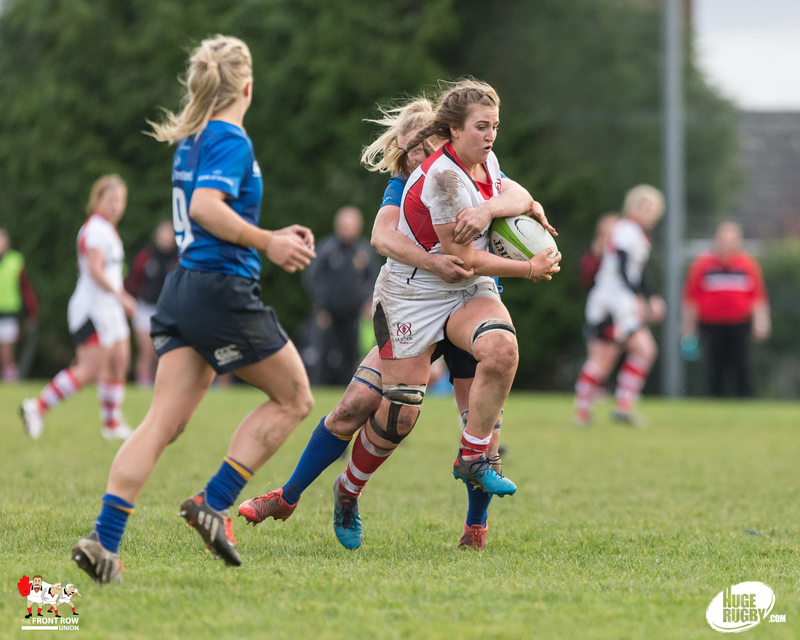 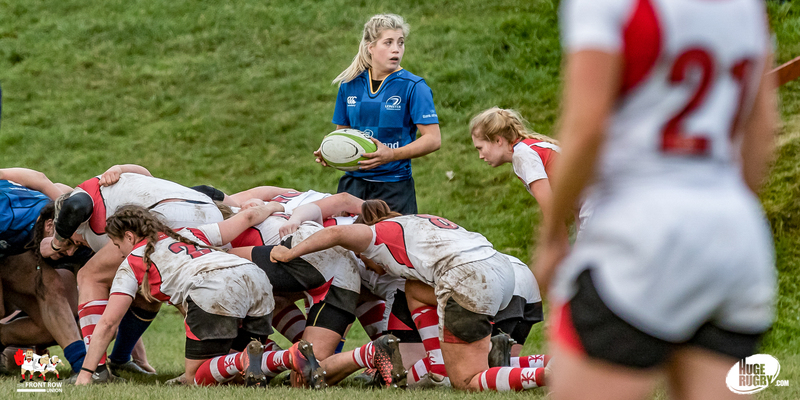 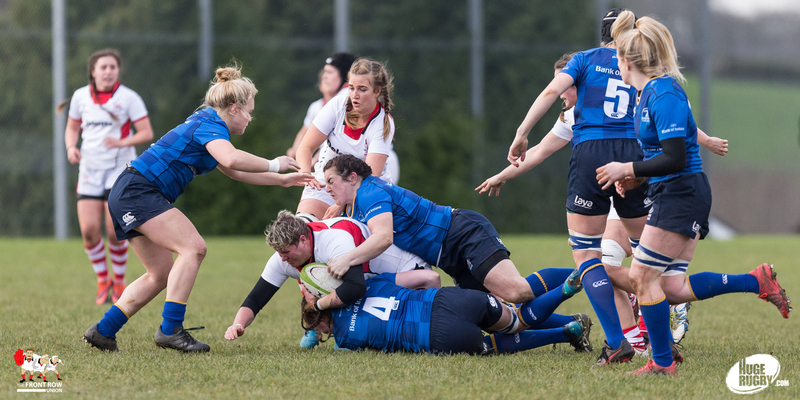 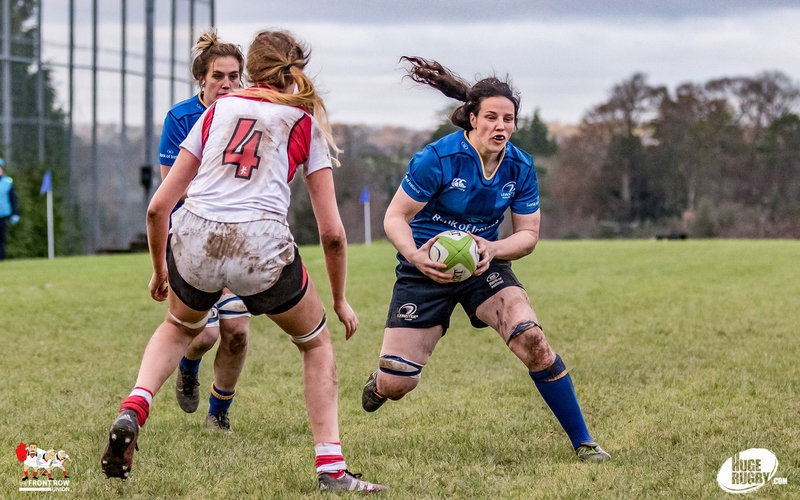 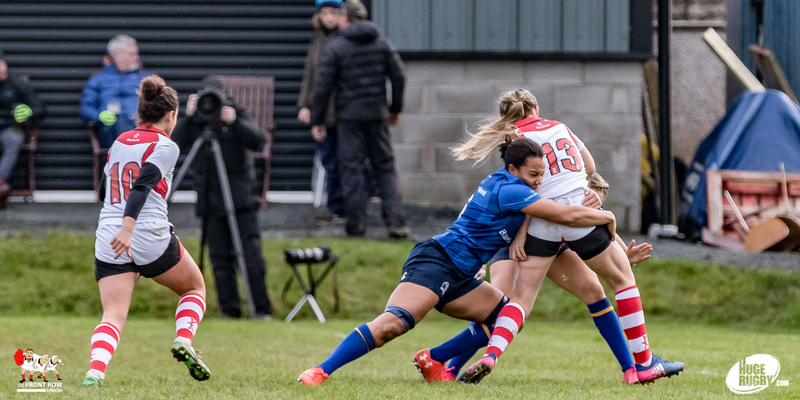 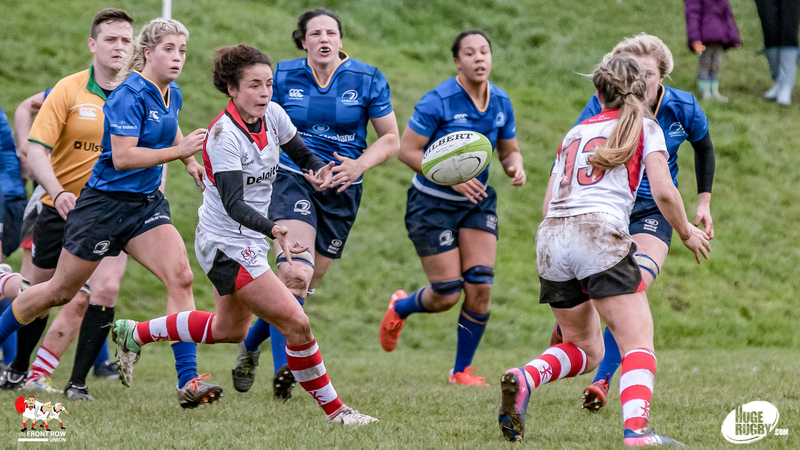 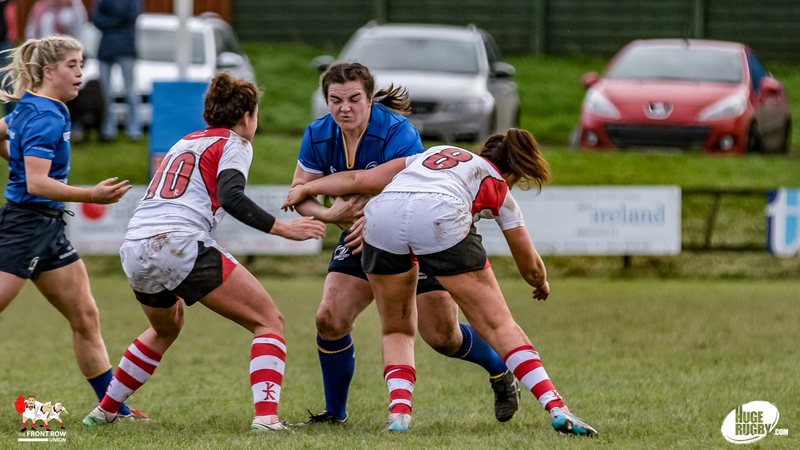 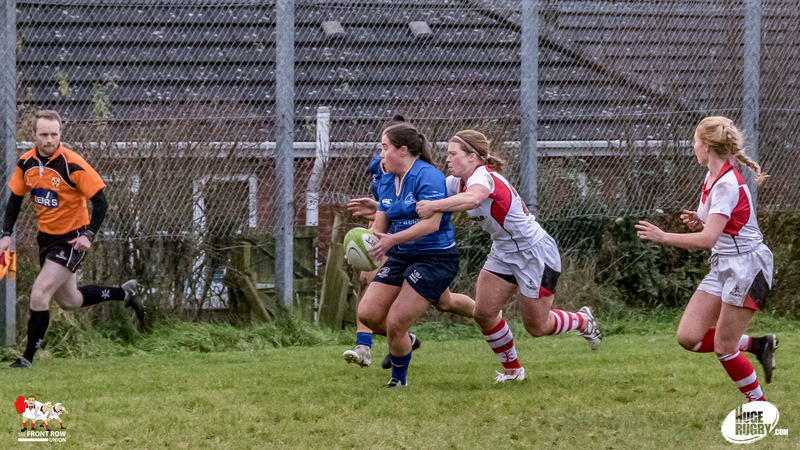 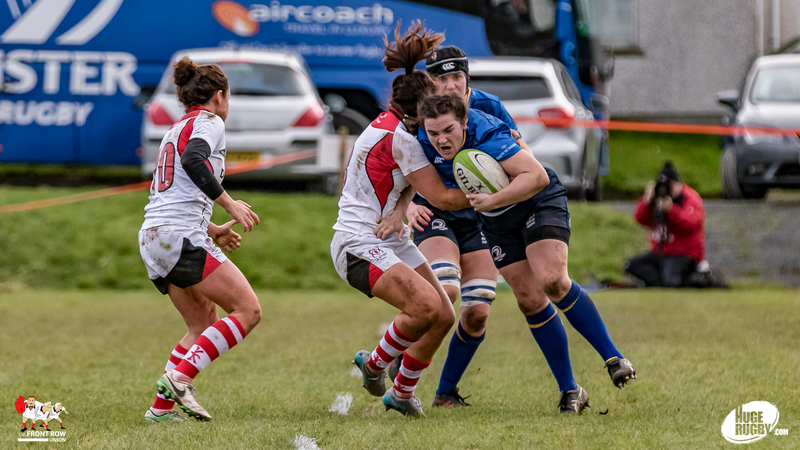 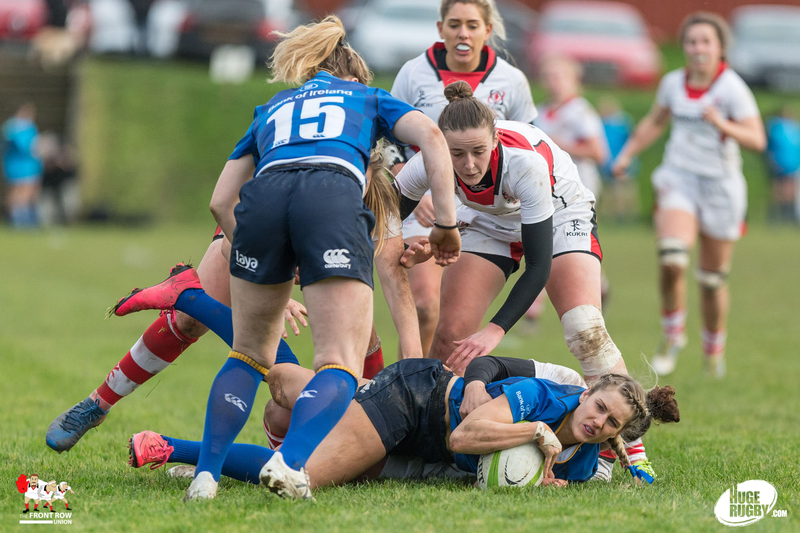 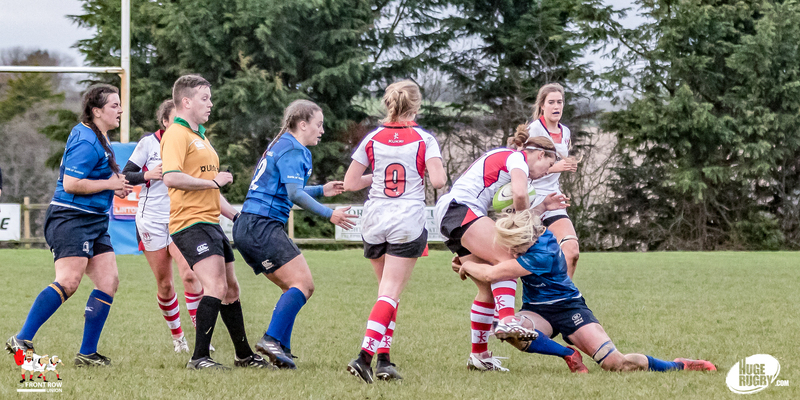 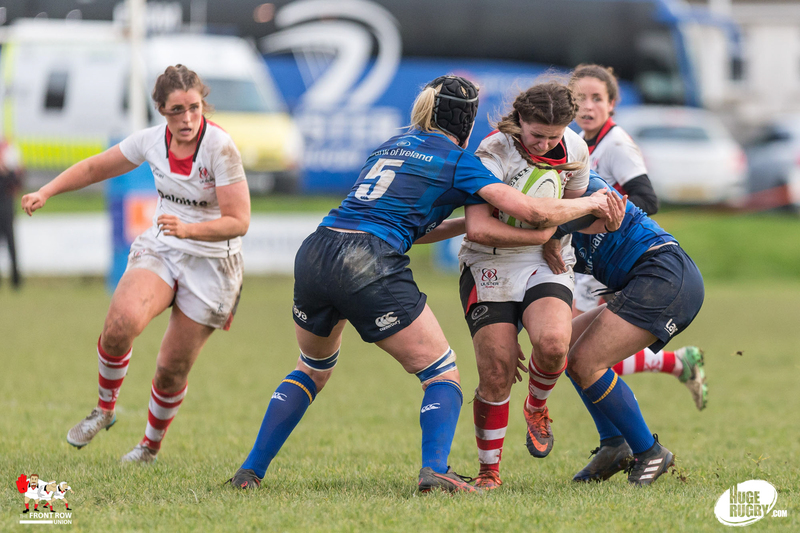 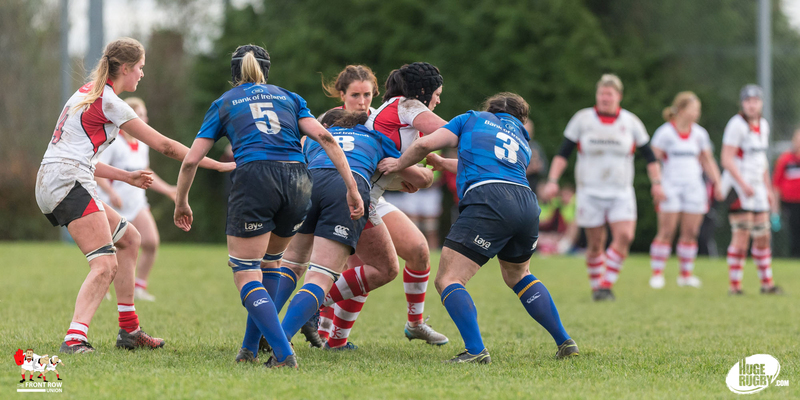 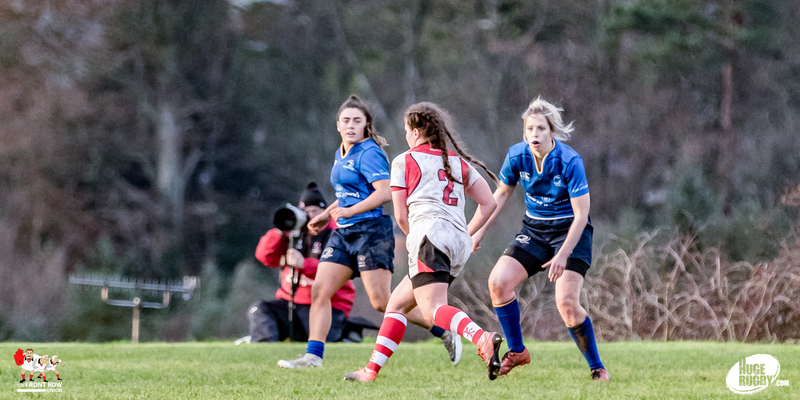 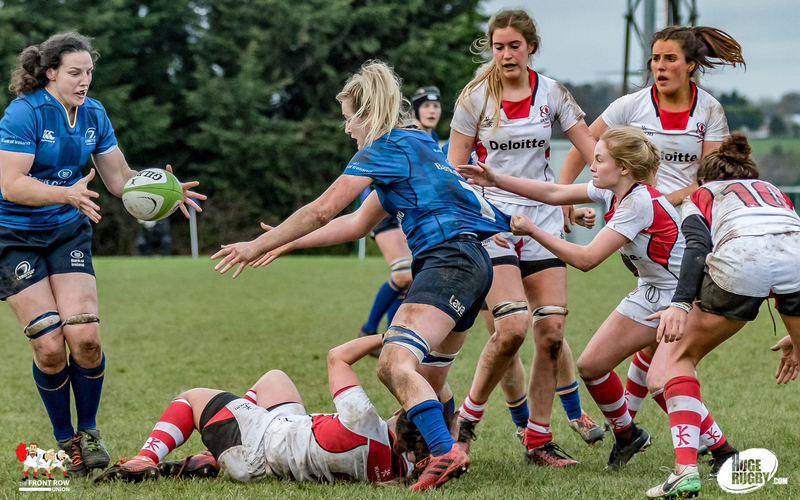 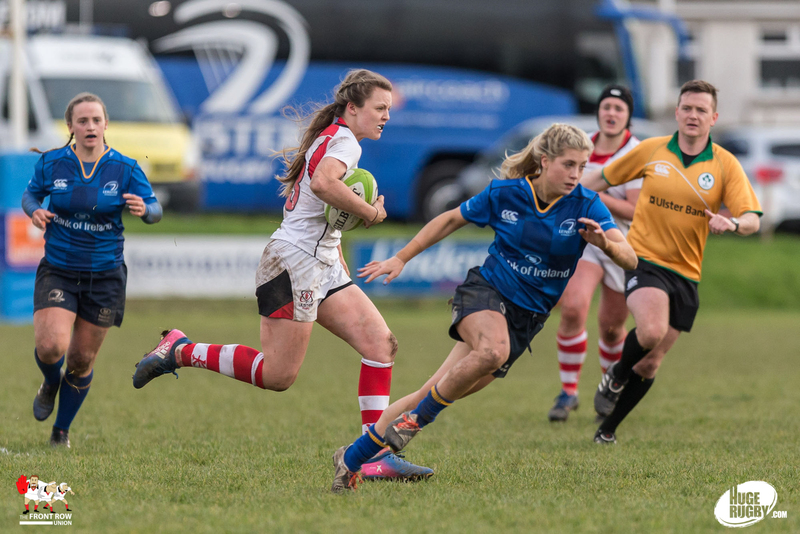 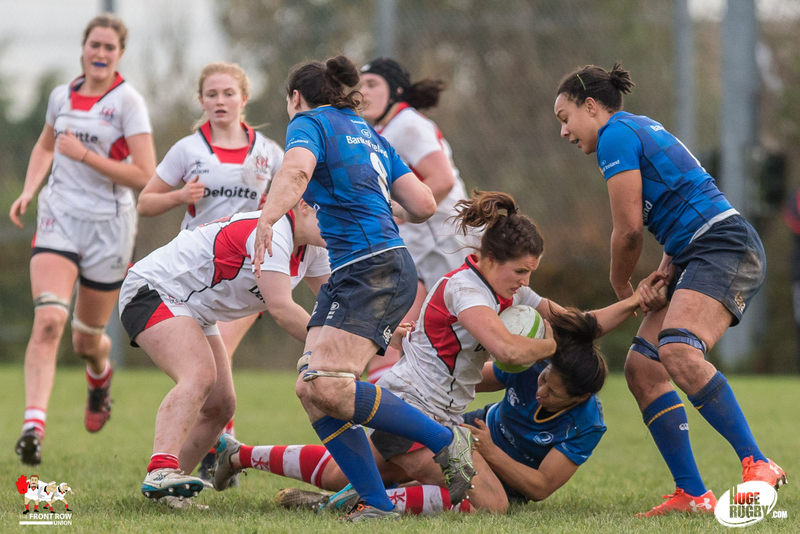 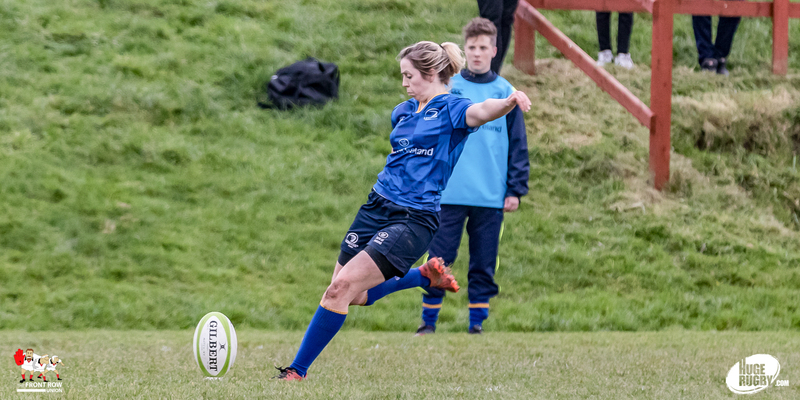 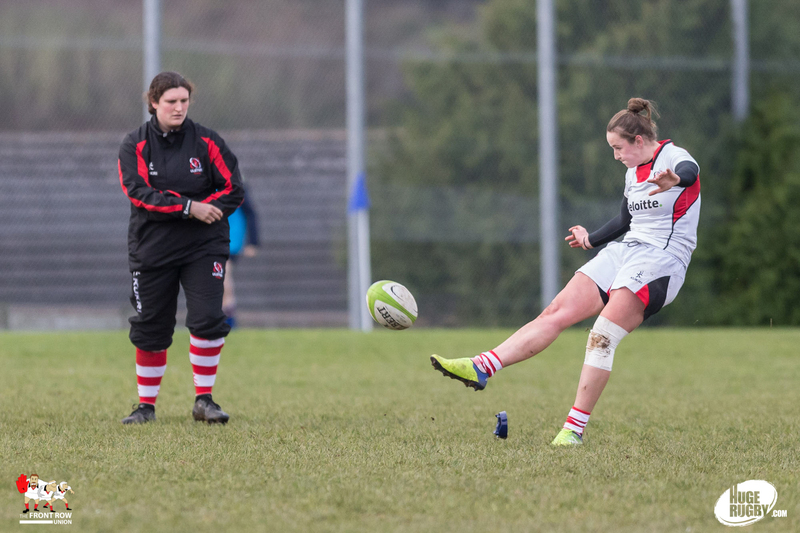 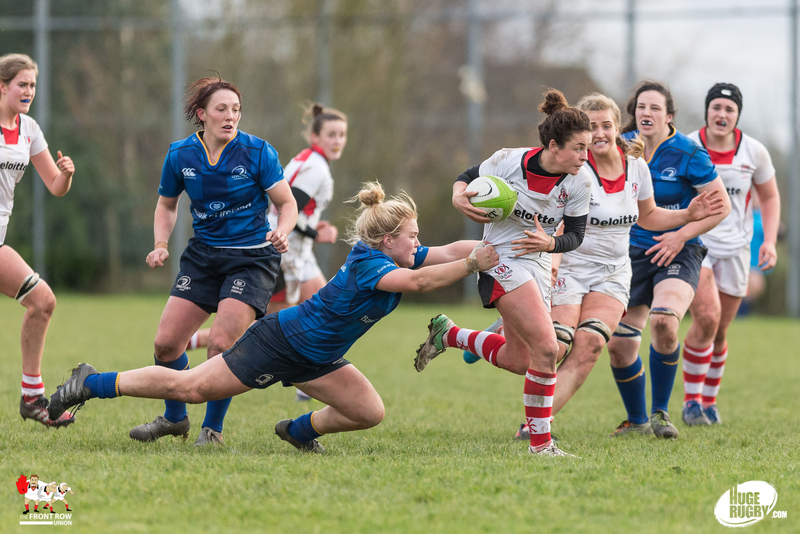 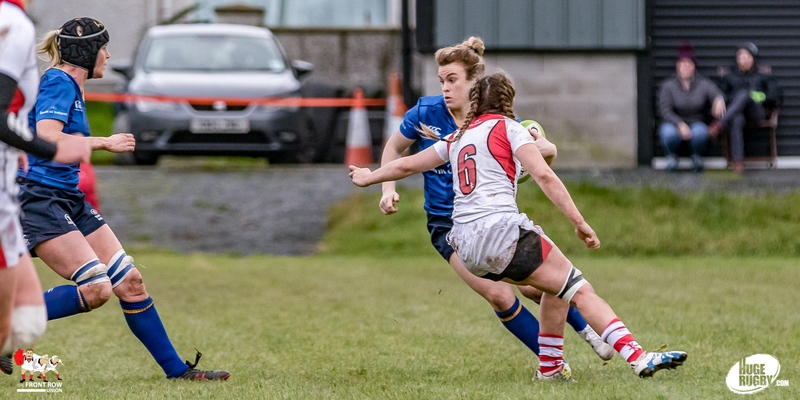 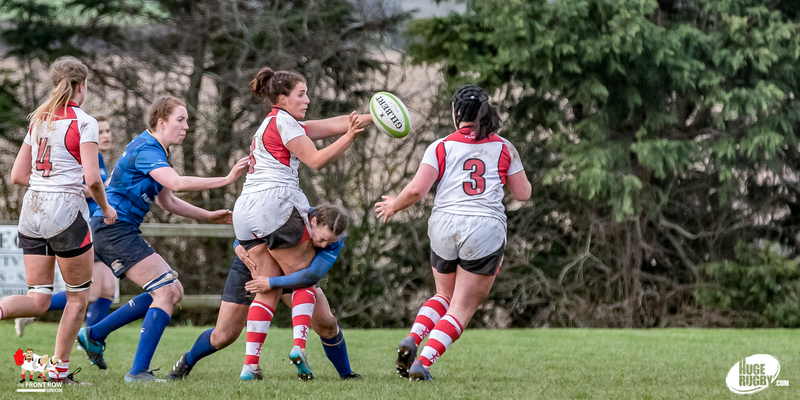 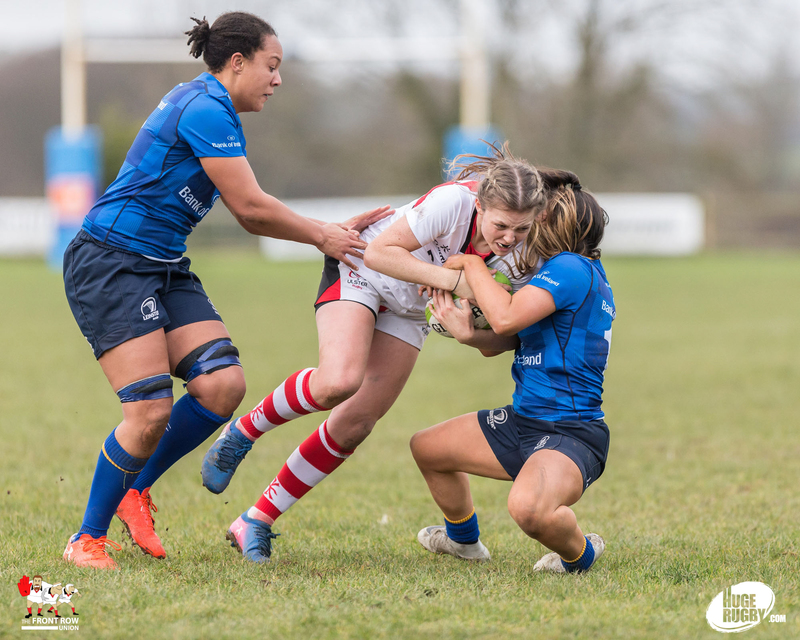 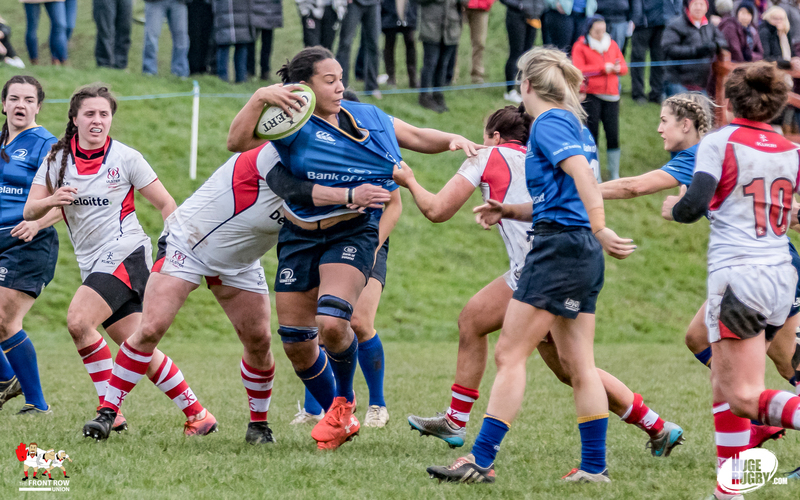 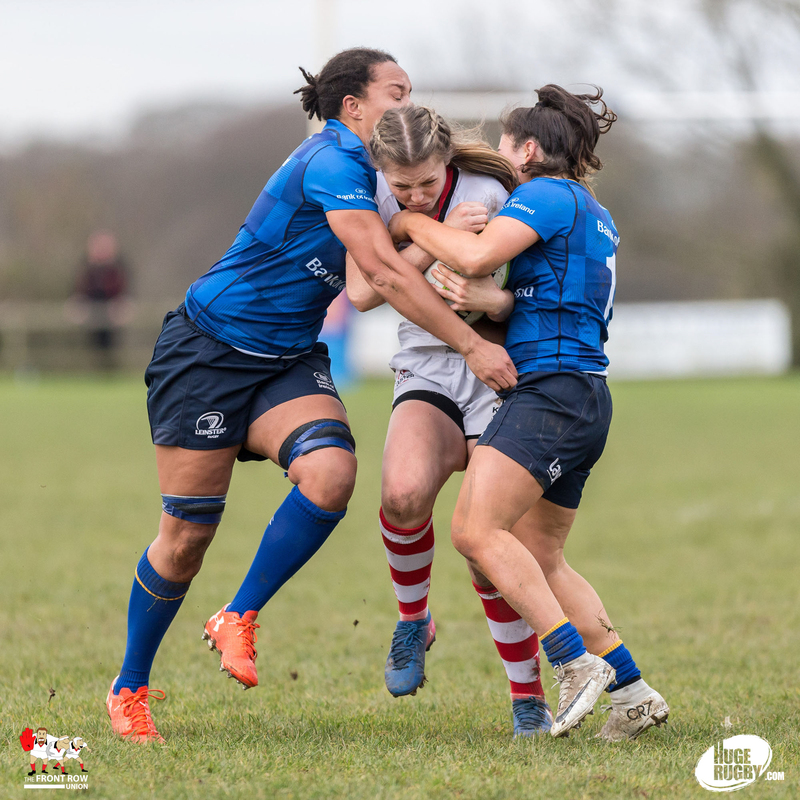 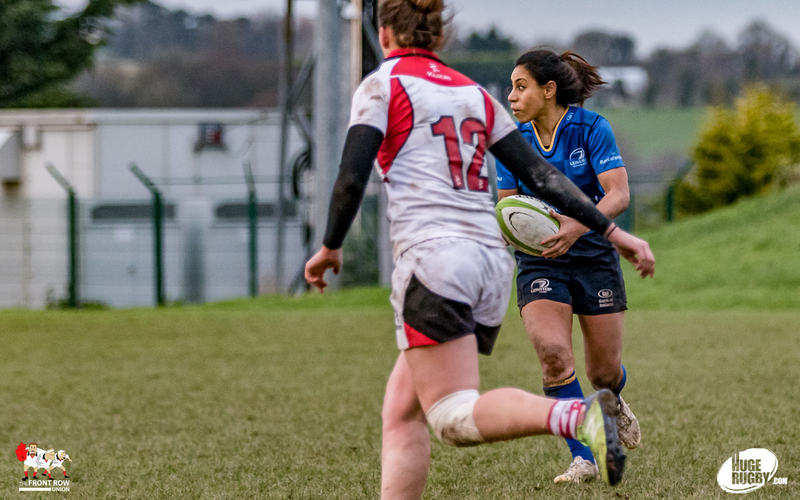 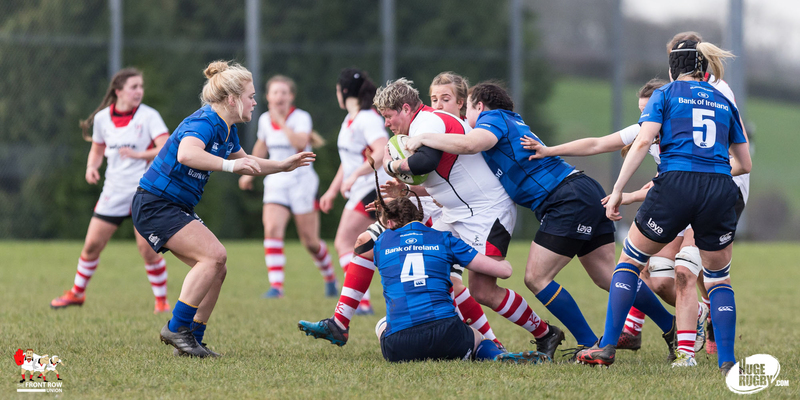 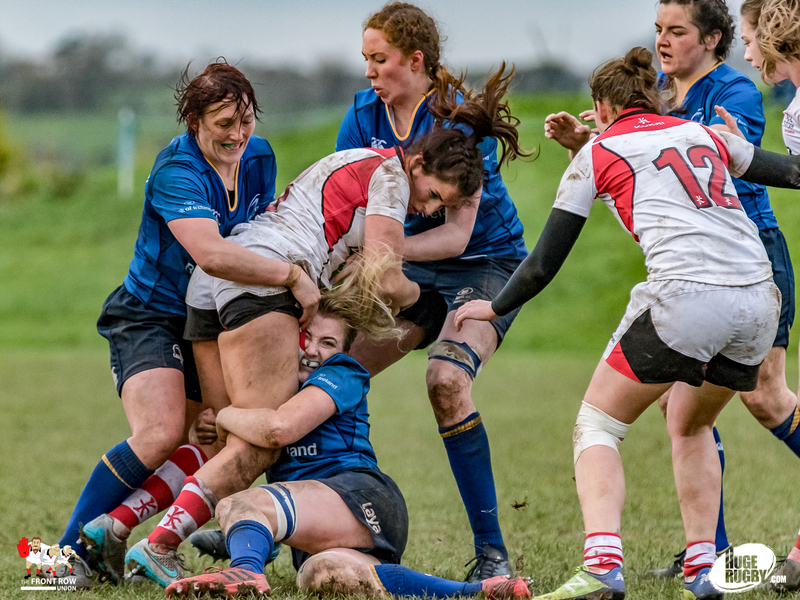 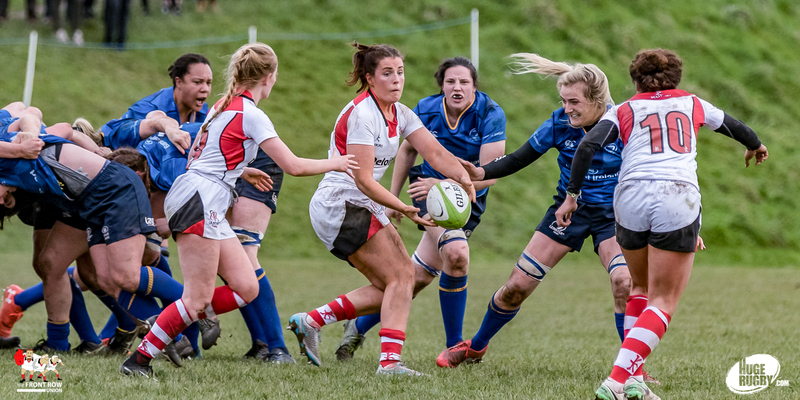 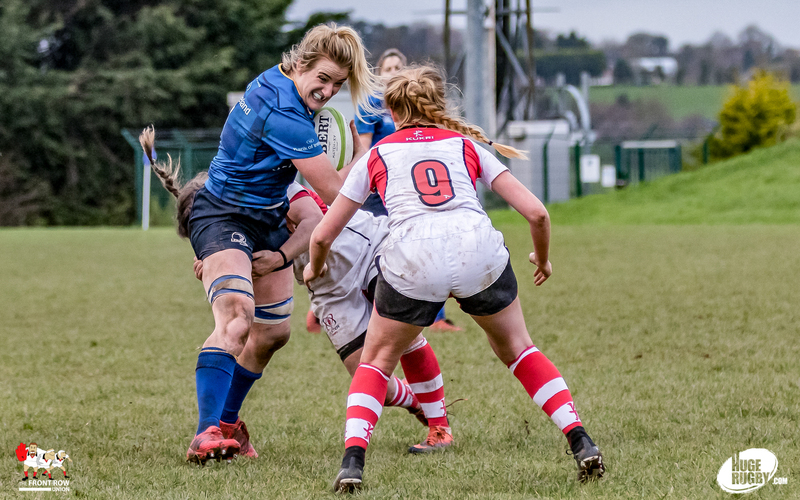 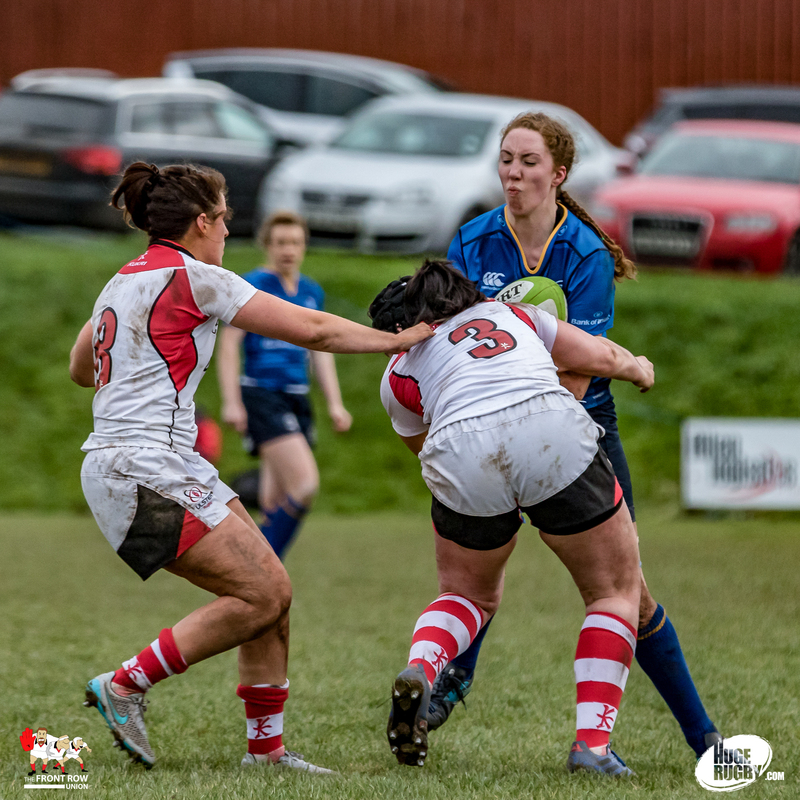 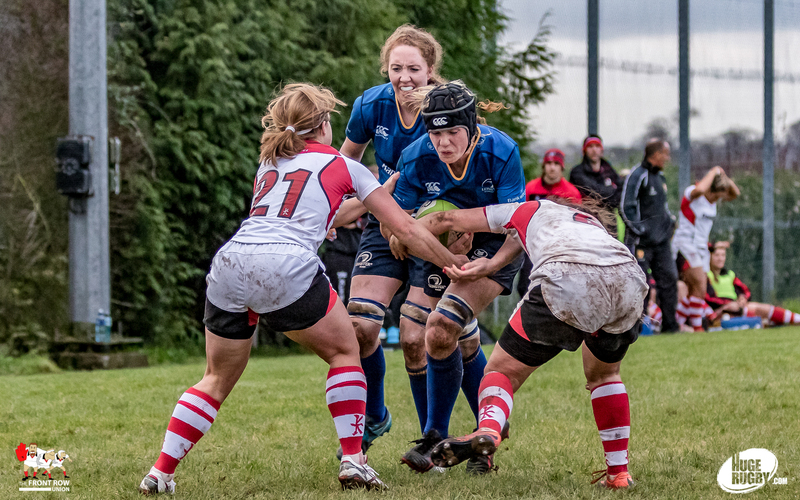 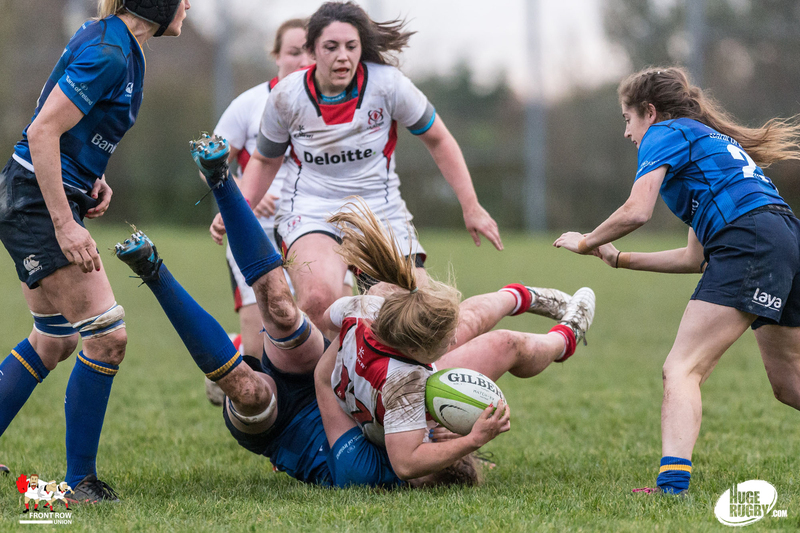 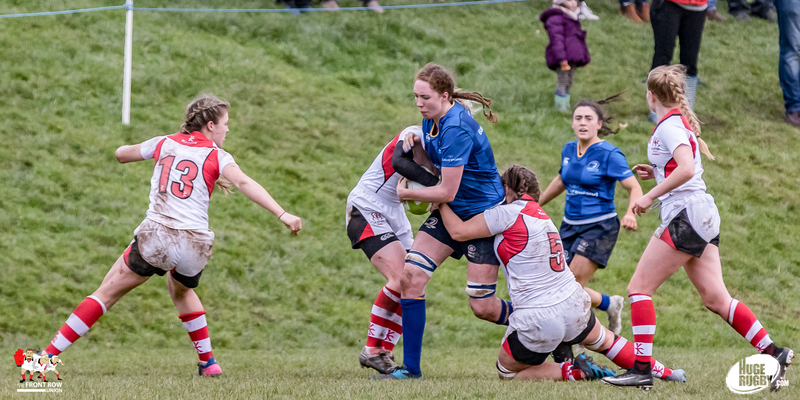 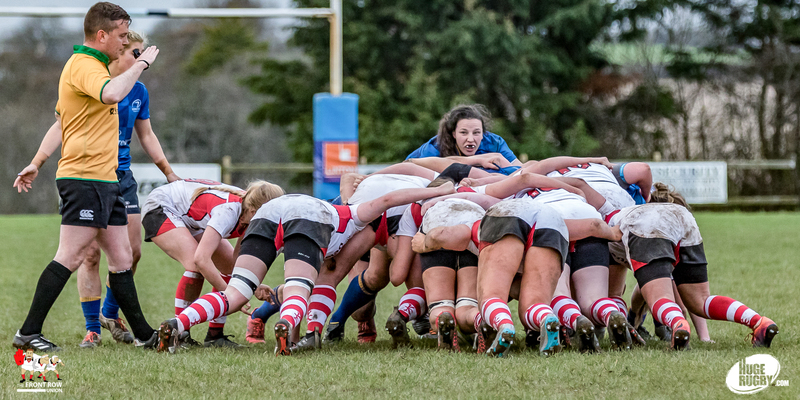 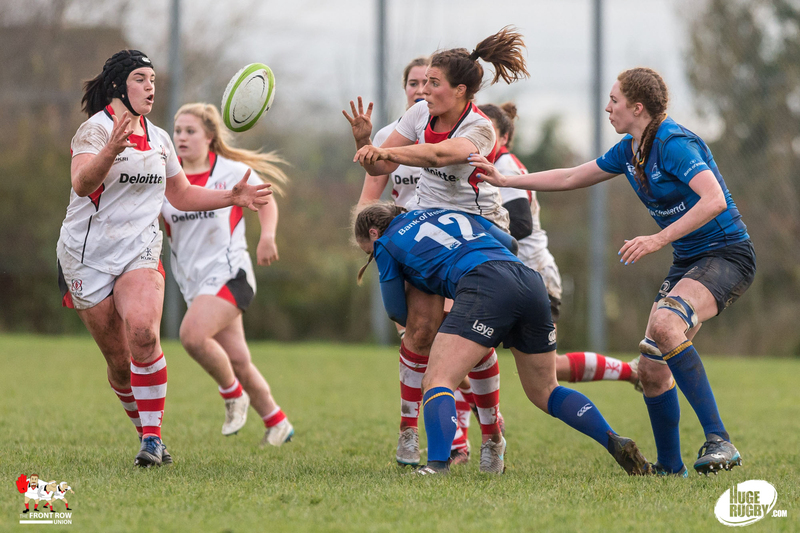 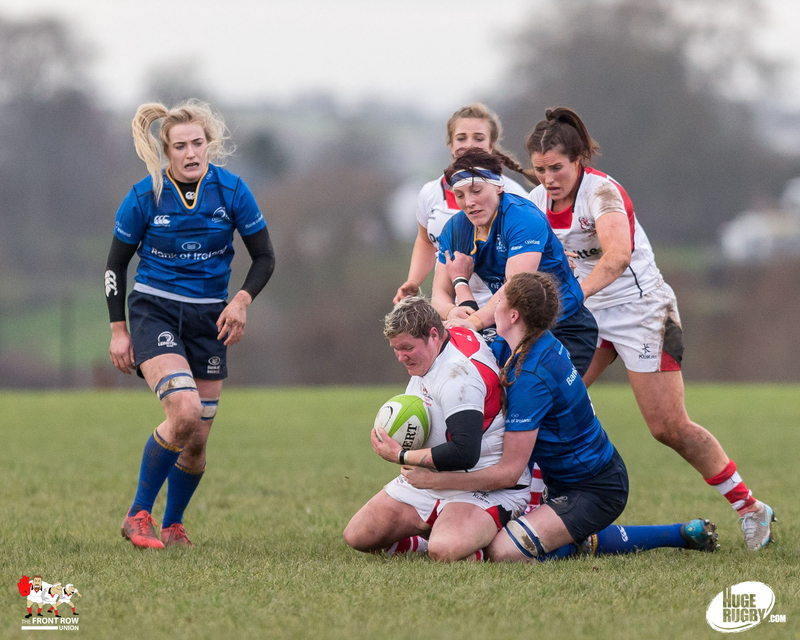 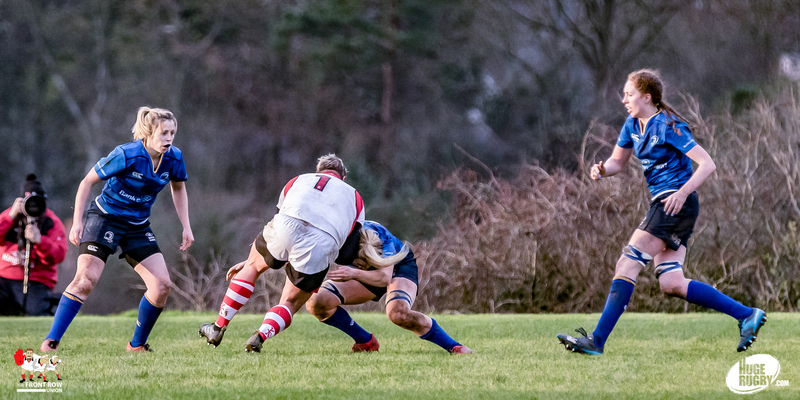 Ulster came up short against an impressive Leinster side in their opening Women’s Interprovincial at Dromore Rugby Club on Sunday afternoon. 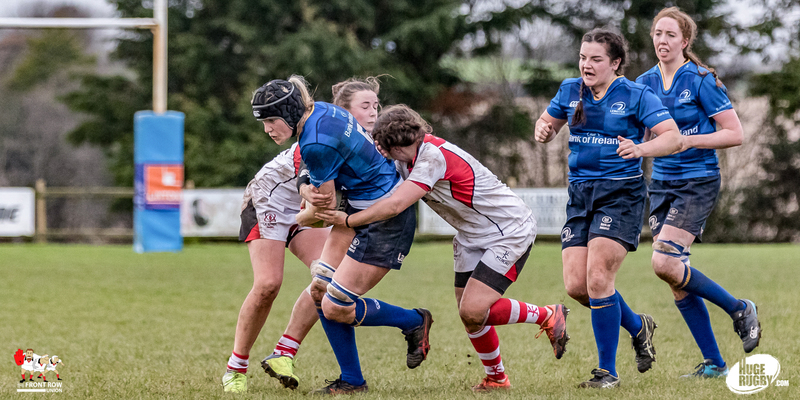 Youngster Aimee Clarke stole the show with a hattrick of tries for the visitors, Leinsters other tries coming from Lindsay Peat, Michelle Claffey and Susan Vaughan with Aine Donnelly adding two conversions. 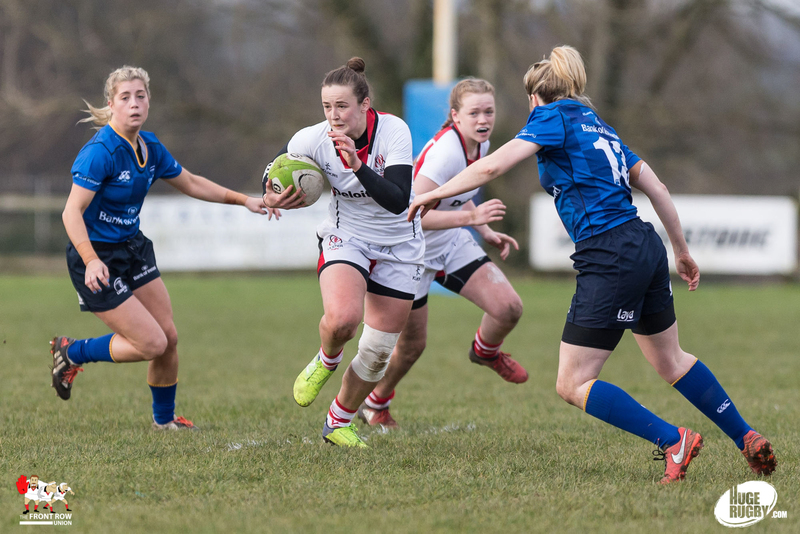 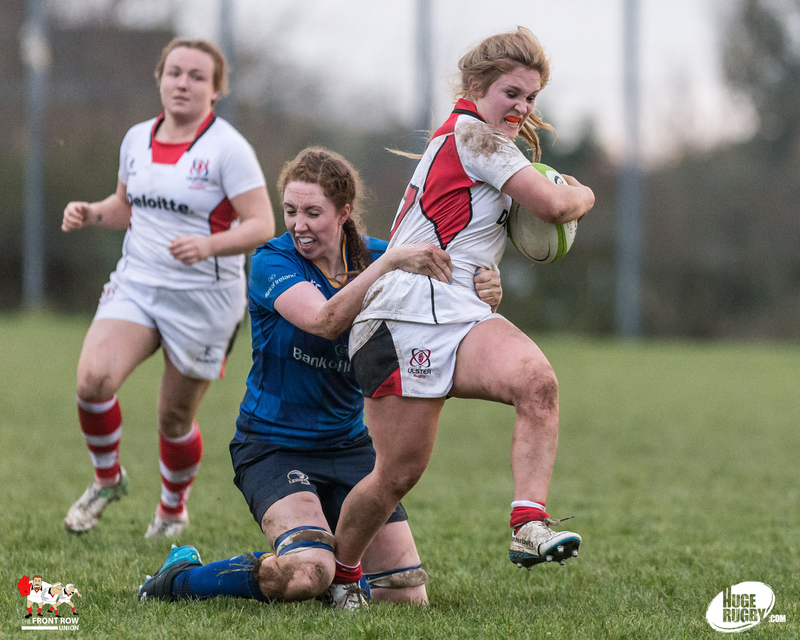 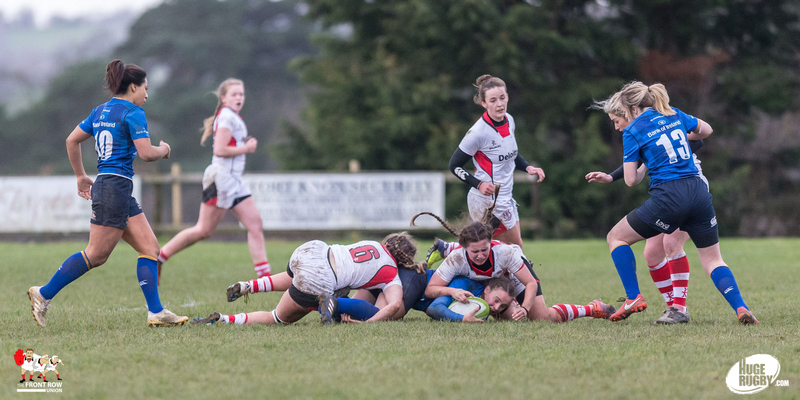 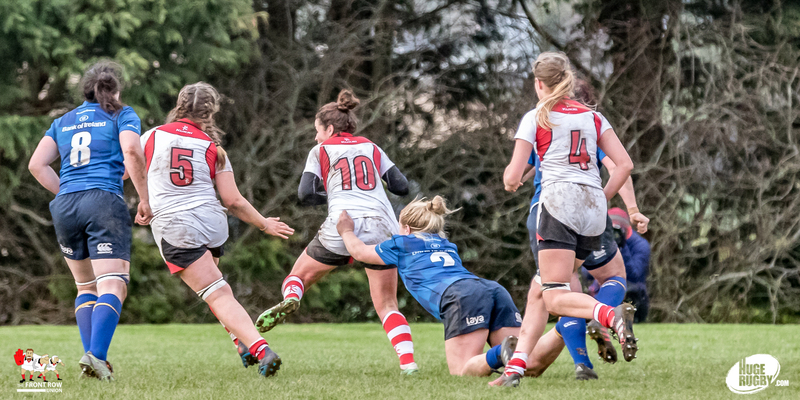 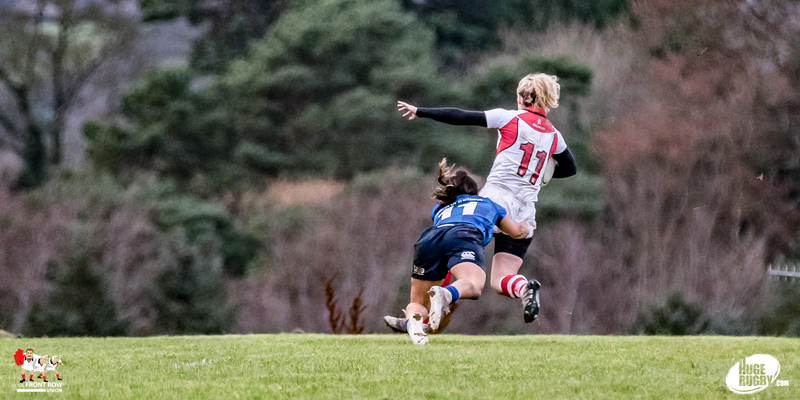 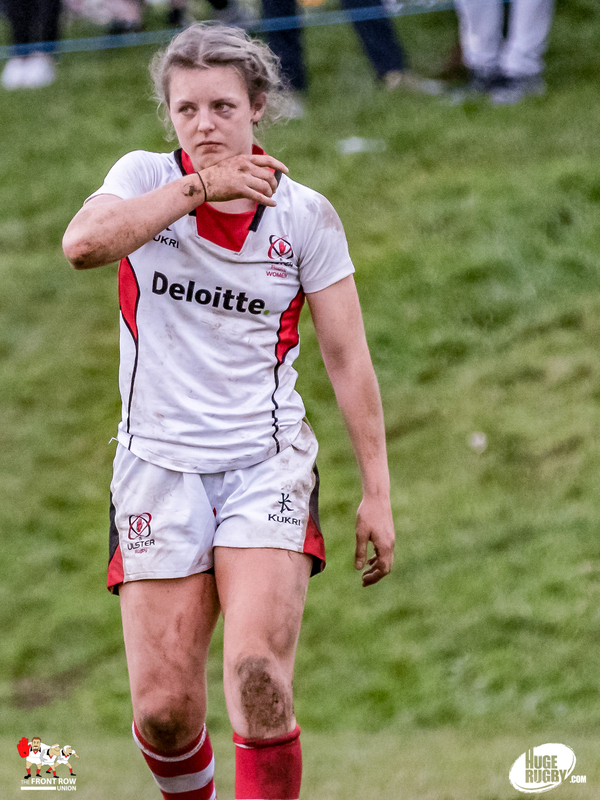 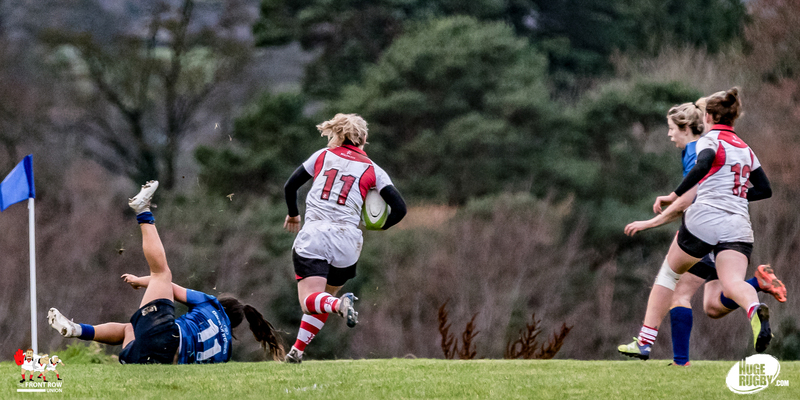 Ulster’s points came from tries by Eliza Downey and Teah Maguire. 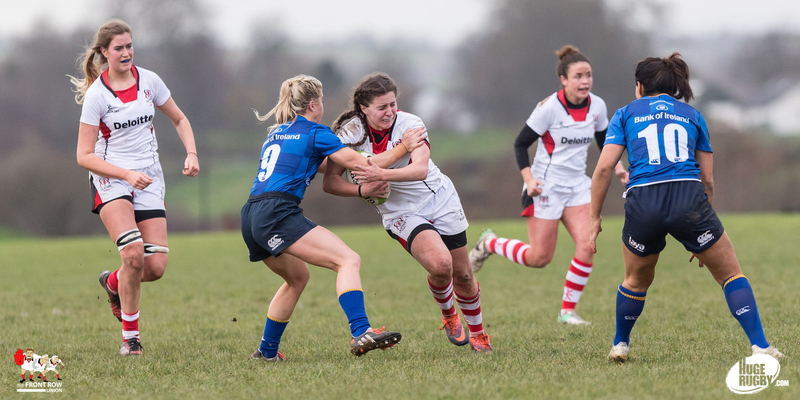 Ulster started well and dominated the opening quarter in terms of territory and possession. 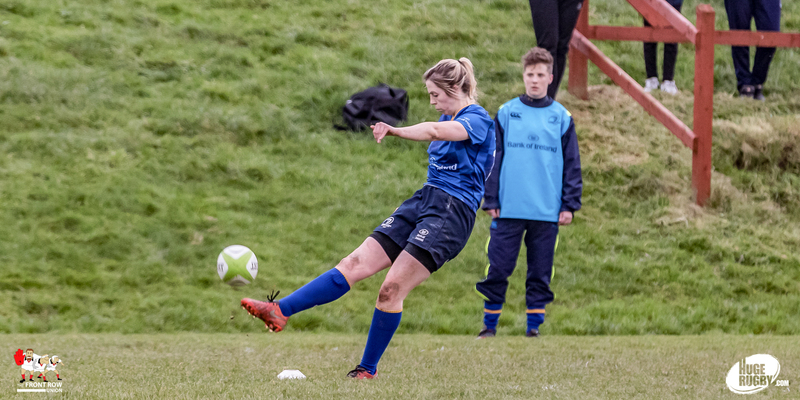 However, passing was too lateral and predictable and too many players were too upright going into contact, the net result being slow ball. 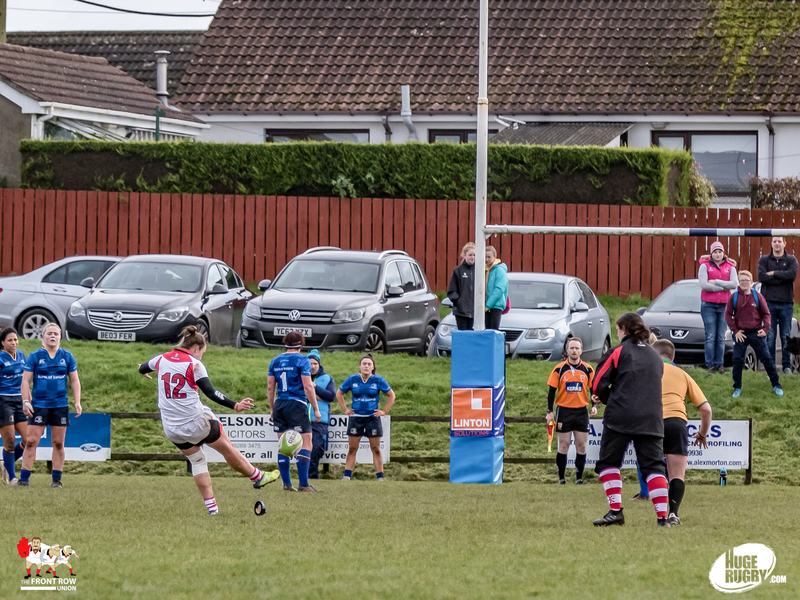 Openings where there but Ulster were too one dimensional to take advantage. 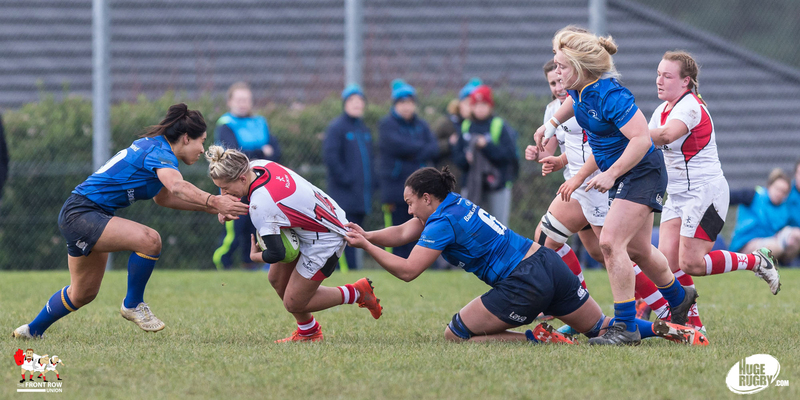 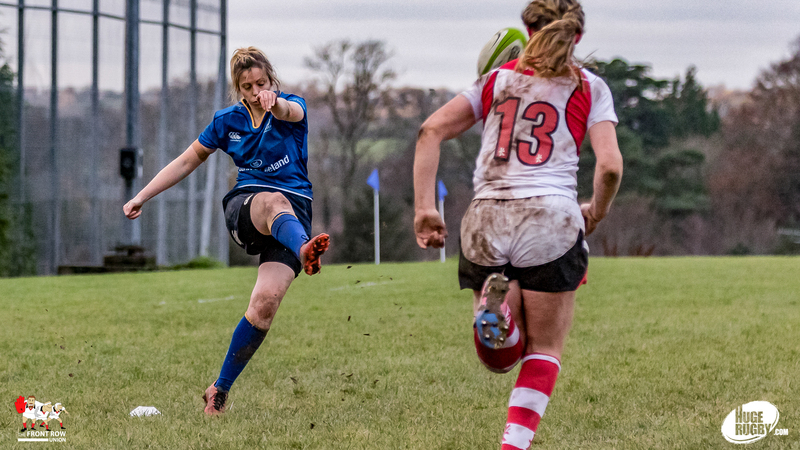 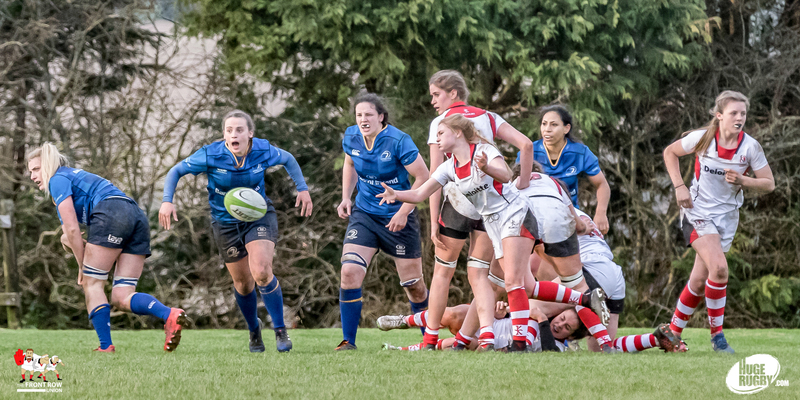 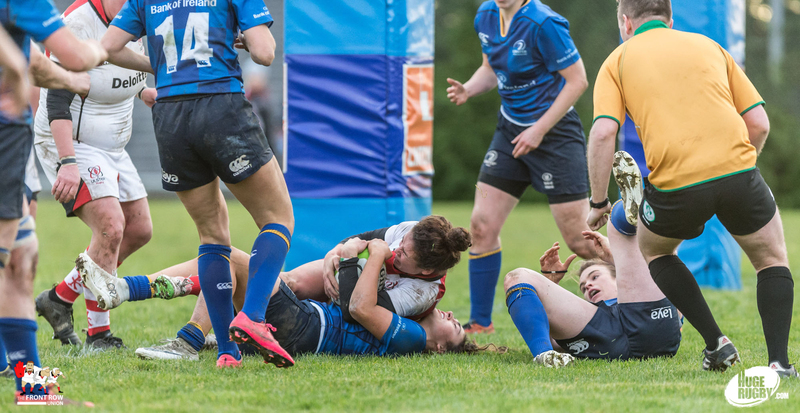 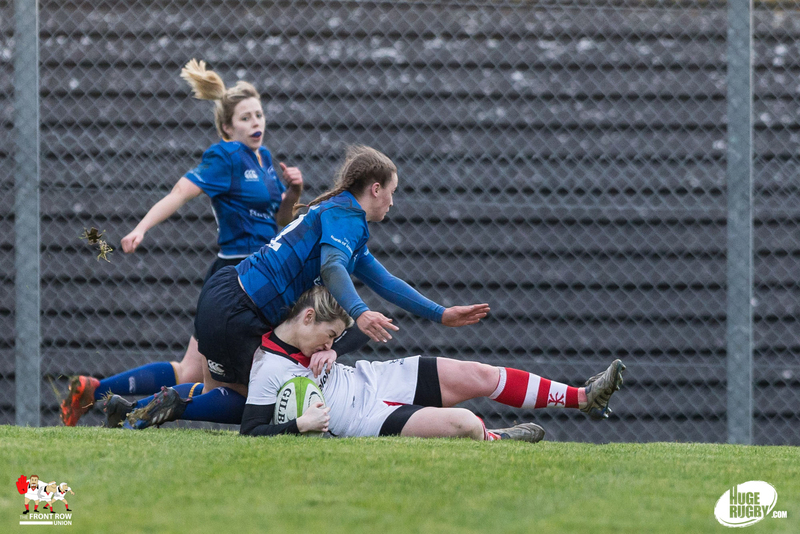 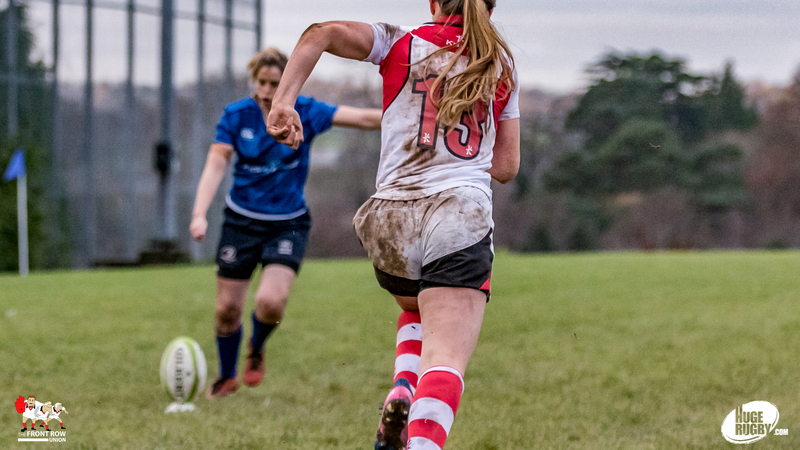 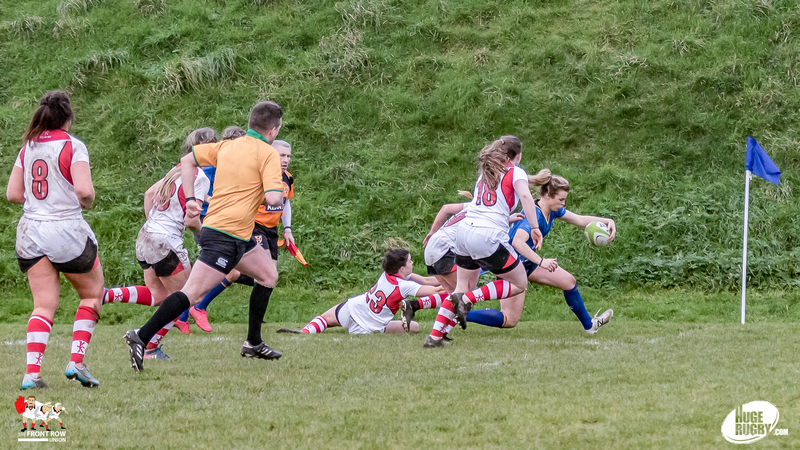 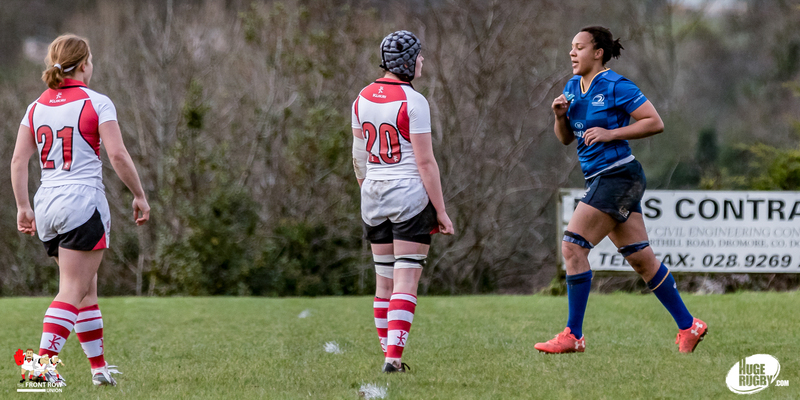 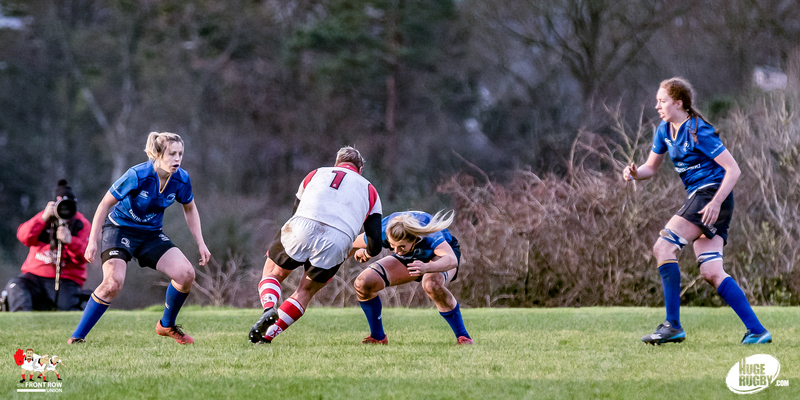 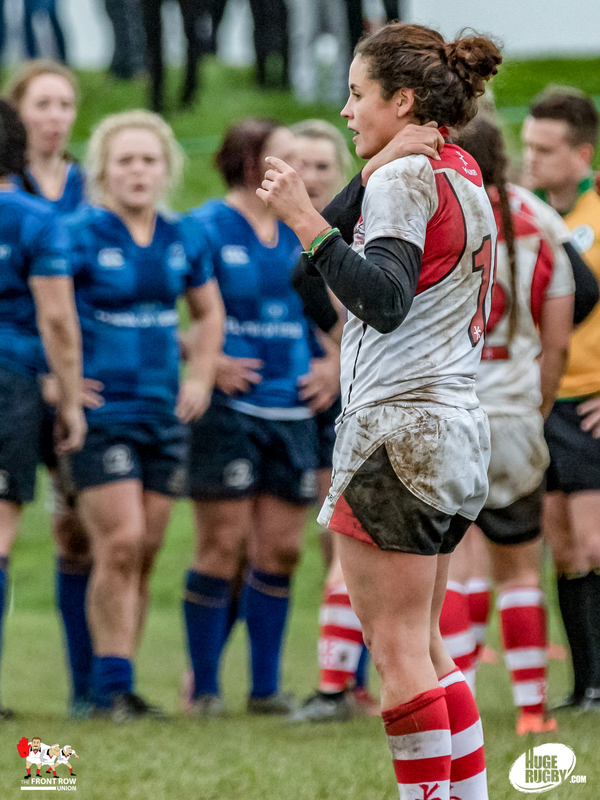 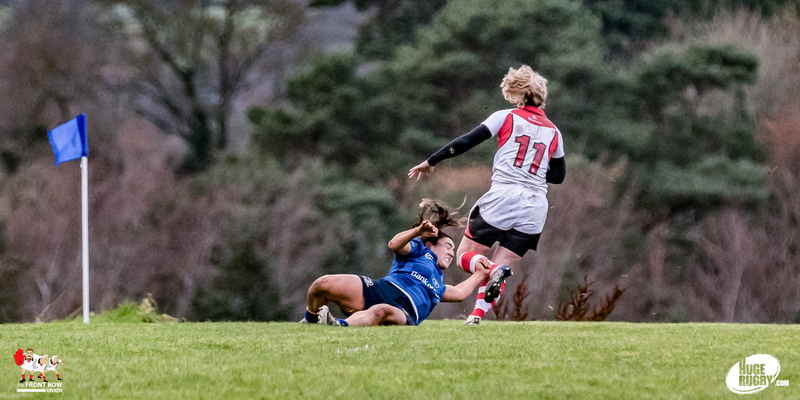 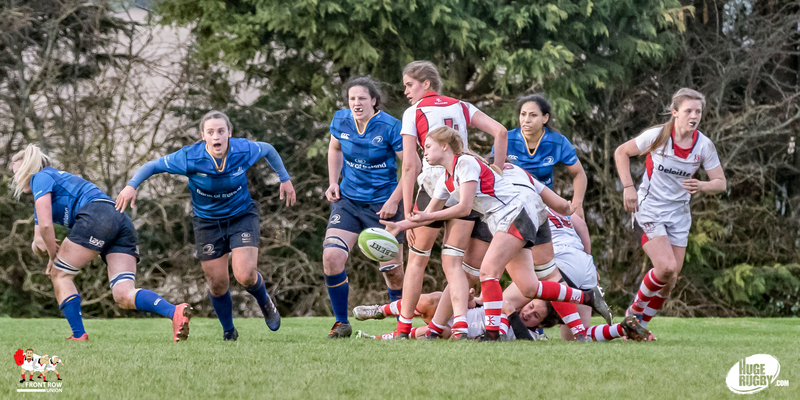 A couple of extra games against quality opposition would have helped Ulster’s cause dramatically and the difference in clinical play between the teams was emphasised with Leinster scoring of their first visit into the Ulster danger zone, youngster Clarke grabbing her first try out wide. 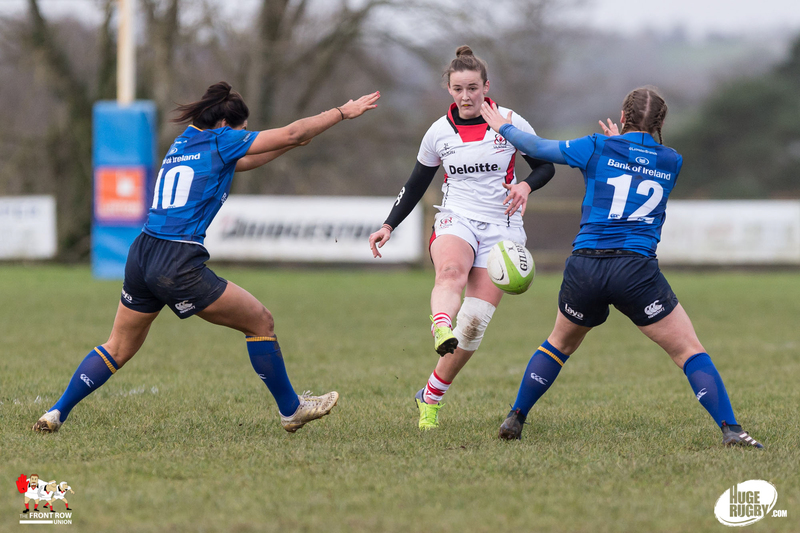 Ulster got back on the front foot but the same problems persisted with Ulster forced into a few speculative kicks in order to break the blue wall. 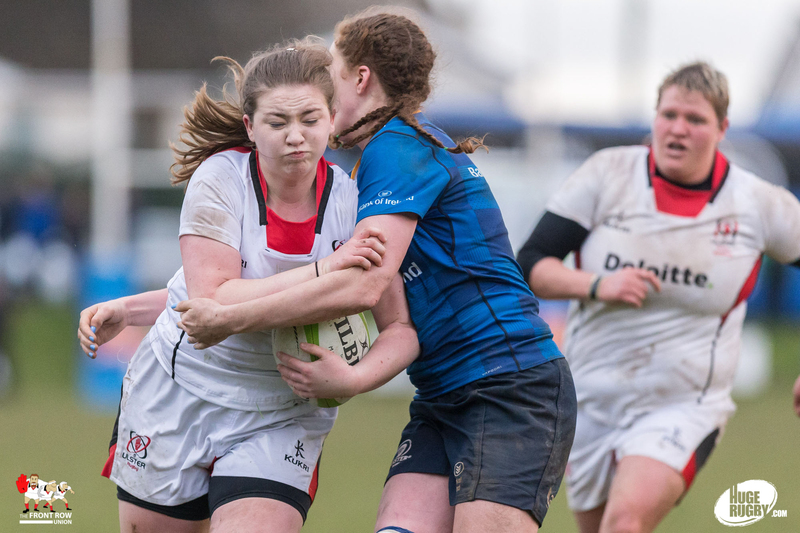 Most of the kicks were an easy out for the visitors and Ulster would have been better served keeping the ball in hand as cracks were starting to show in the Leinster defence. 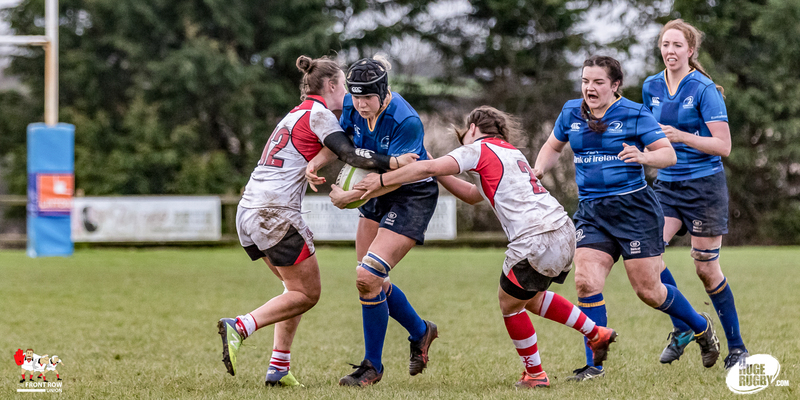 Ominously though, Leinster’s go to girls Sophie Spence and Paula Fitzpatrick were starting to get their hands on the ball and punching up through midfield and as the clock approached half time the visitors upped their game and scored a crucial second try, this time through Lindsay Peat, to give Leinster a 0 – 10 lead at the break. 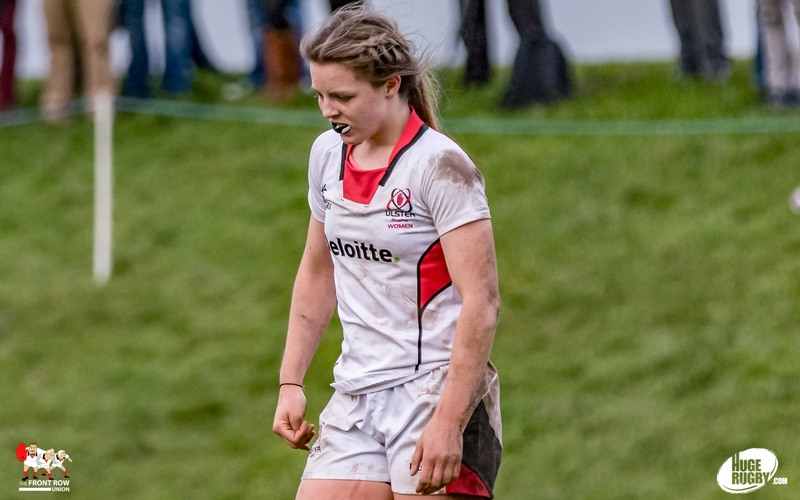 Ulster concede a soft score on resumption with centre Claffey slicing through Ulster’s midfield to dot down close to the posts. 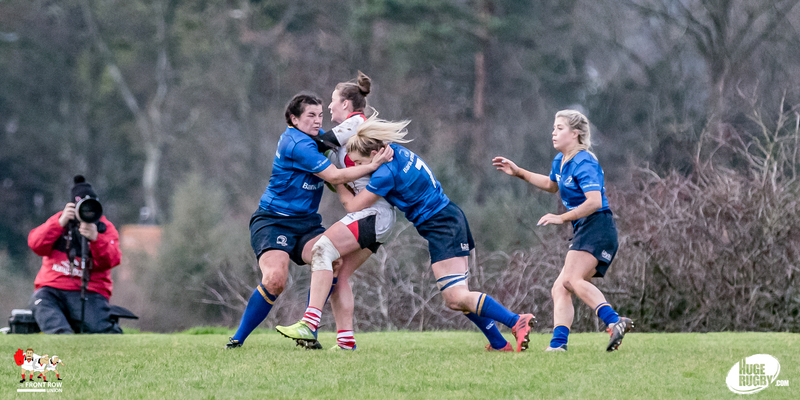 Donnelly added the extras to push the lead to 0 – 17. 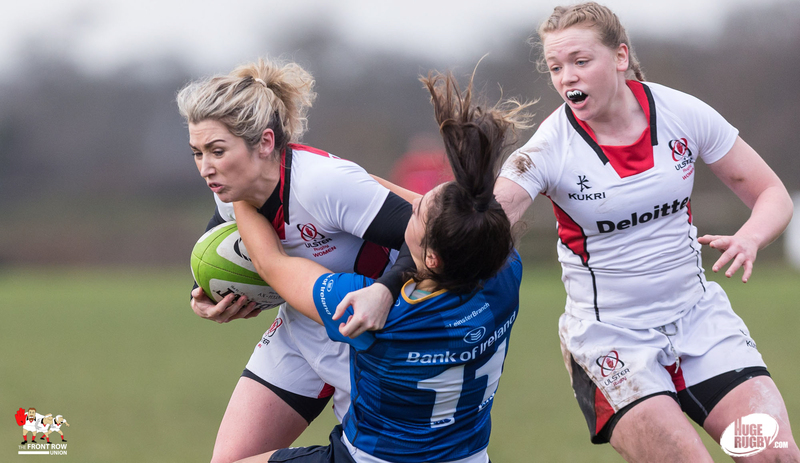 However, Ulster enjoyed the better of the third quarter and their hard work was rewarded when Downey slipped the defence out wide to cross for an unconverted try. 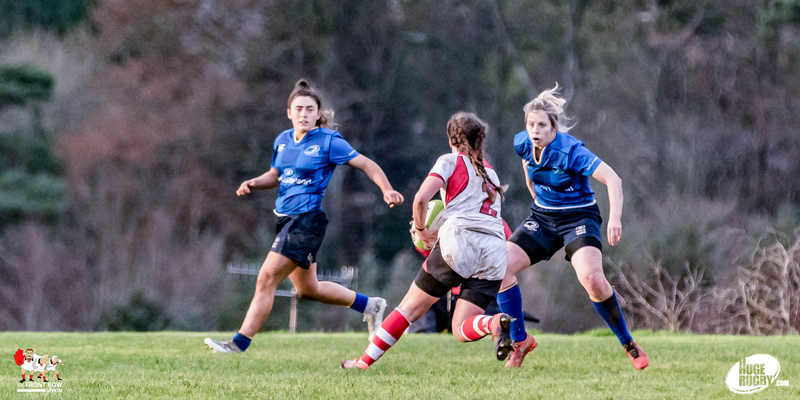 The work rate and effort from the home side really was impressive with Larissa Muldoon, Brittany Hogan and Beth Cregan to the fore. 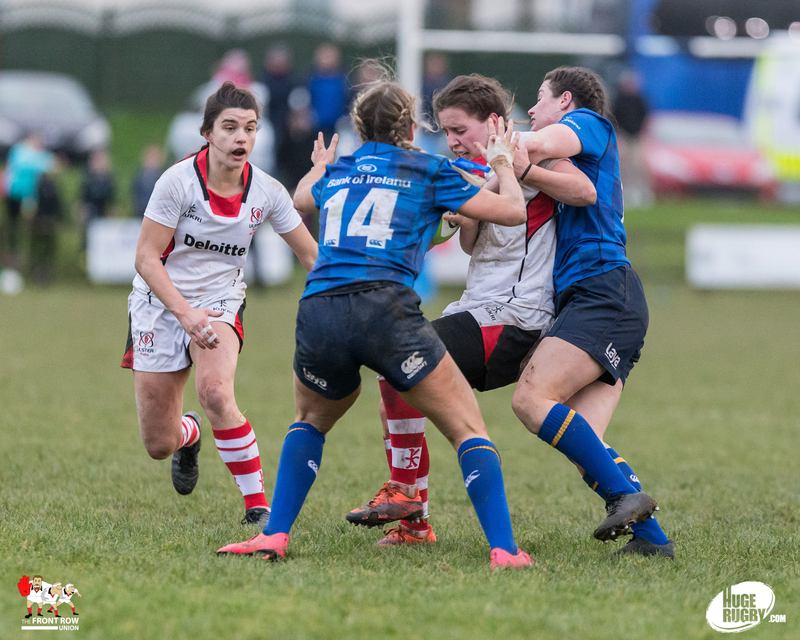 Unfortunately, it just lacked the cutting edge of their opponents who sliced through the Ulster defence twice more with Vaughan and Clarke scoring in opposite corners, Donnelly converting the latter. 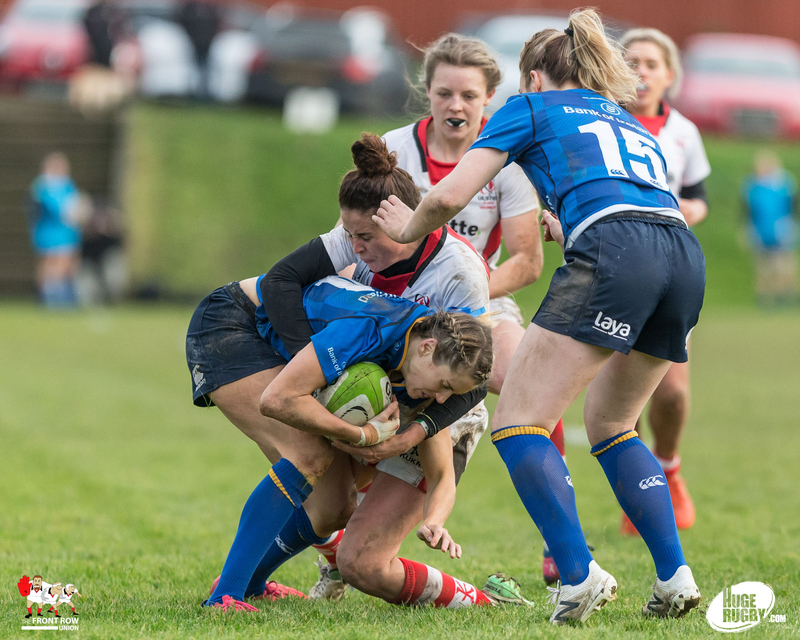 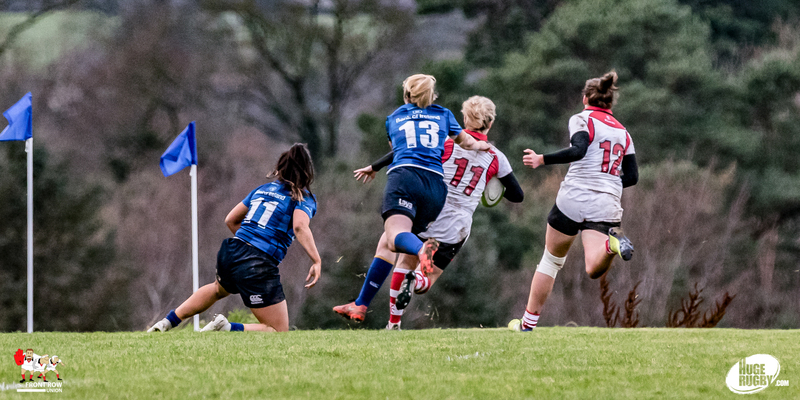 Ulster continued to push and got their second score through Maguire to take the score to 10 – 27 but as they pushed for a third, to give the game a more reflective scoreline, they were caught on the break with that girl Clarke on hand to finish off in the corner with the last play of the game. 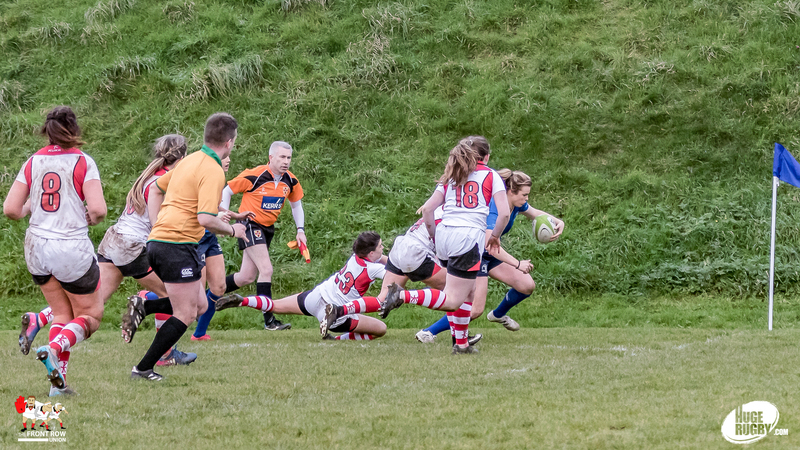 To me the game hinged on the opening twenty minutes. 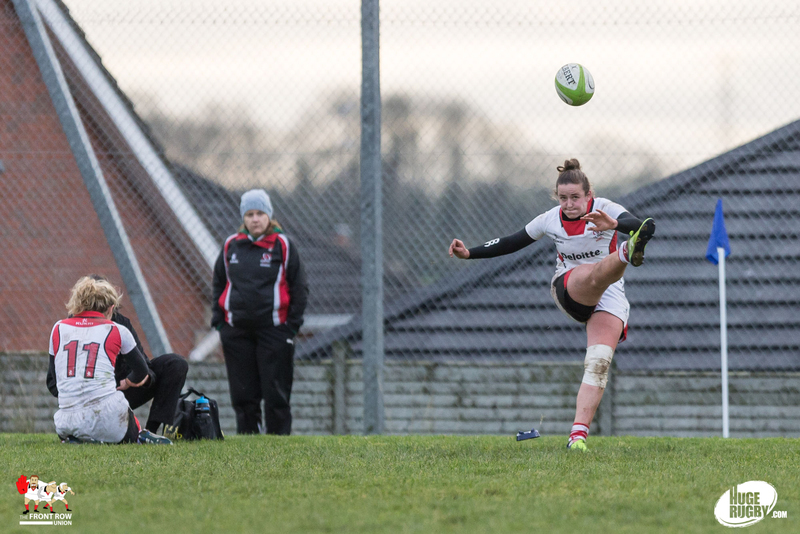 Ulster needed a score during this period to reflect their dominance. 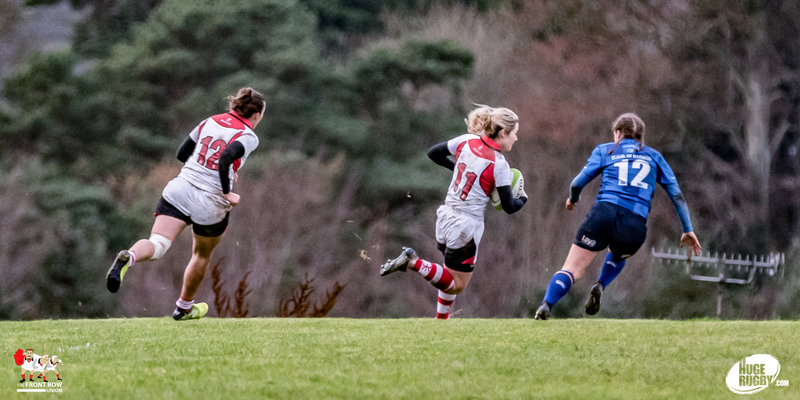 They are not far away and will be all the better for getting this game under their belts. 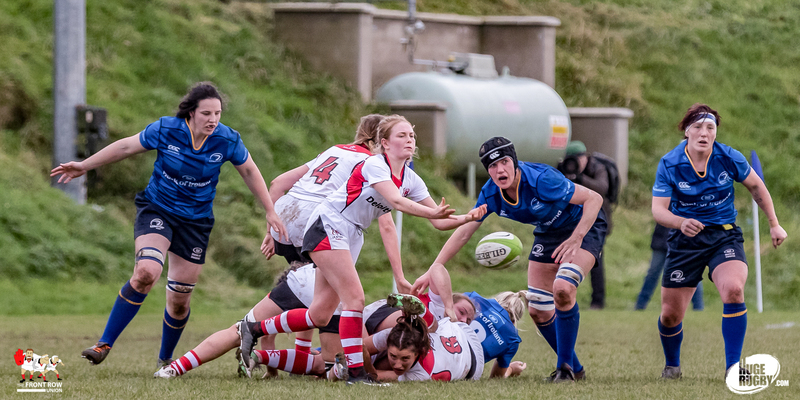 Pictures below by Bob Given (Ulster attacking) and John McMurtry (Leinster attacking). 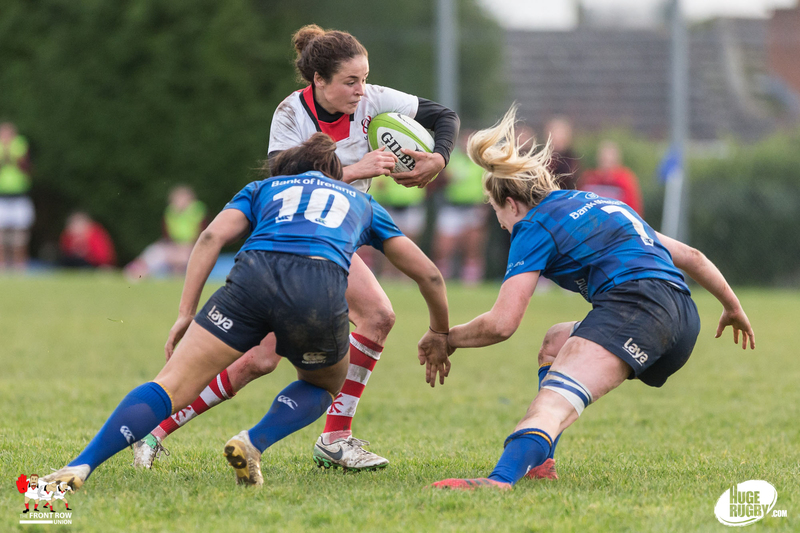 Next Article U20: 2018 World Rugby U20 Championship to be held in France.